It got really busy fast around here even though it’s supposed to be cold tonight. 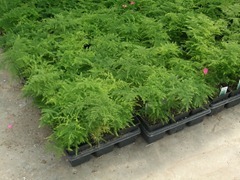 Lots of you are expecting a good weekend based on the loads we shipped out this week. 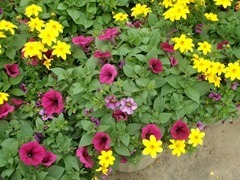 I hope all of you have great weekends. 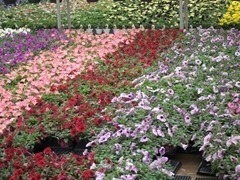 The availability for next week is pretty good. 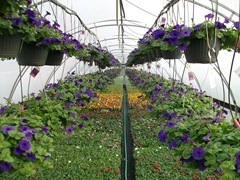 We have a lot of baskets available which is a bit of a change from past years where we seemed to barely scape by each week. 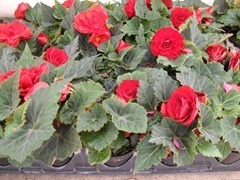 We are still a little bit behind schedule on a few items due to all the cloudy and cold weather we had, but they are included and listed with Buds/Light Color. 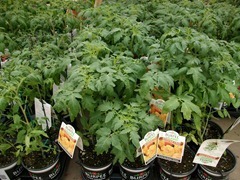 After the availability went out, we re-evaluated our 1204 vegetables and decided to add them in on Monday. 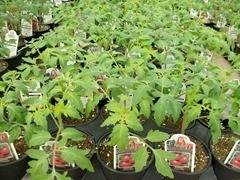 They will be ready mid-week which is when most of you will start getting your orders. 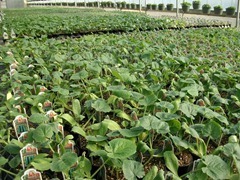 That planting of okra is small and not included but we still have some left from the first planting that looks nice. 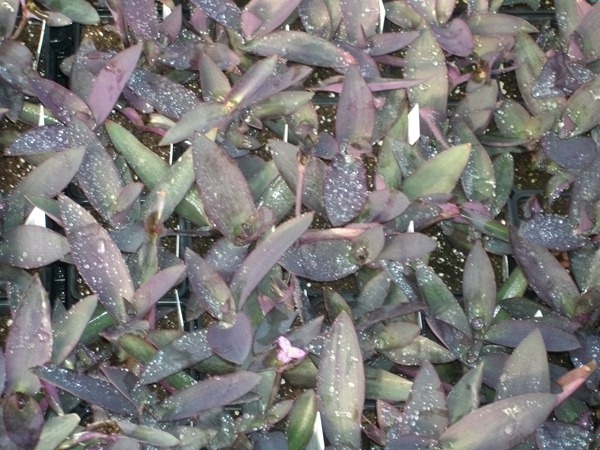 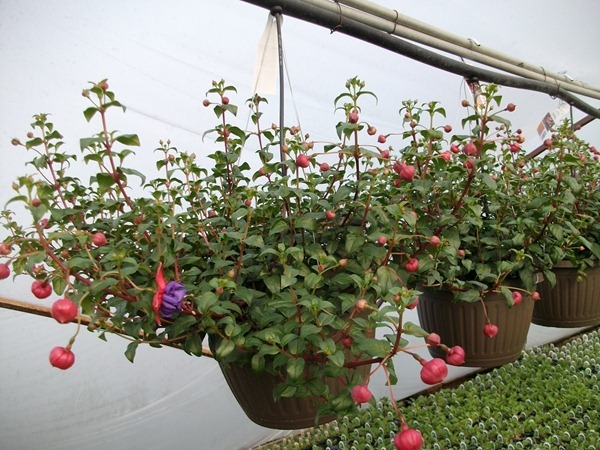 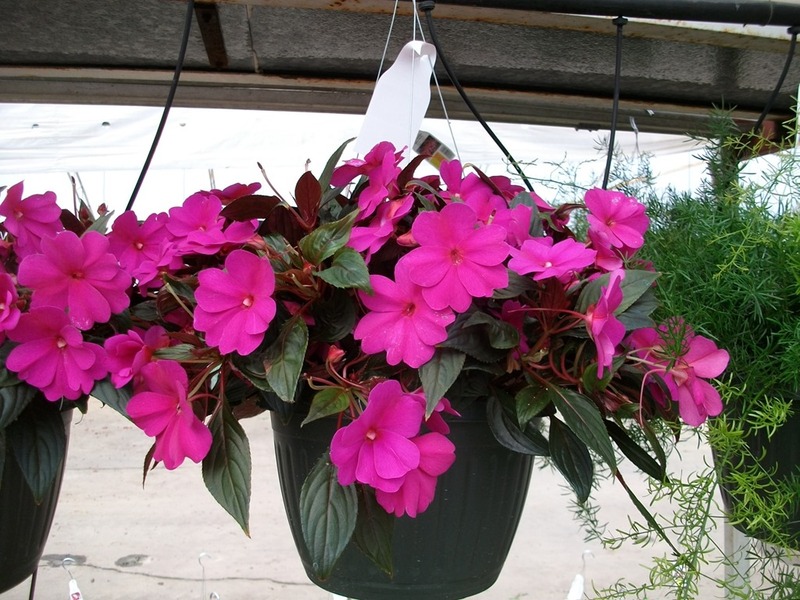 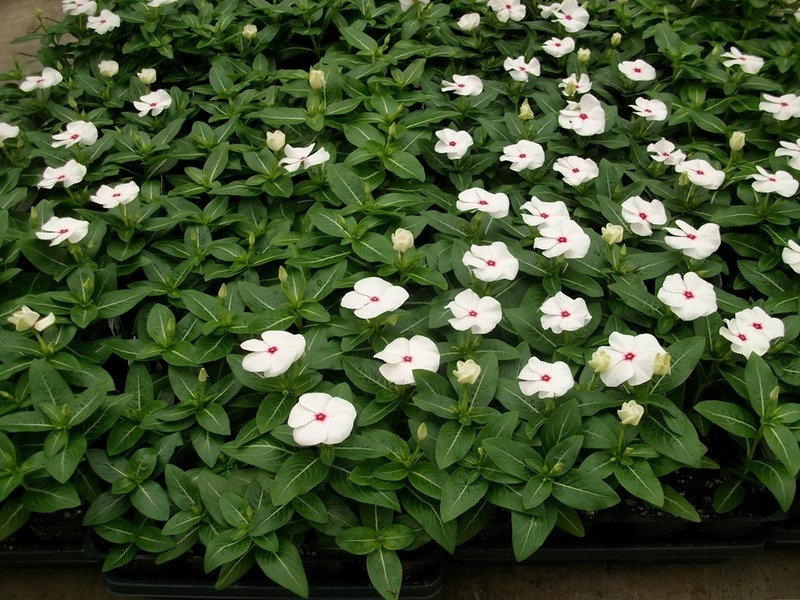 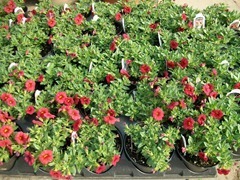 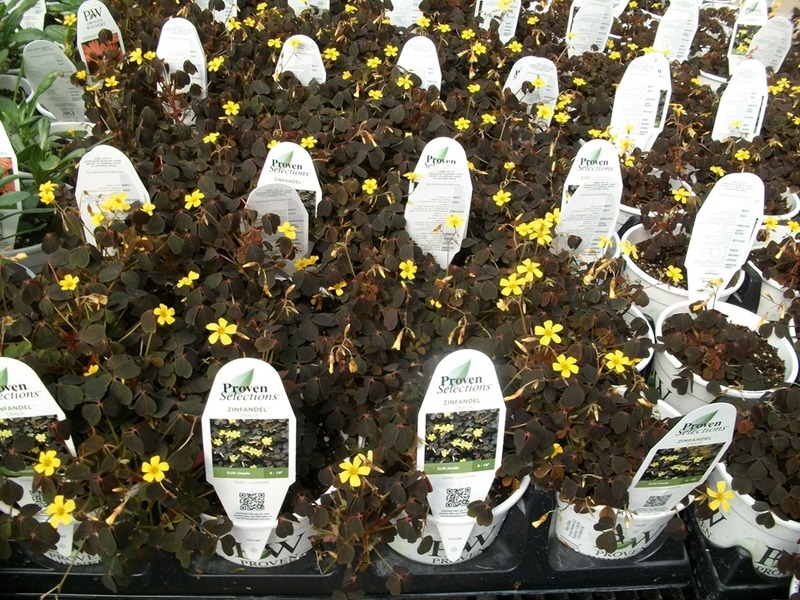 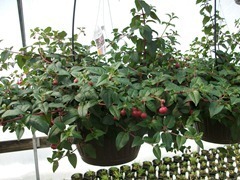 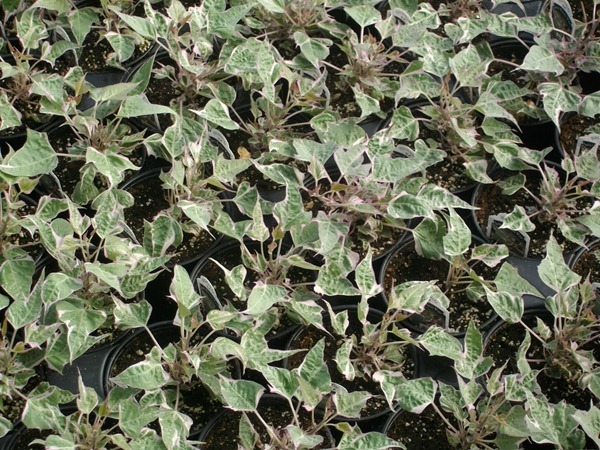 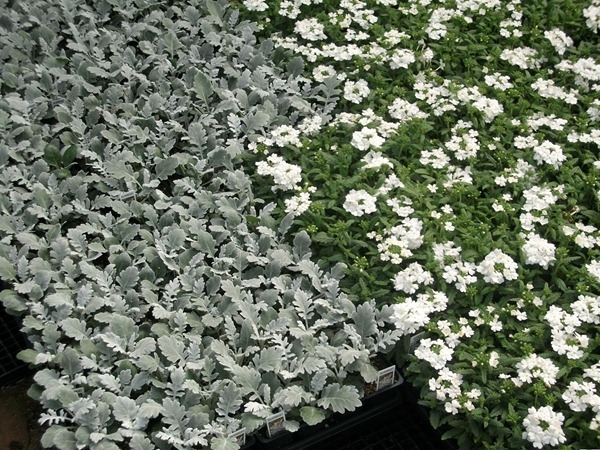 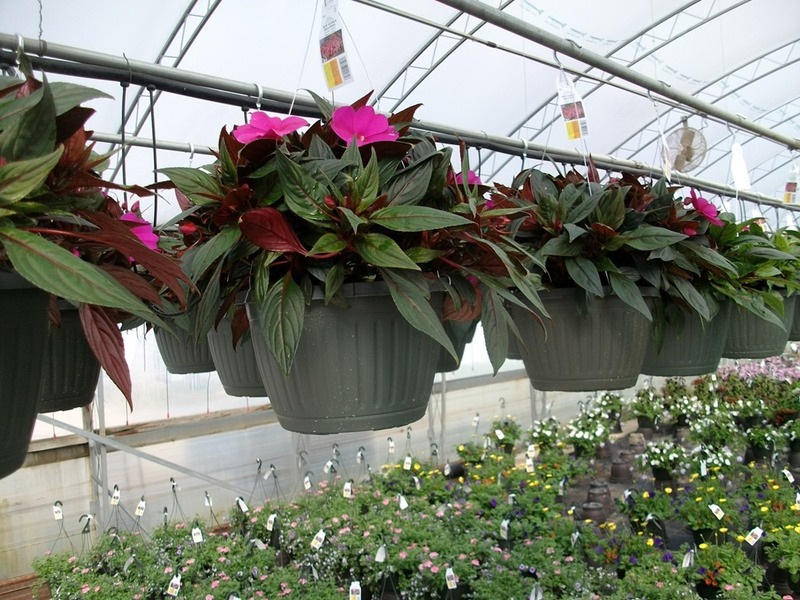 I have several items that I will be looking at on Monday that may get added to the availability like #4.5 purslane and a couple of colors of Wave Petunia baskets. 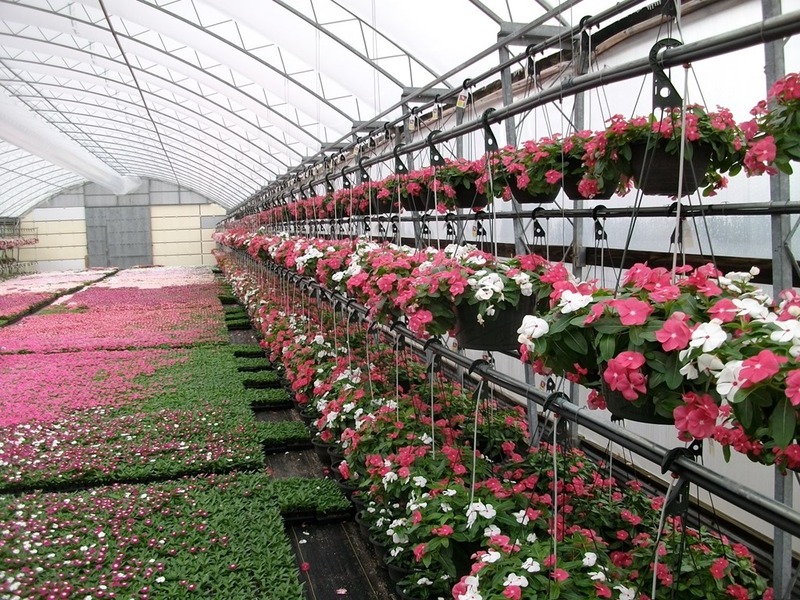 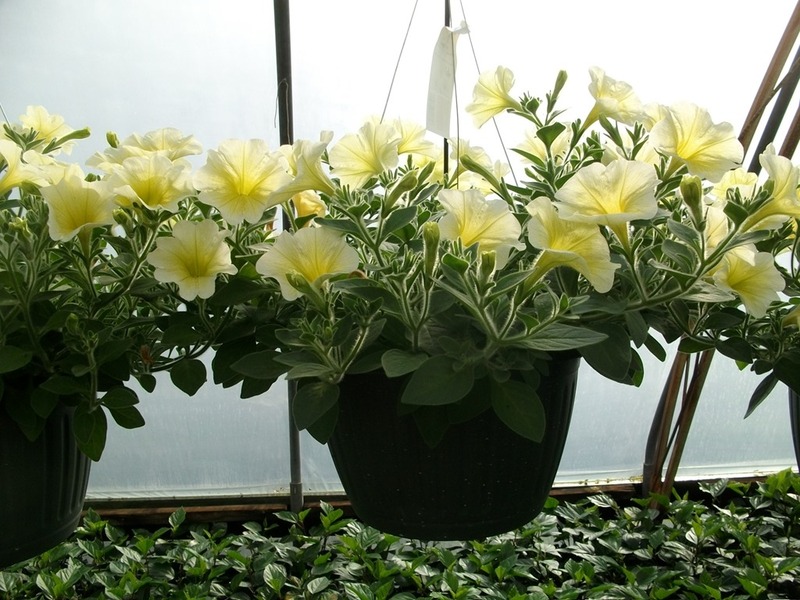 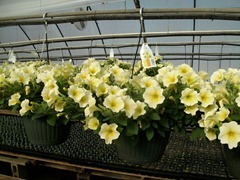 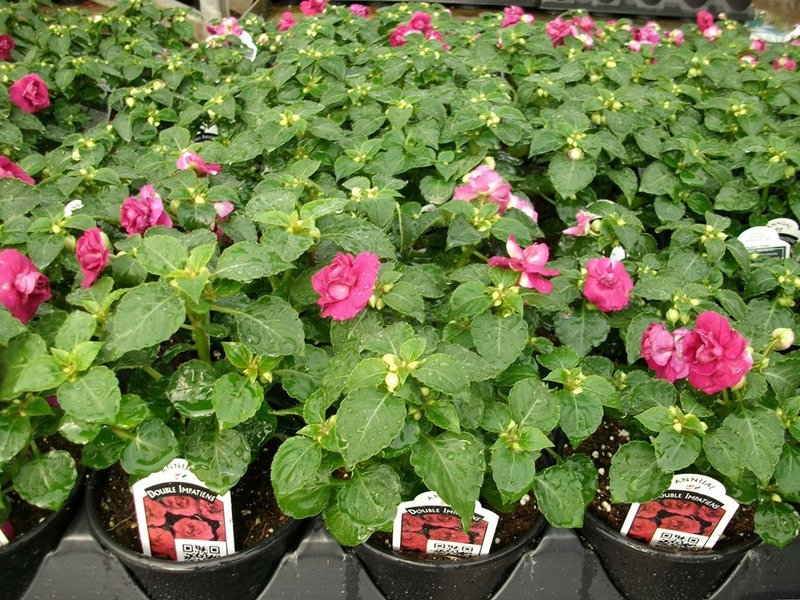 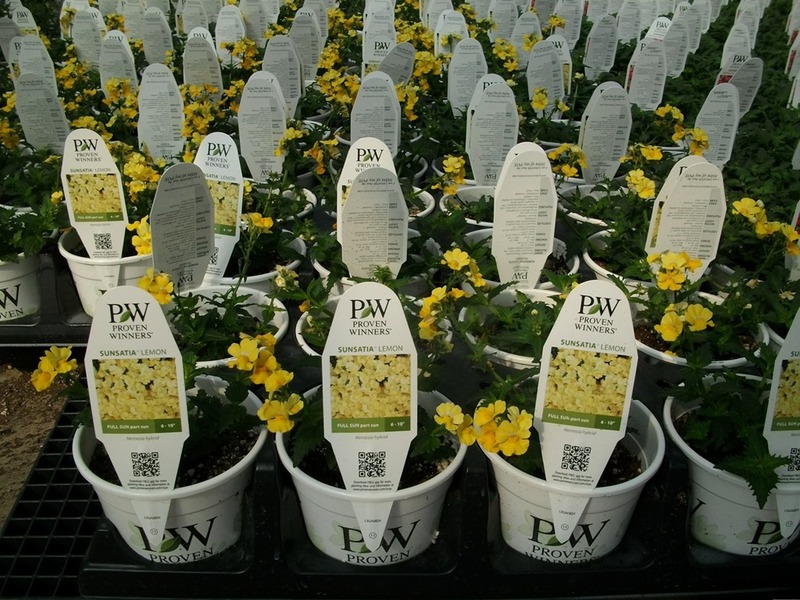 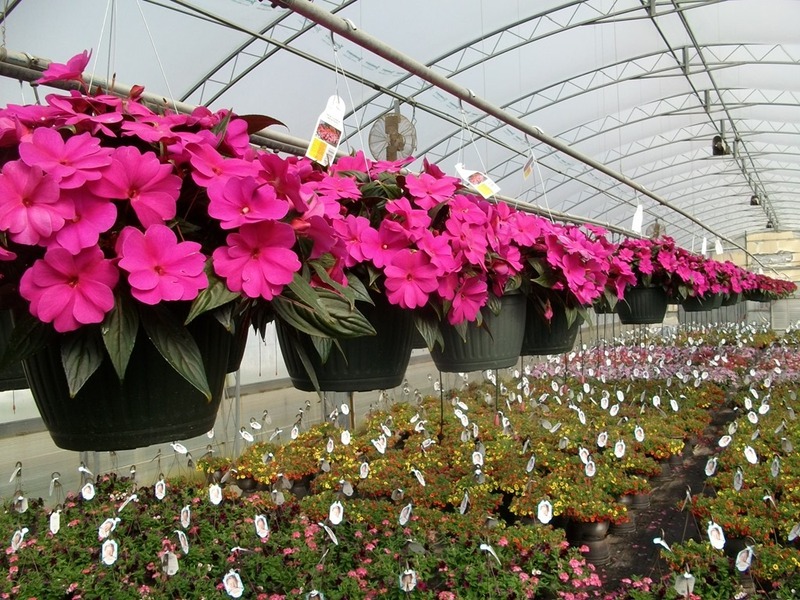 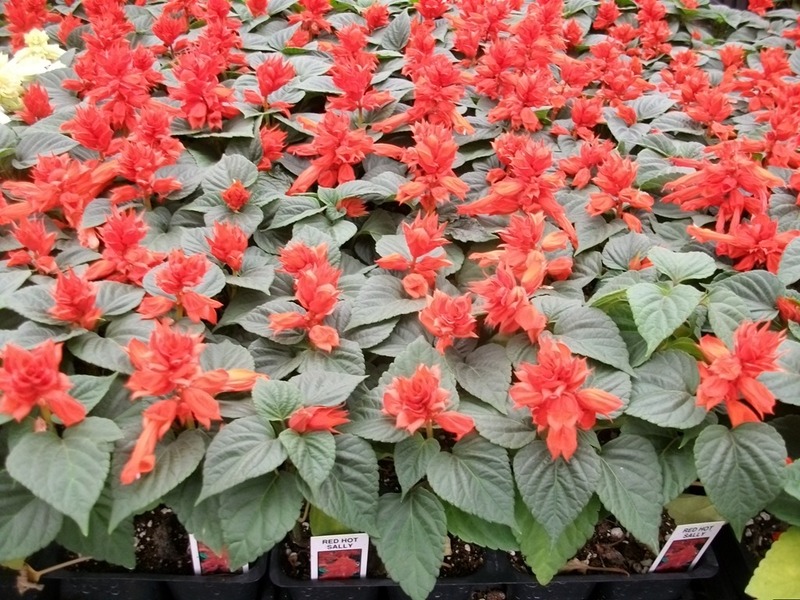 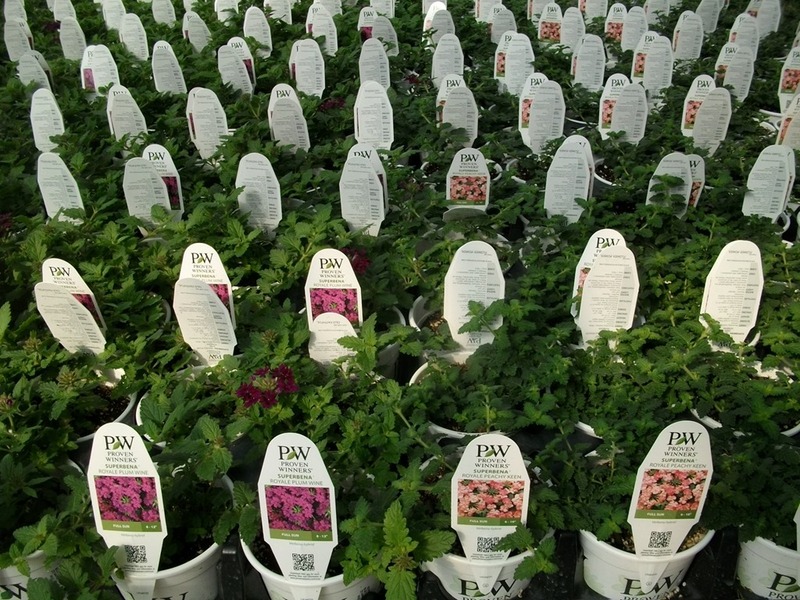 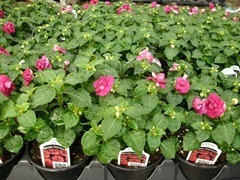 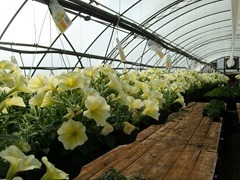 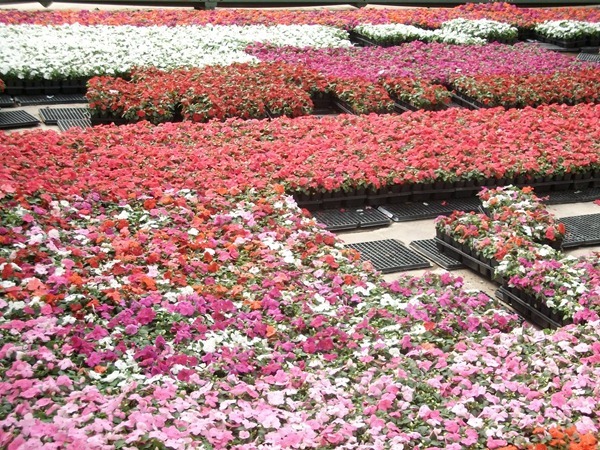 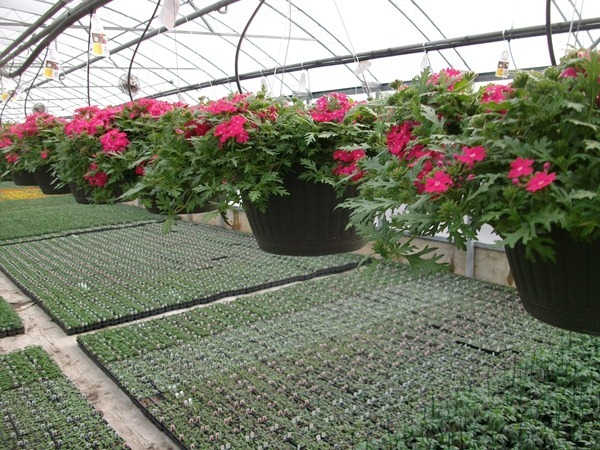 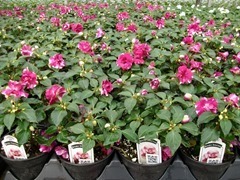 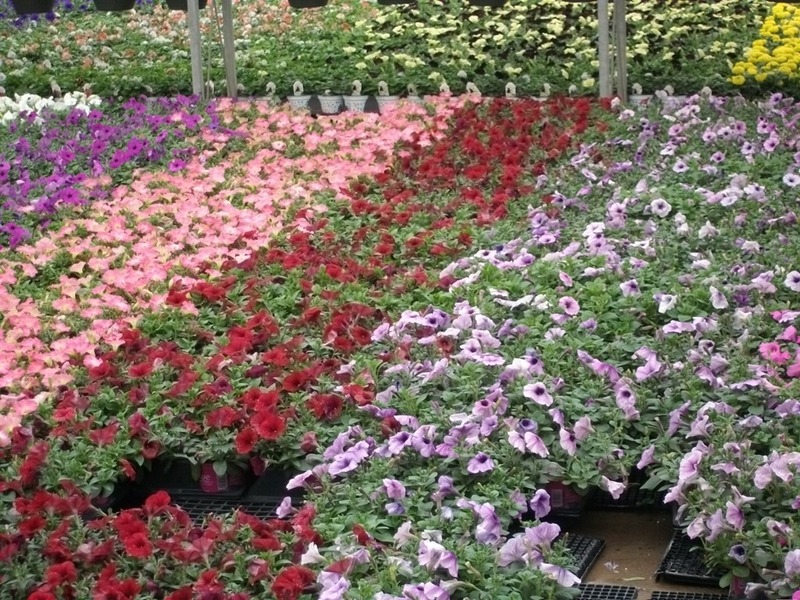 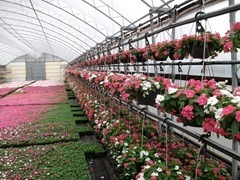 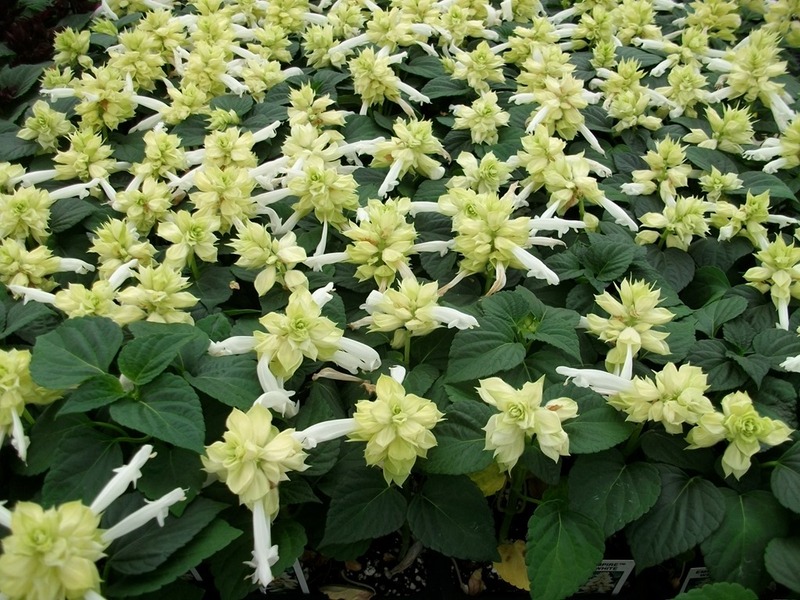 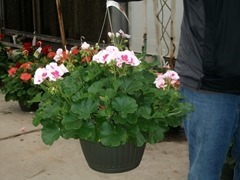 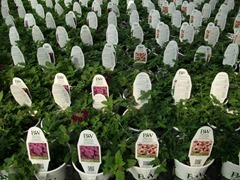 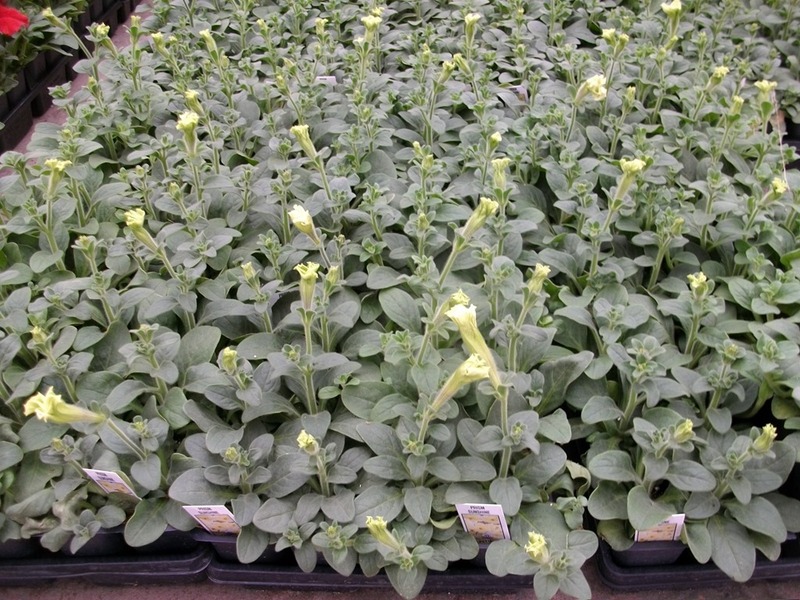 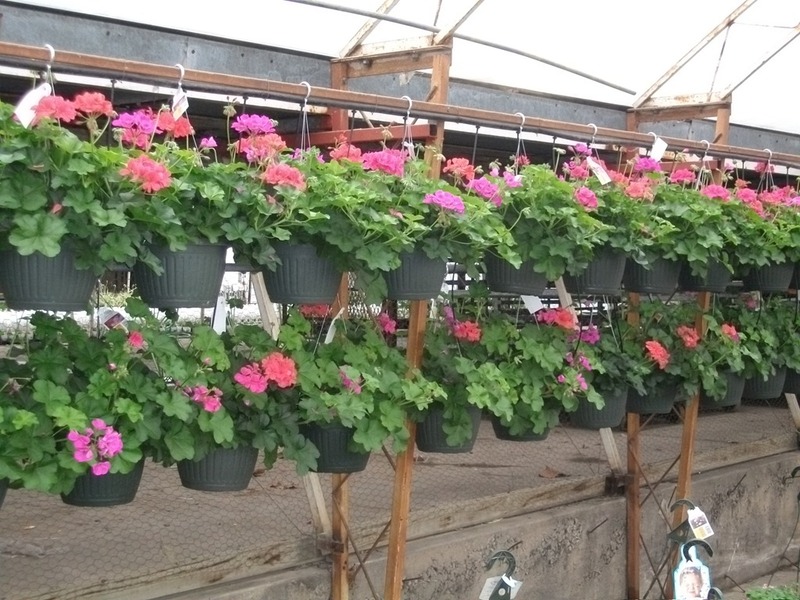 We may also have some Double Wave Petunias start blooming next week. They are hard to judge because once they start, the bloom out fast. 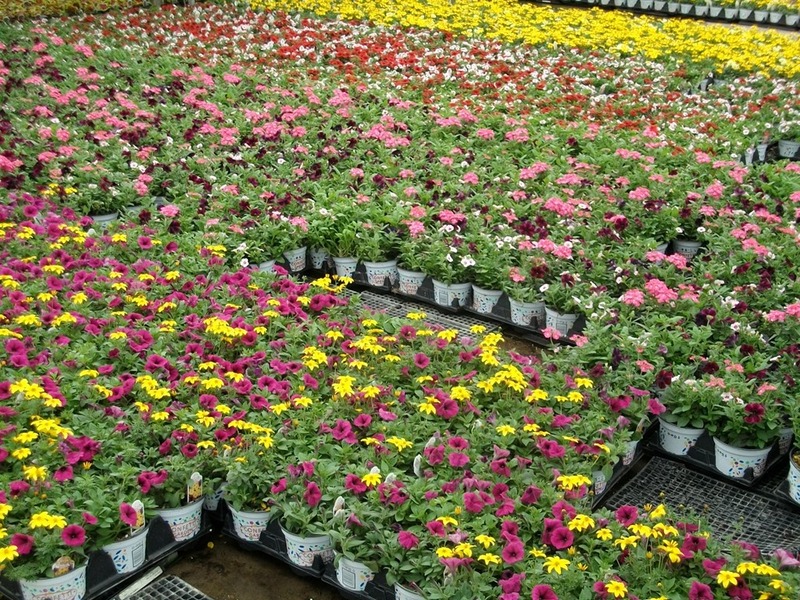 Spring Break is here for some of us and we have already had the time change. 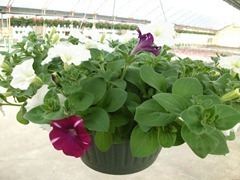 Hope you are enjoying the extra daylight time in the evening. 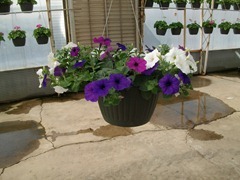 The spring showers are hitting much of the area today. 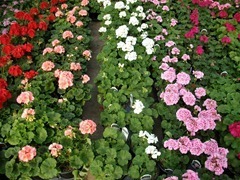 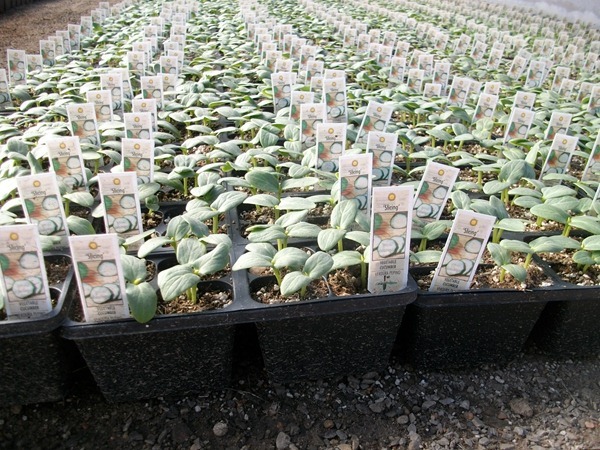 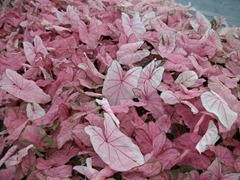 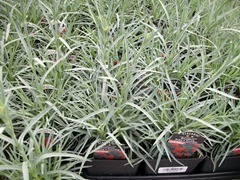 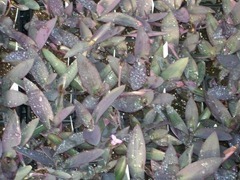 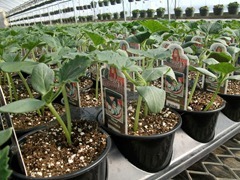 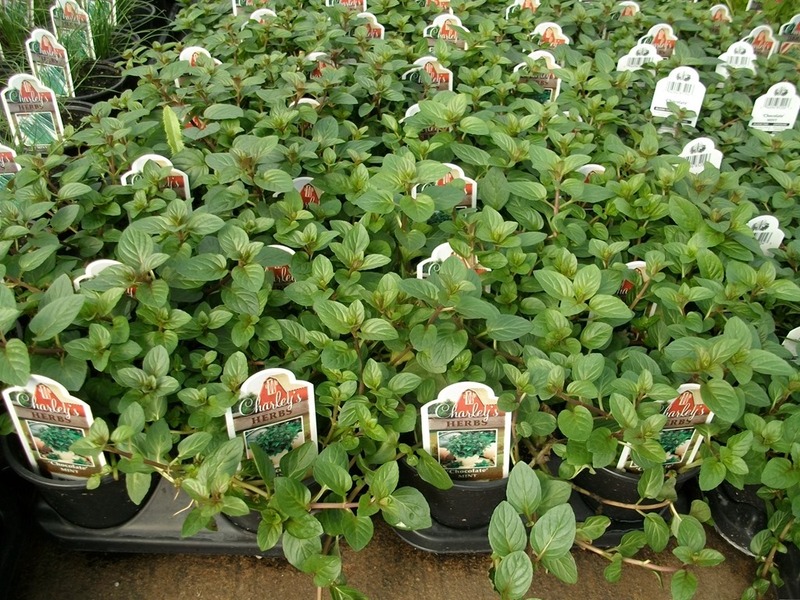 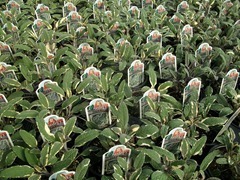 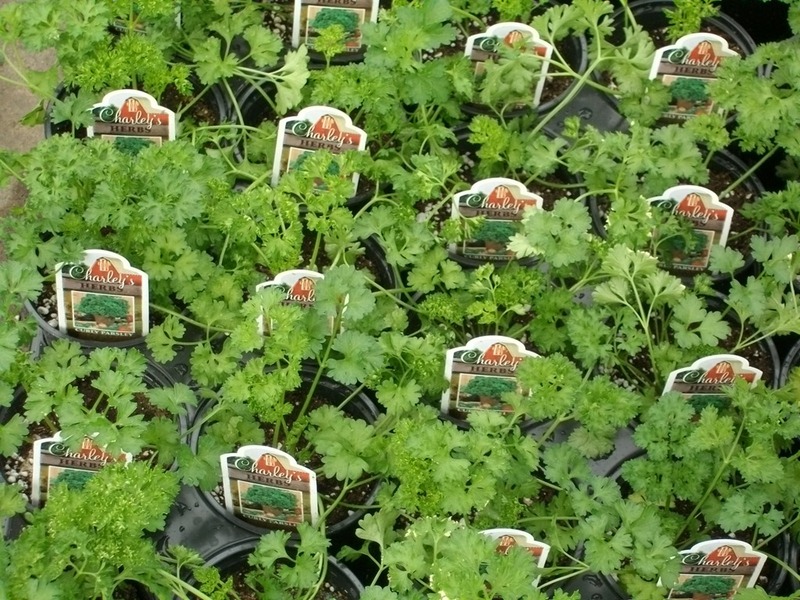 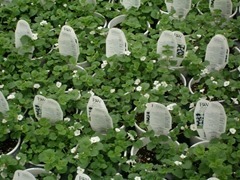 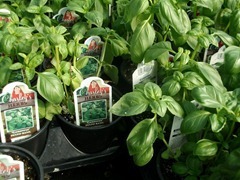 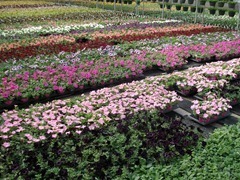 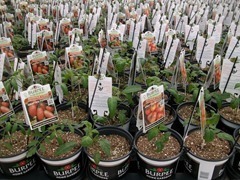 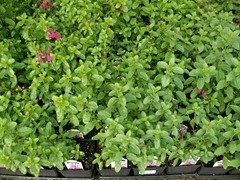 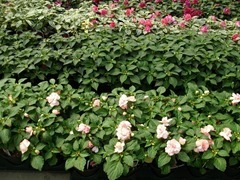 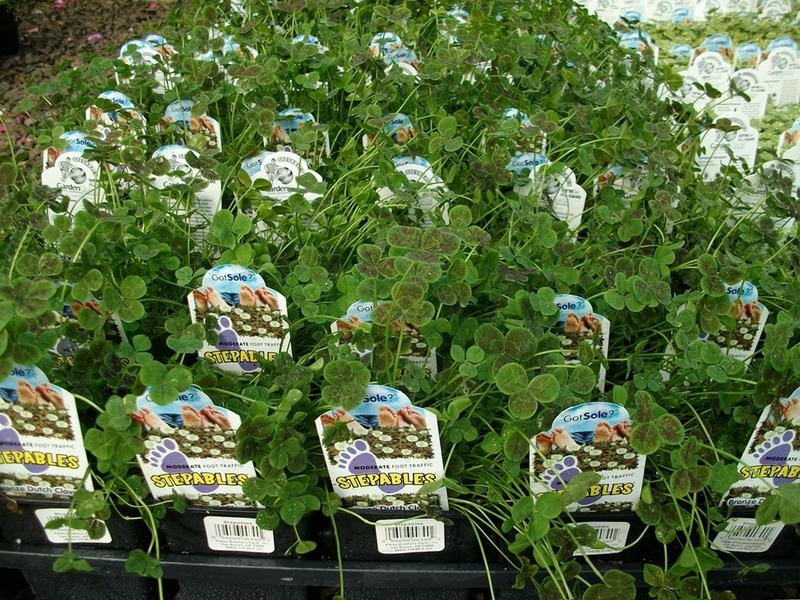 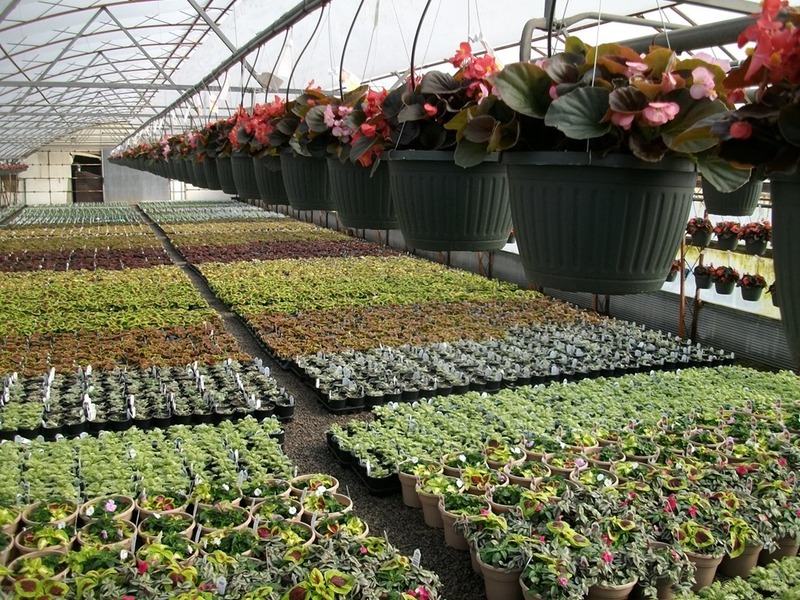 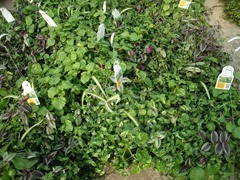 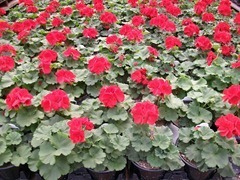 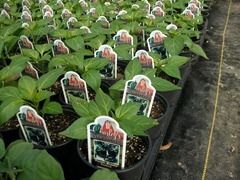 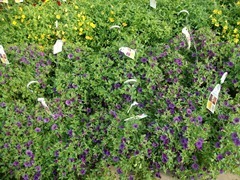 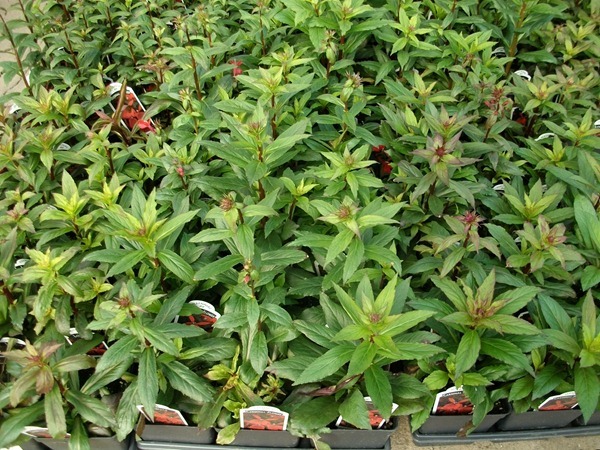 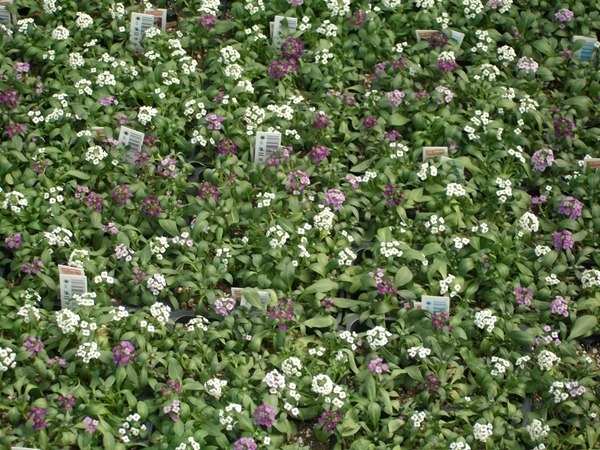 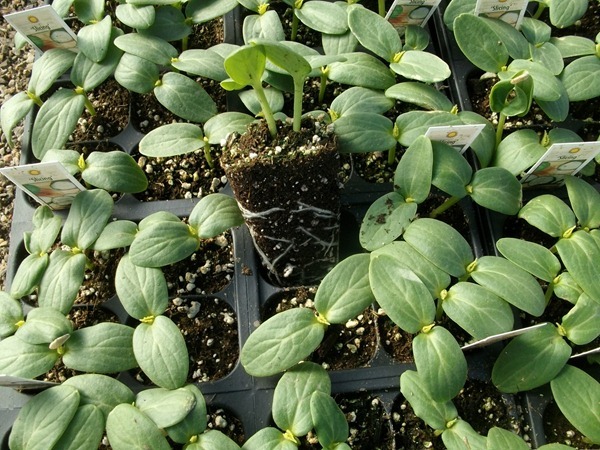 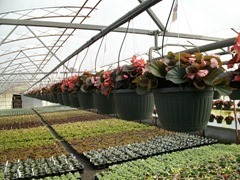 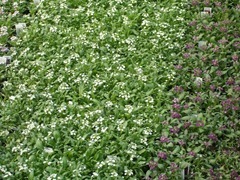 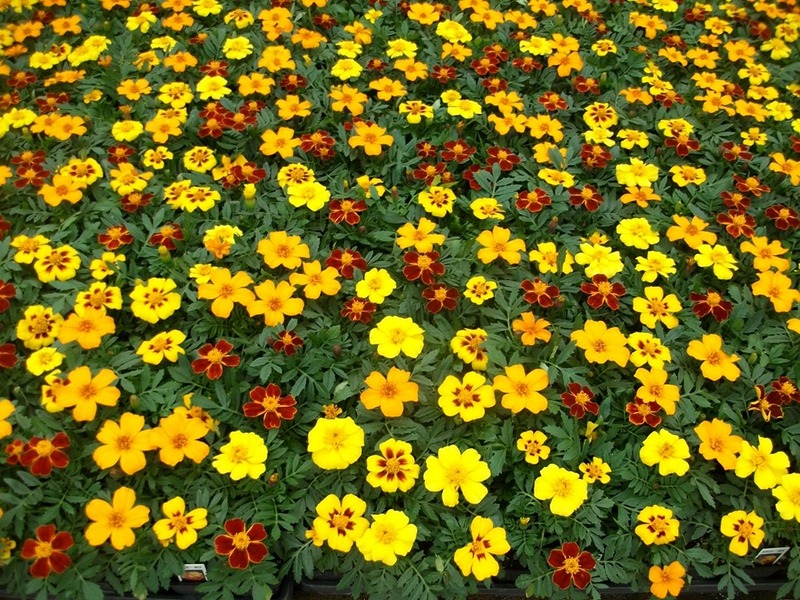 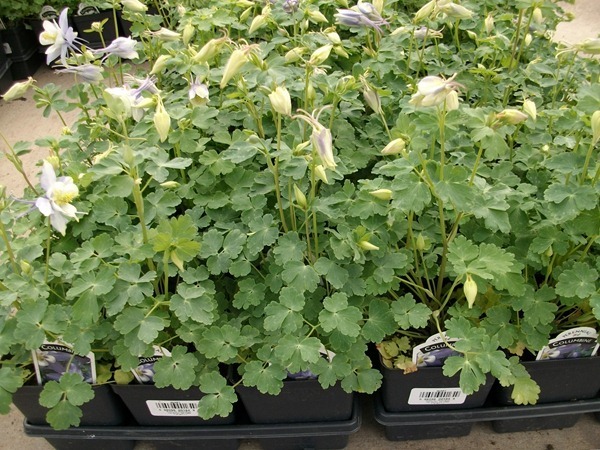 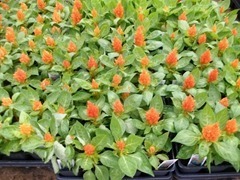 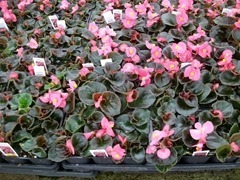 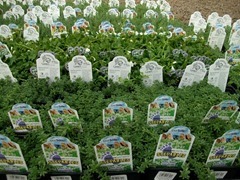 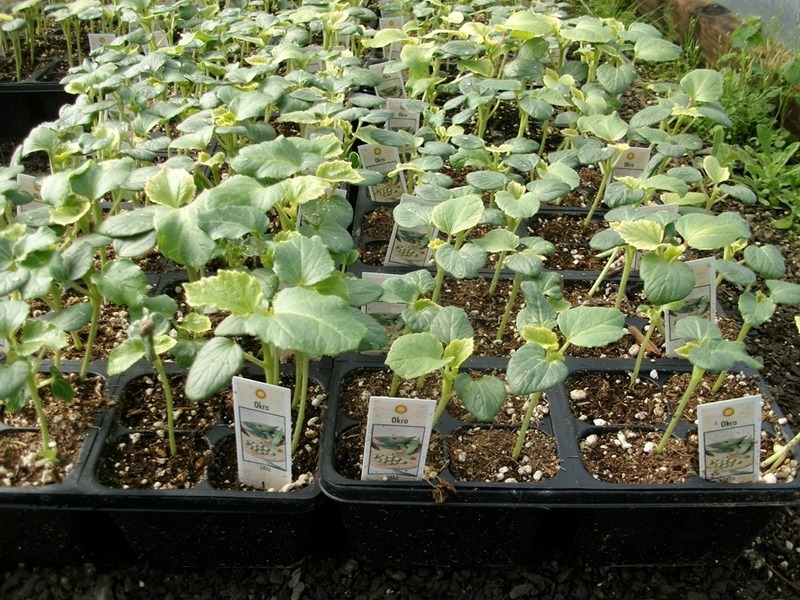 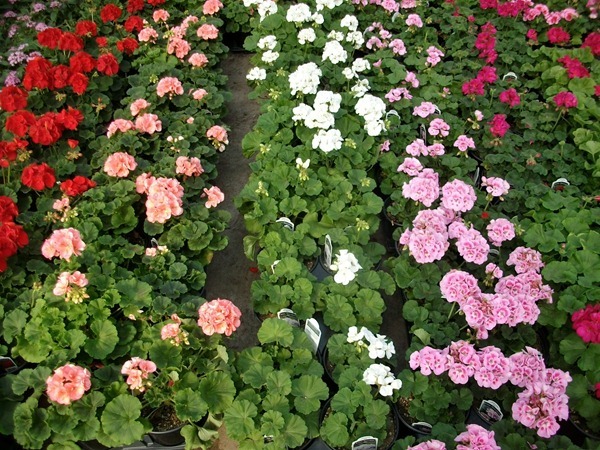 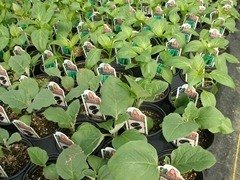 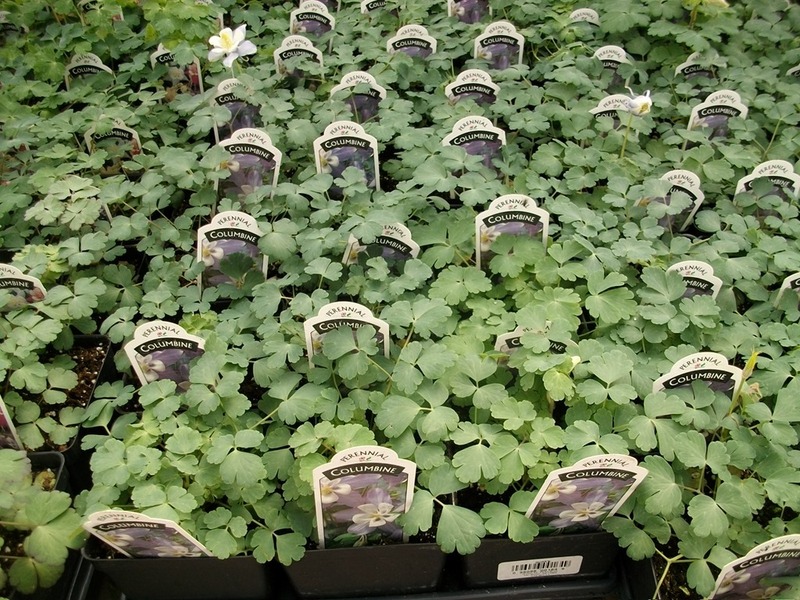 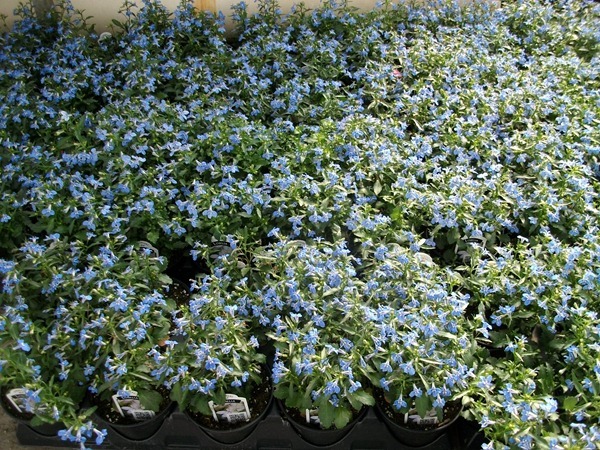 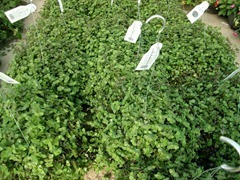 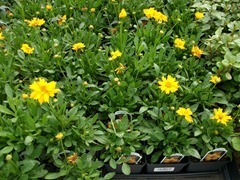 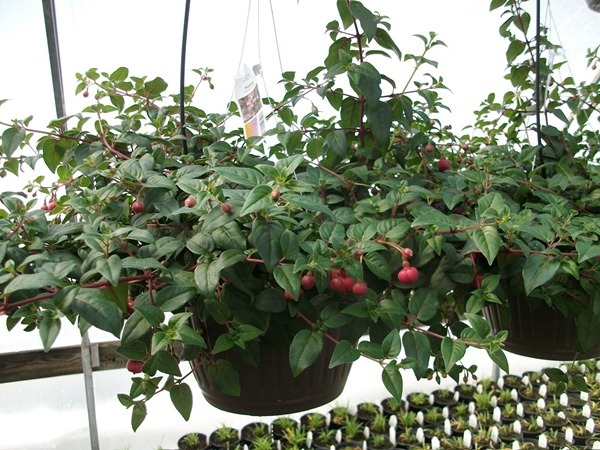 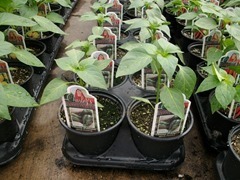 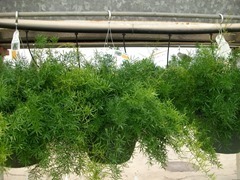 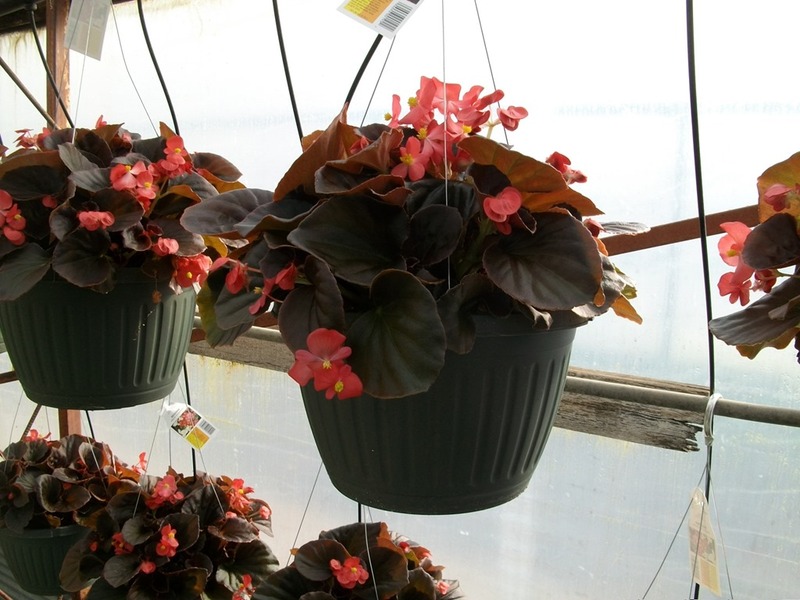 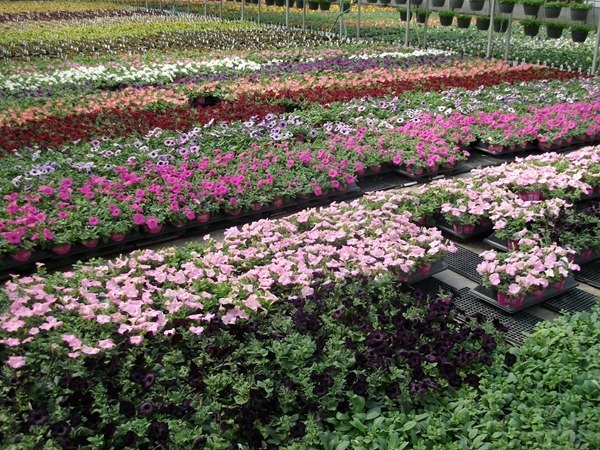 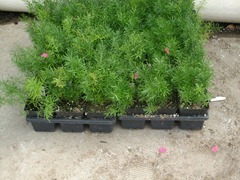 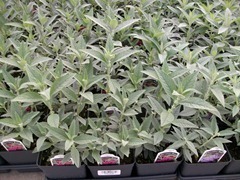 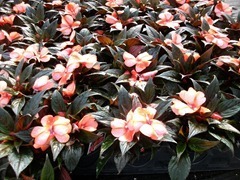 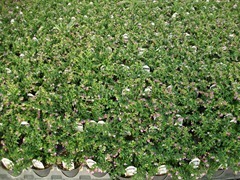 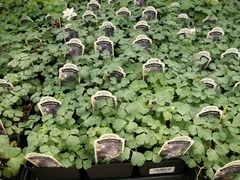 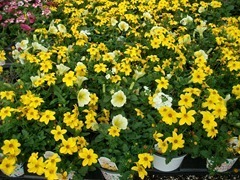 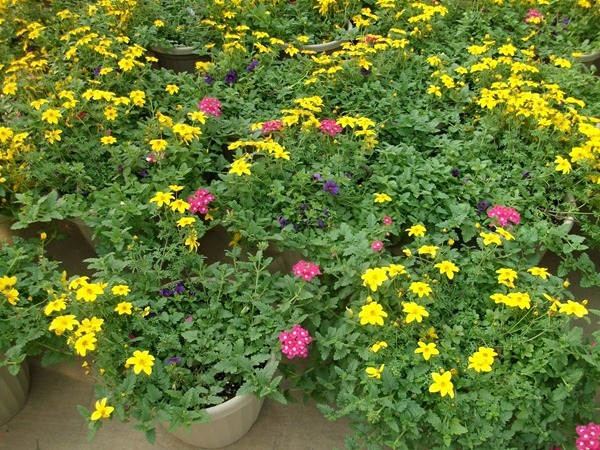 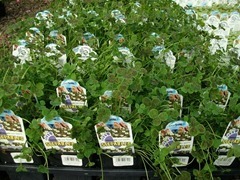 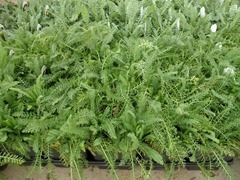 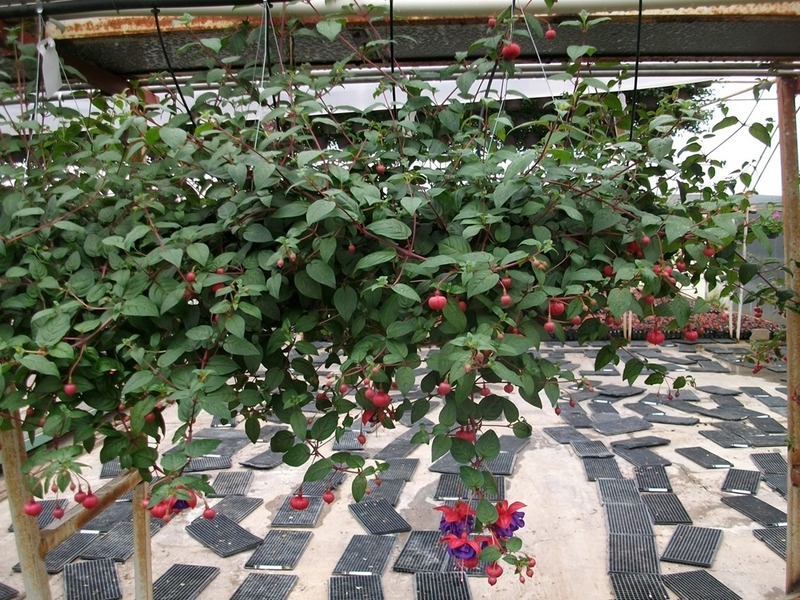 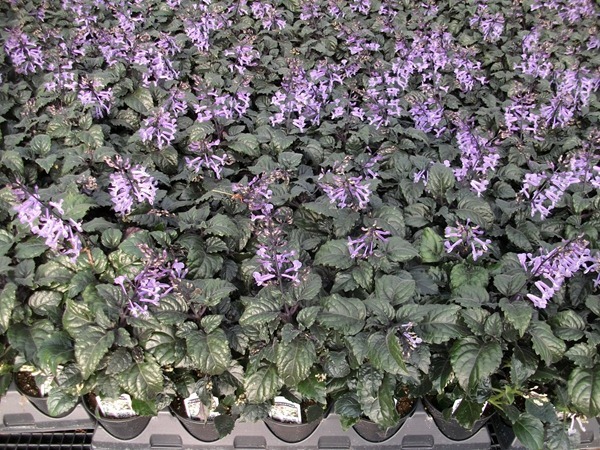 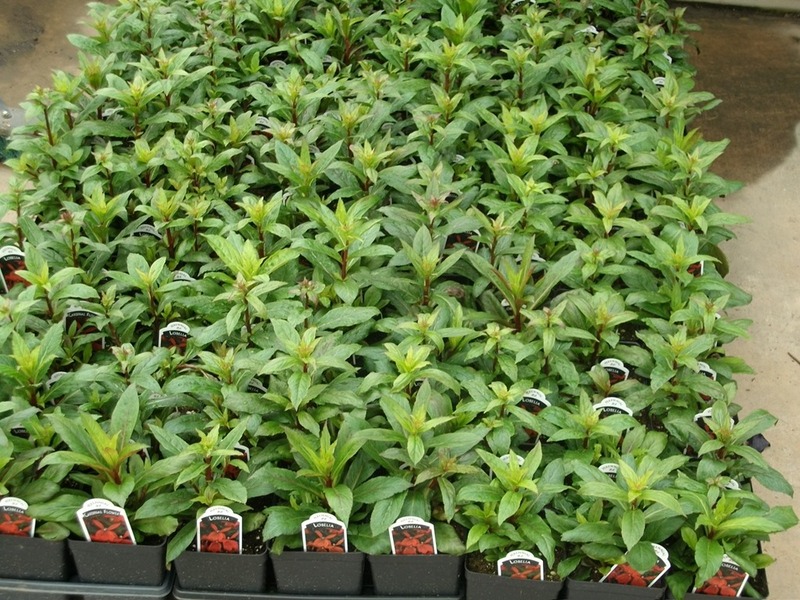 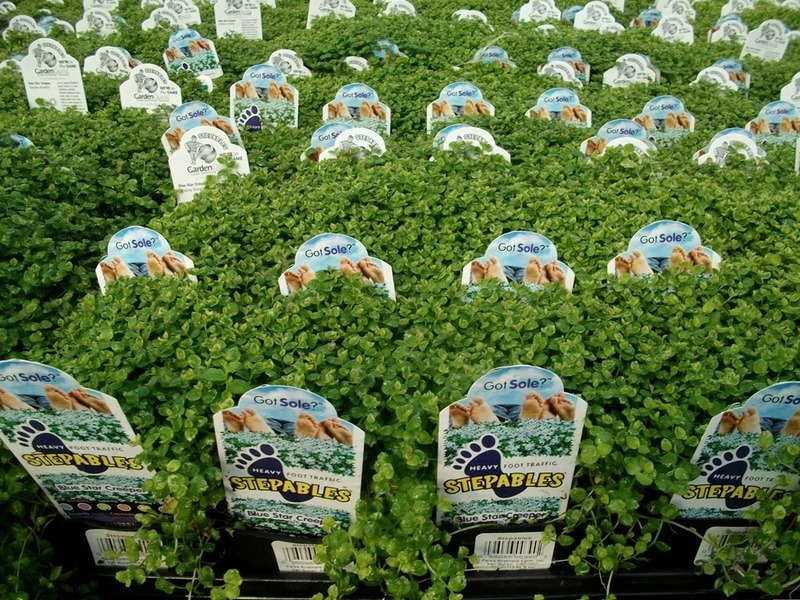 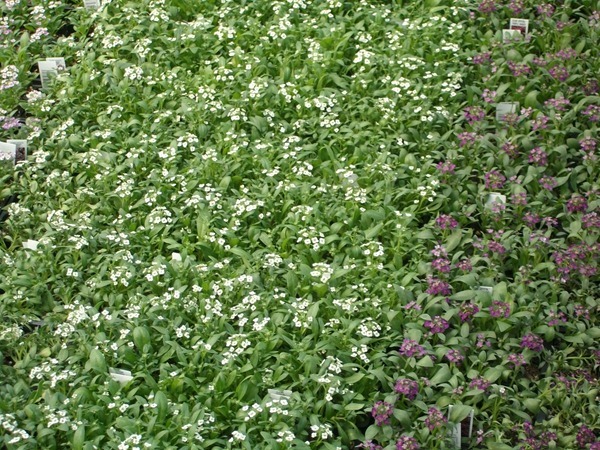 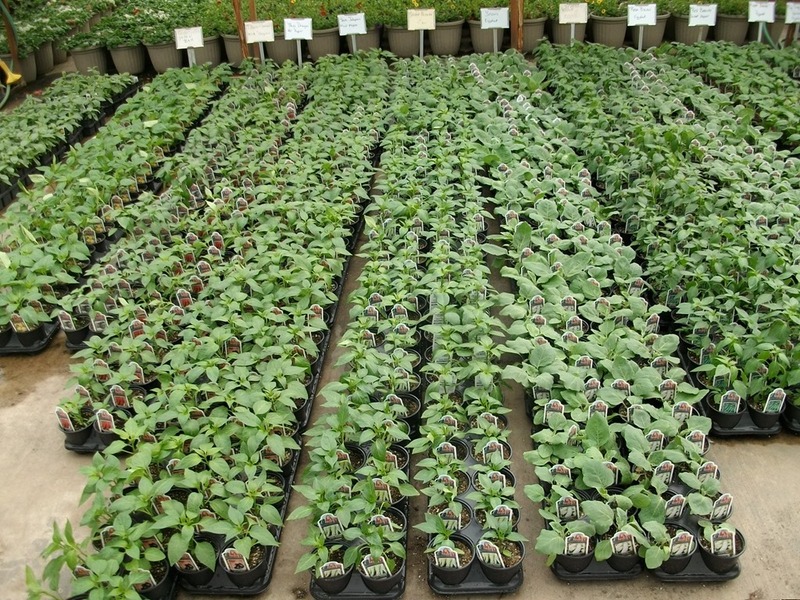 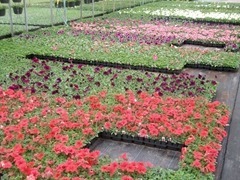 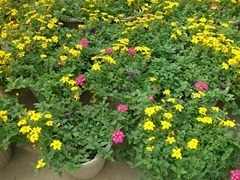 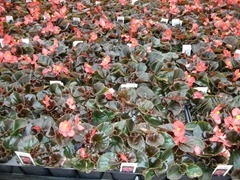 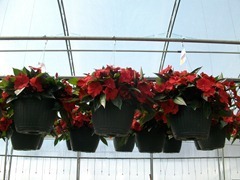 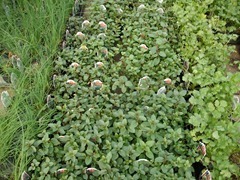 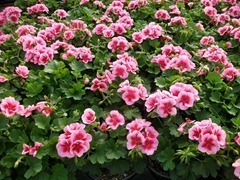 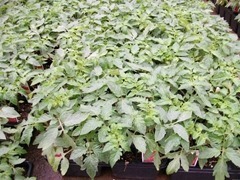 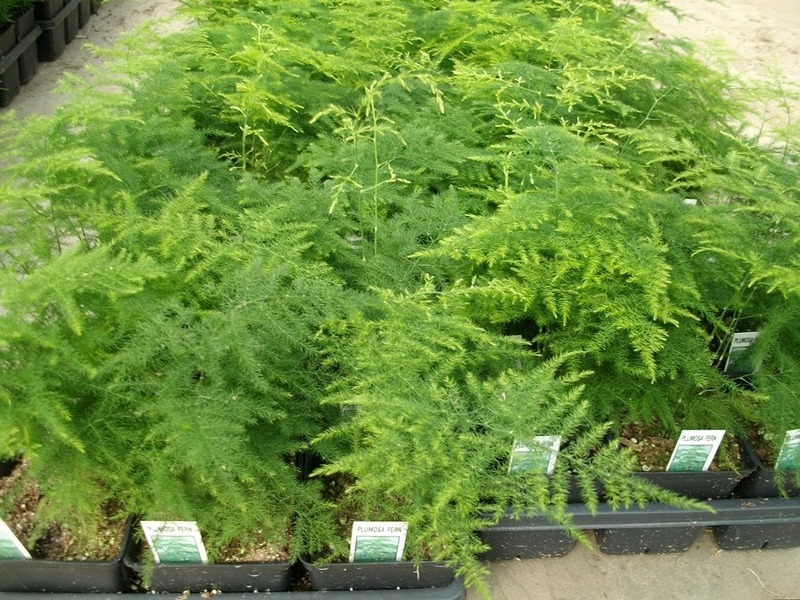 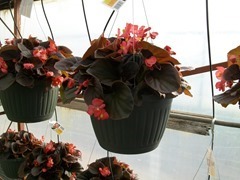 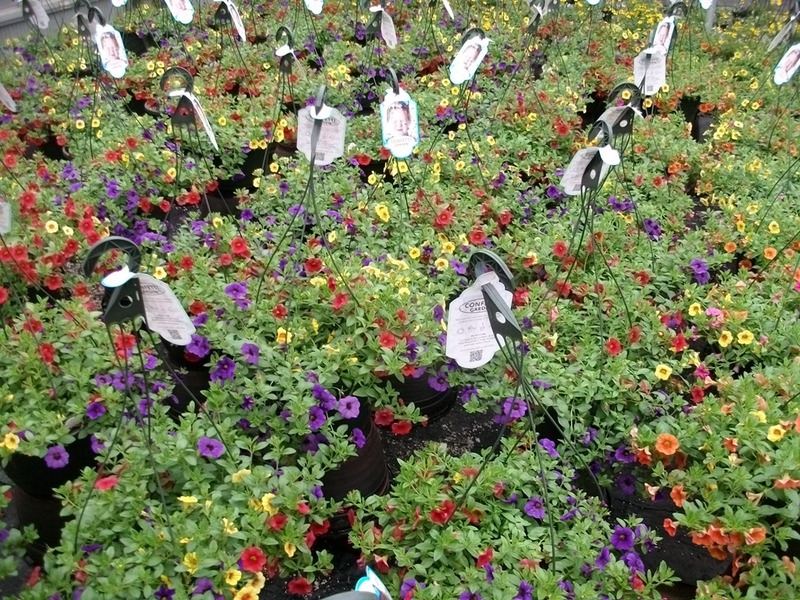 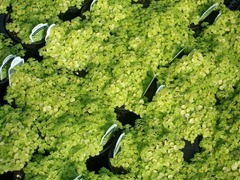 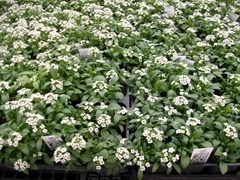 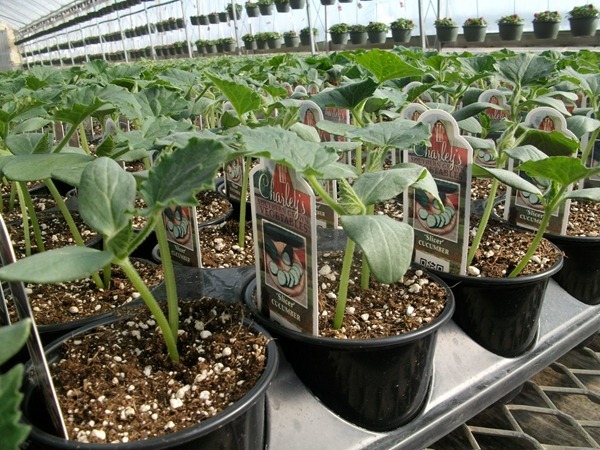 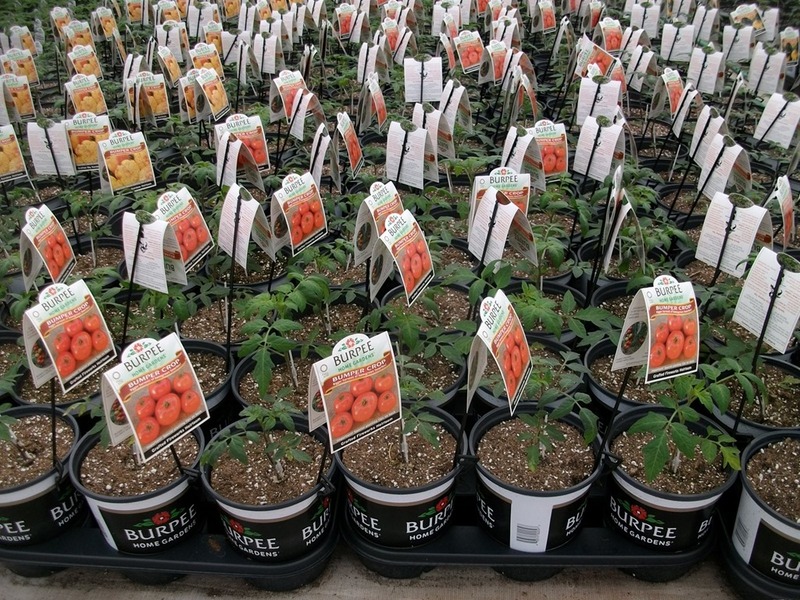 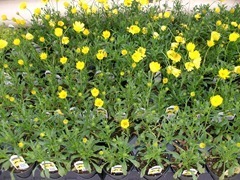 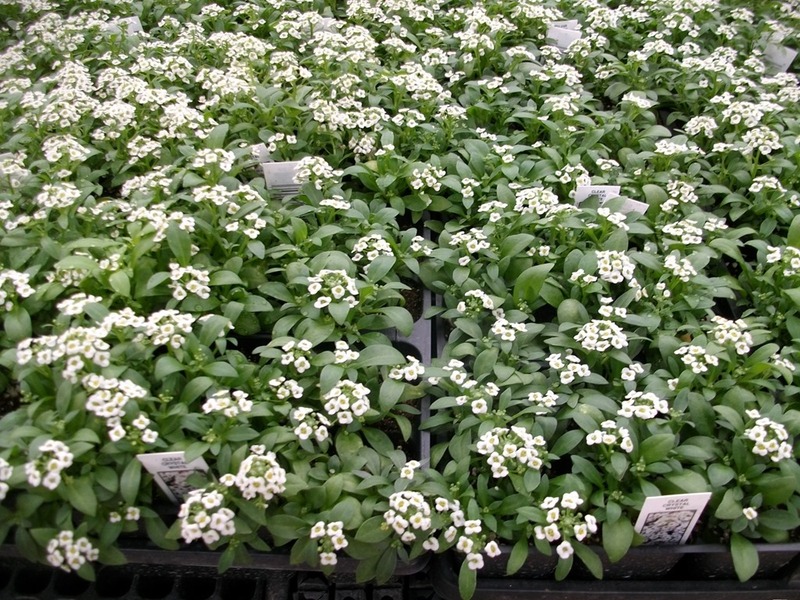 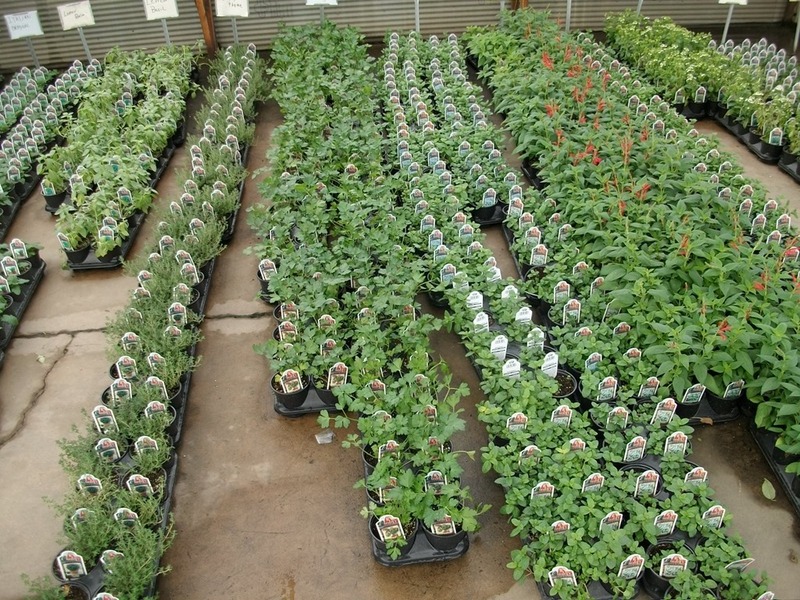 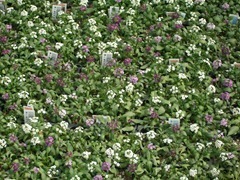 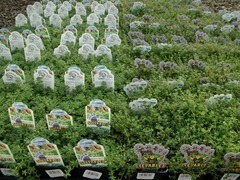 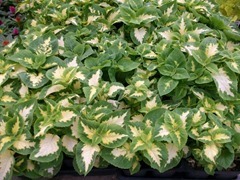 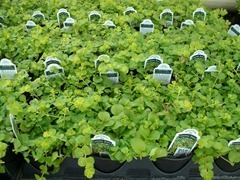 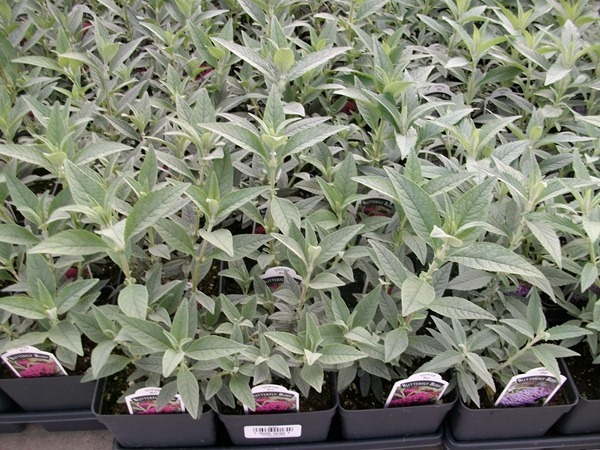 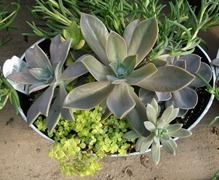 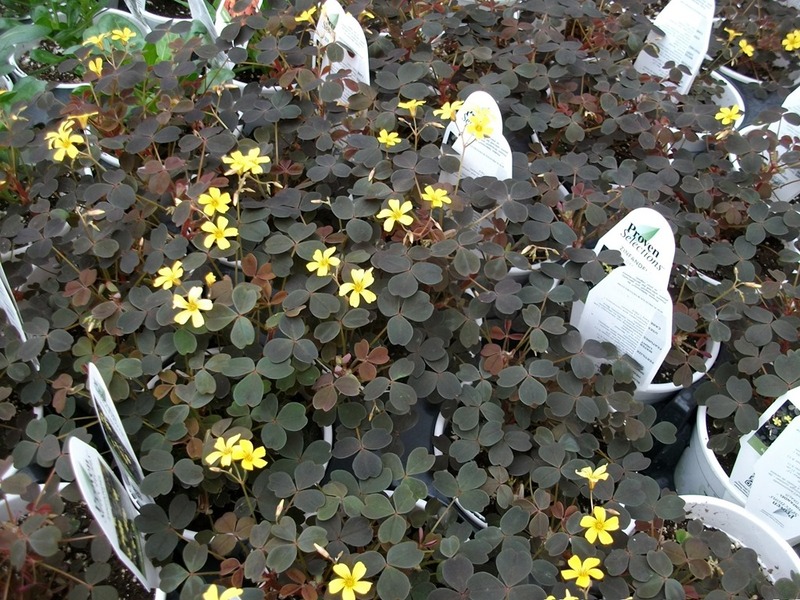 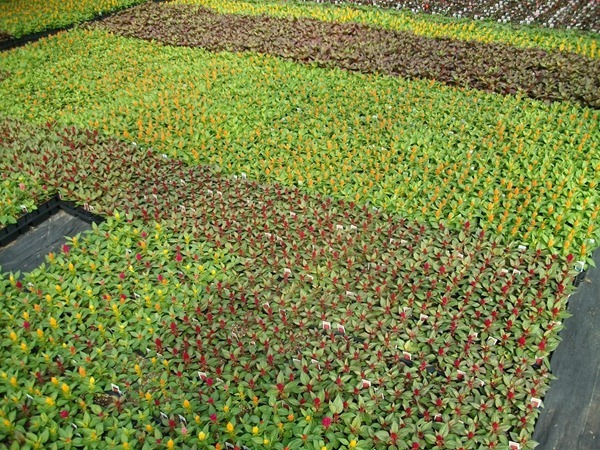 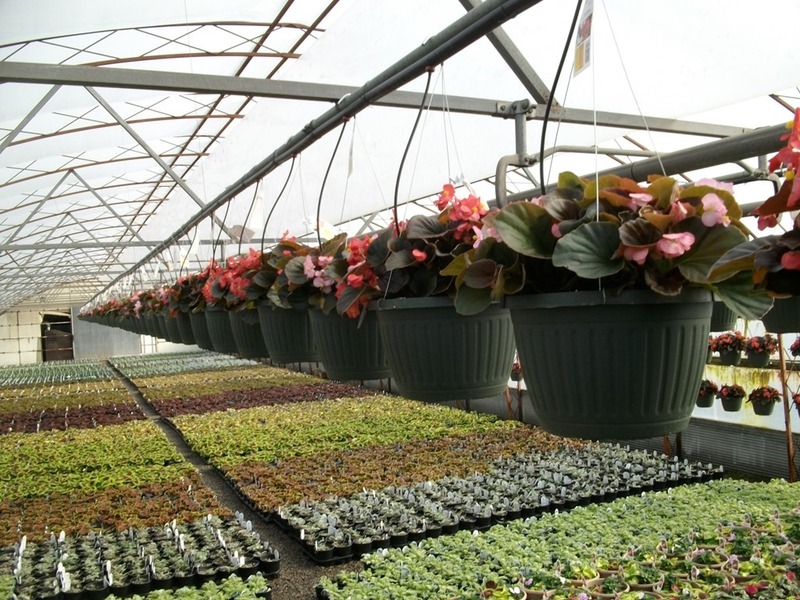 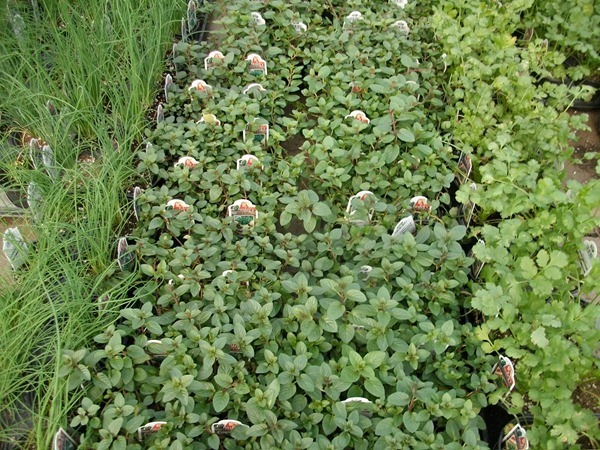 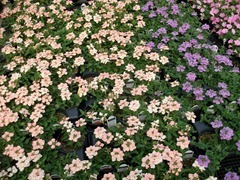 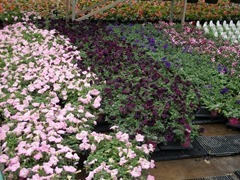 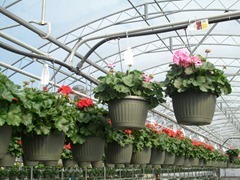 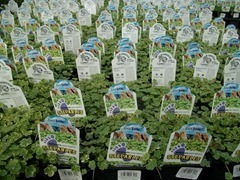 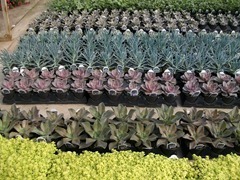 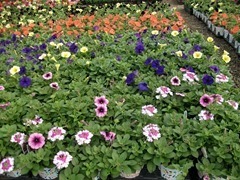 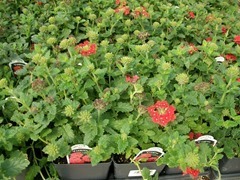 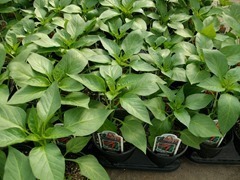 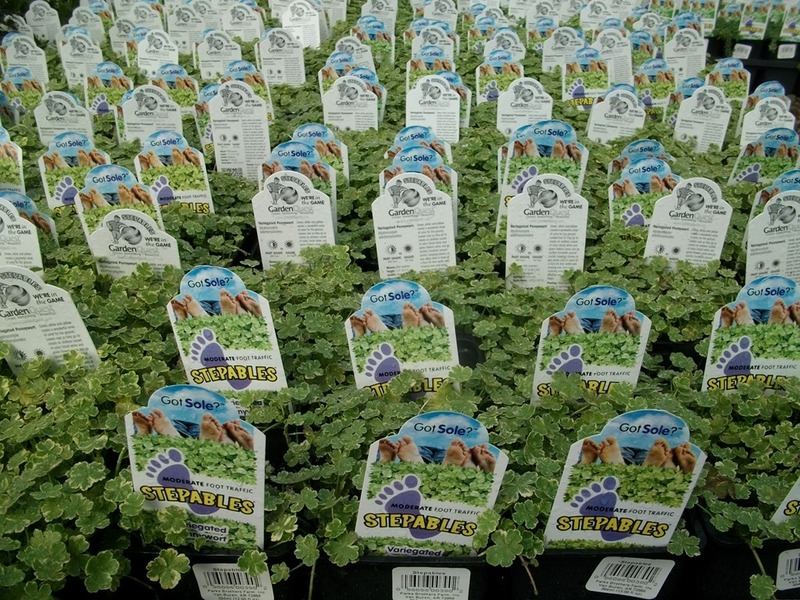 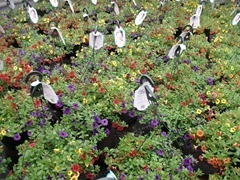 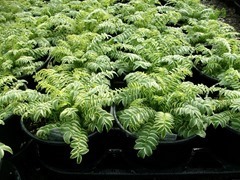 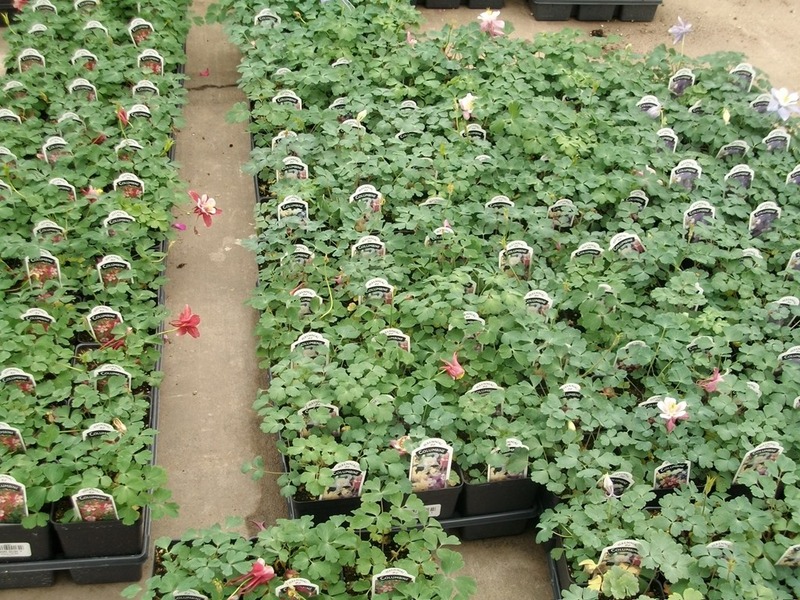 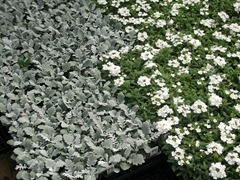 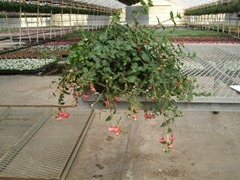 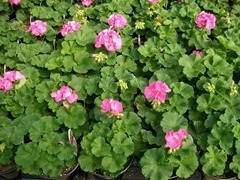 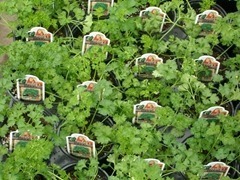 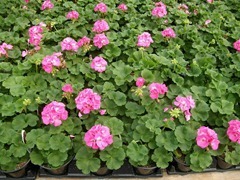 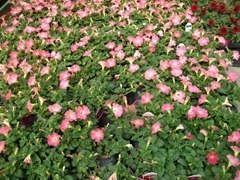 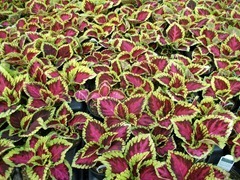 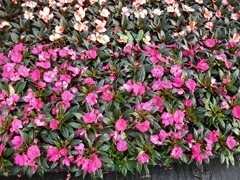 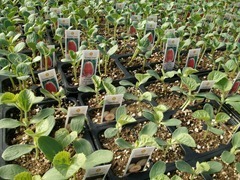 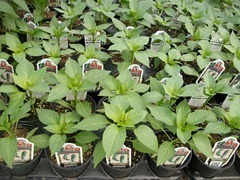 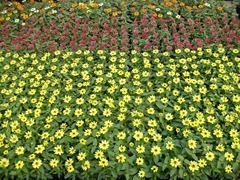 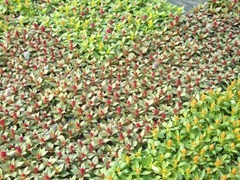 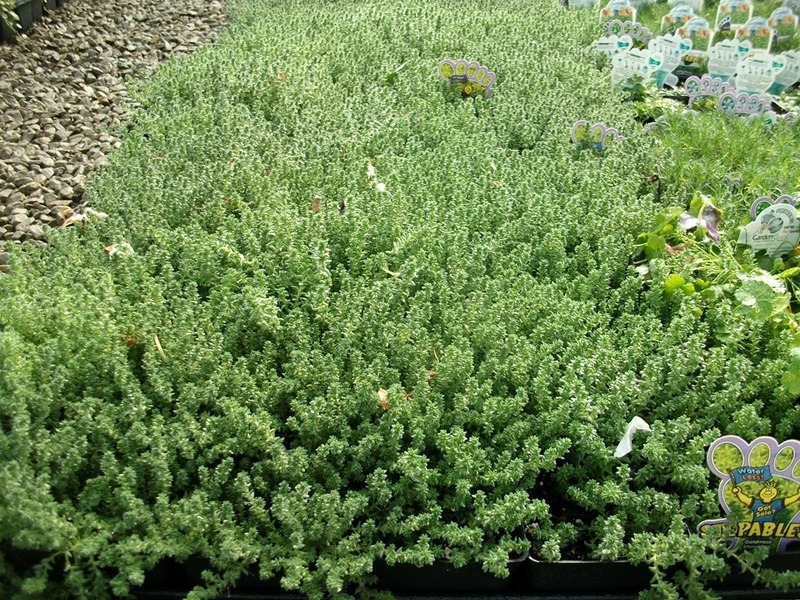 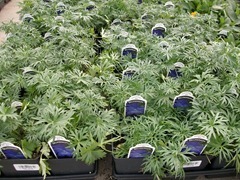 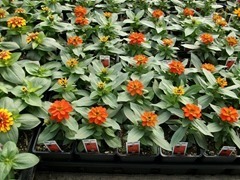 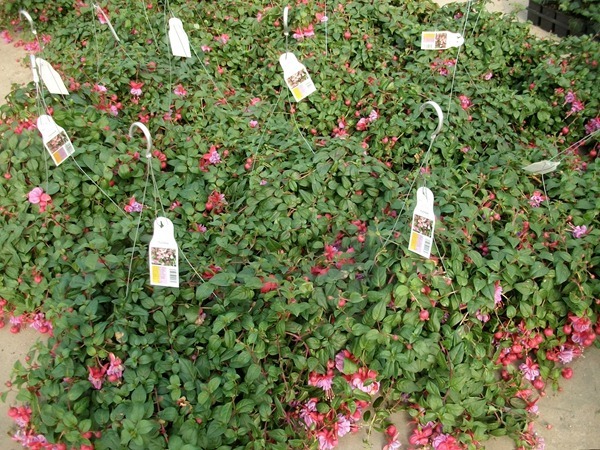 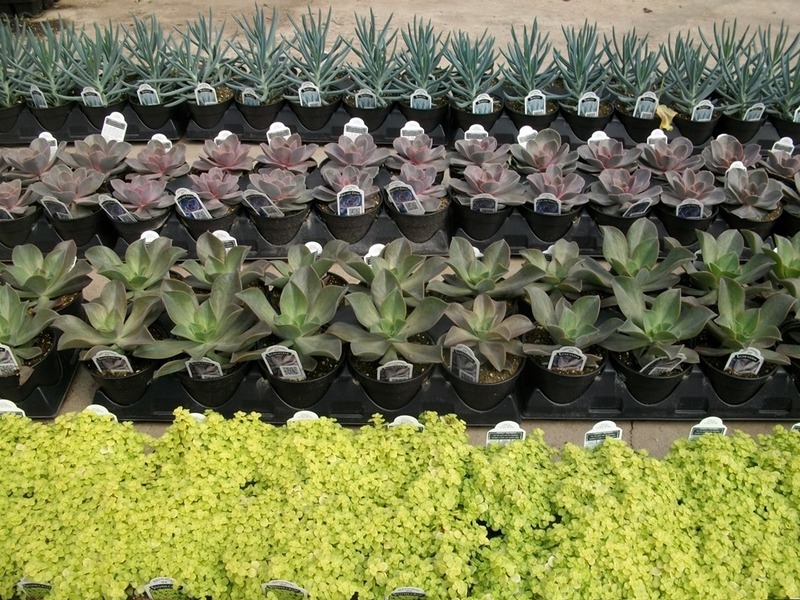 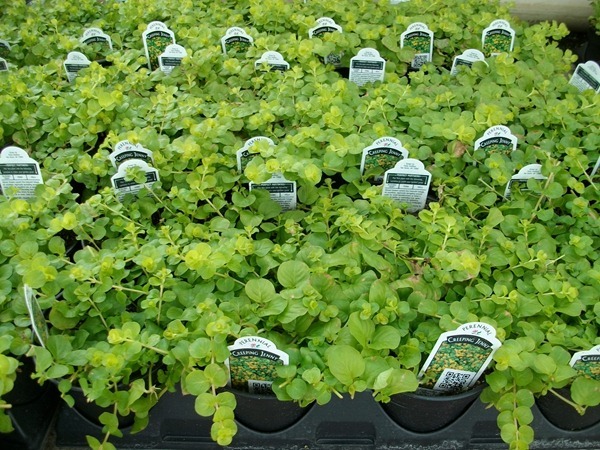 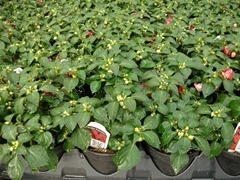 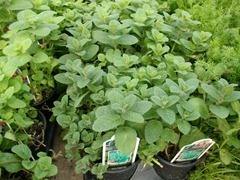 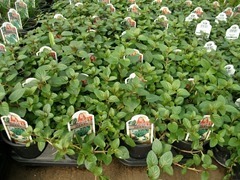 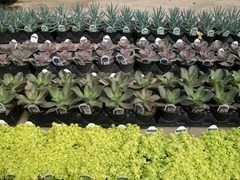 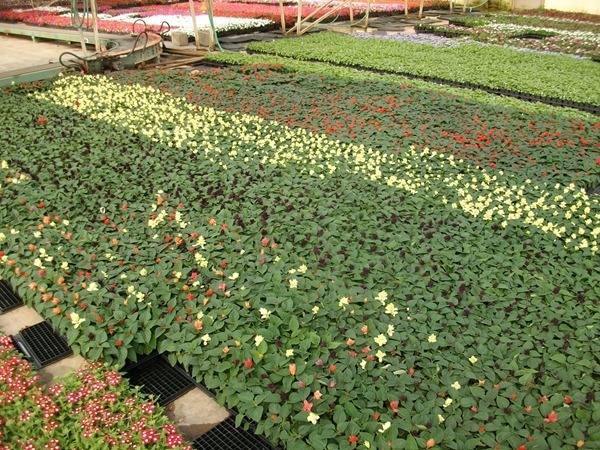 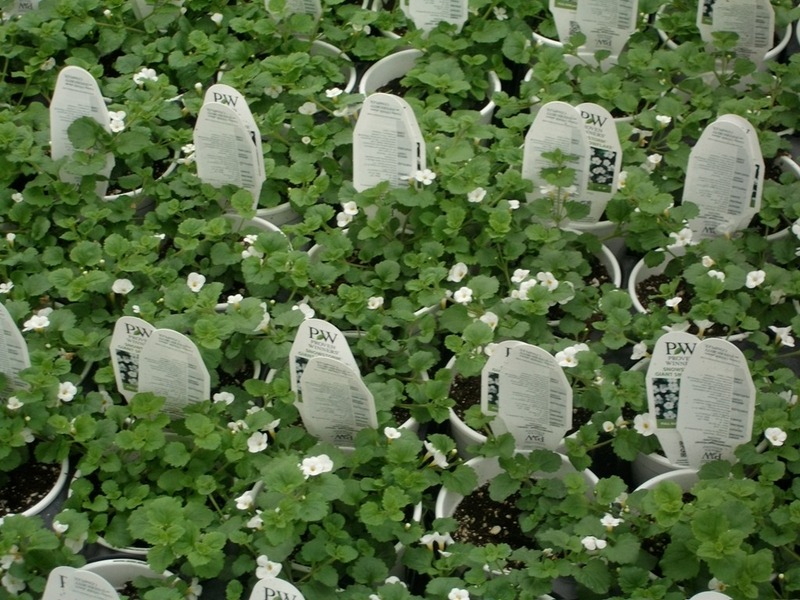 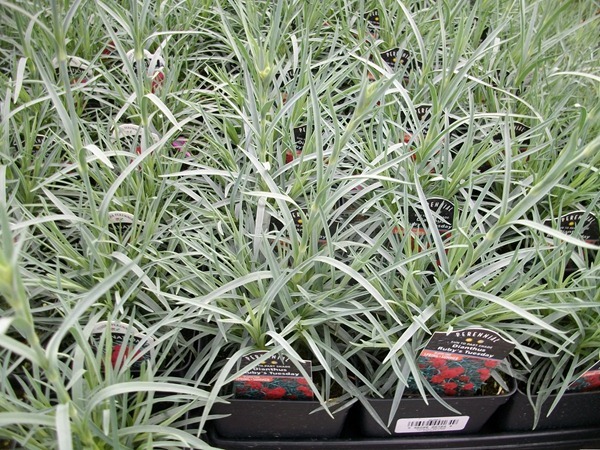 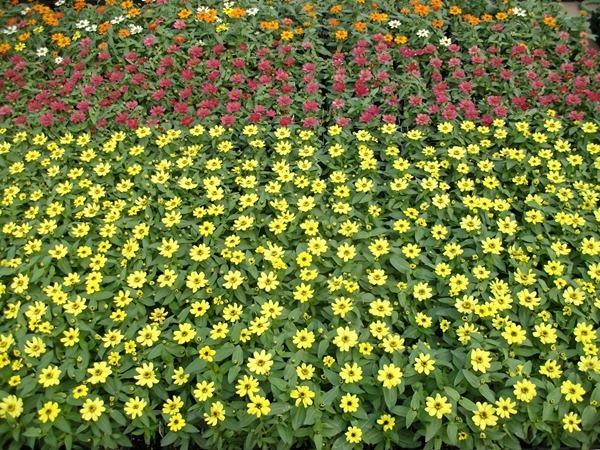 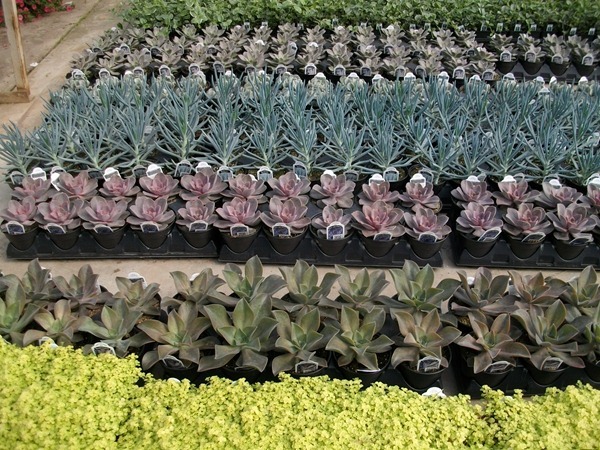 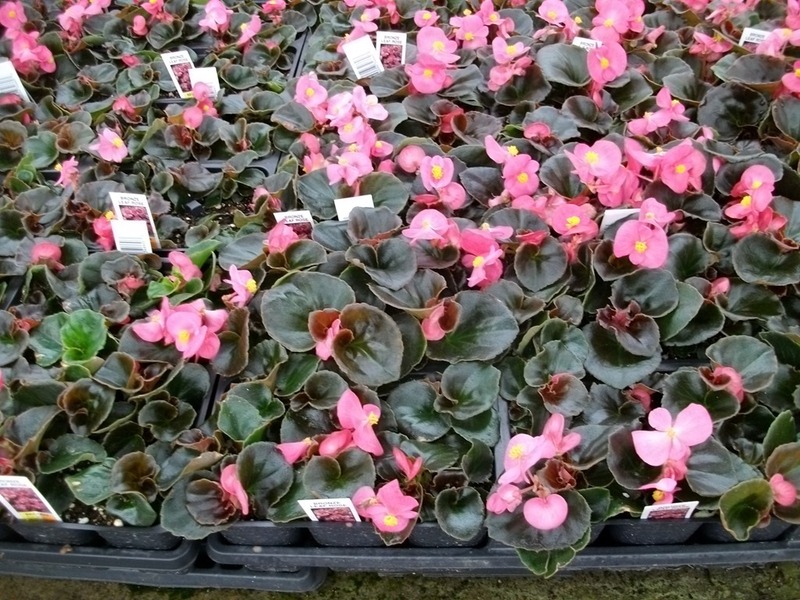 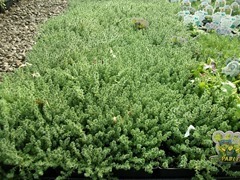 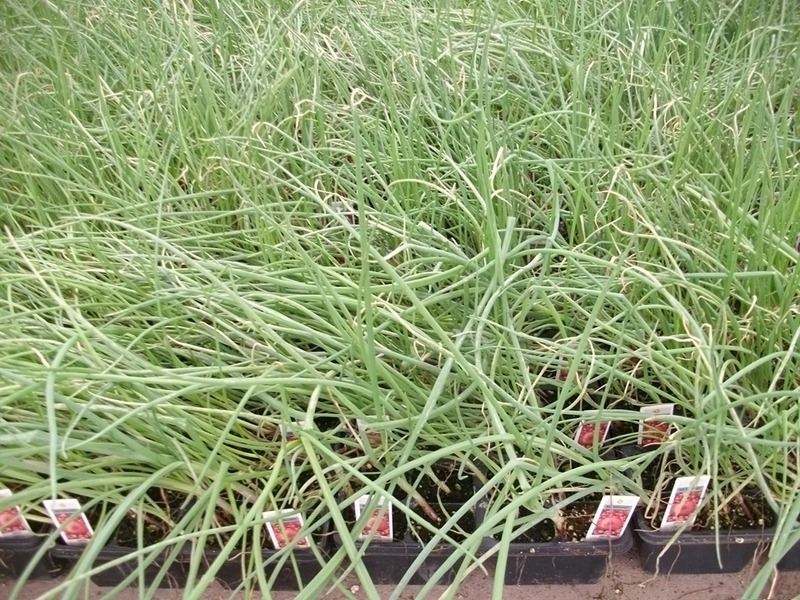 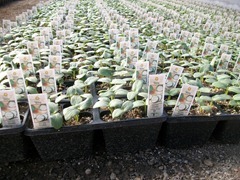 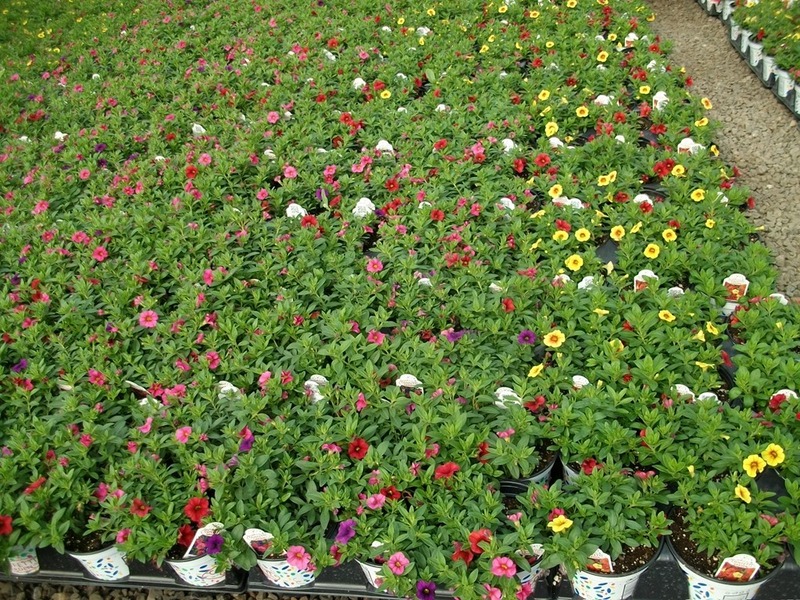 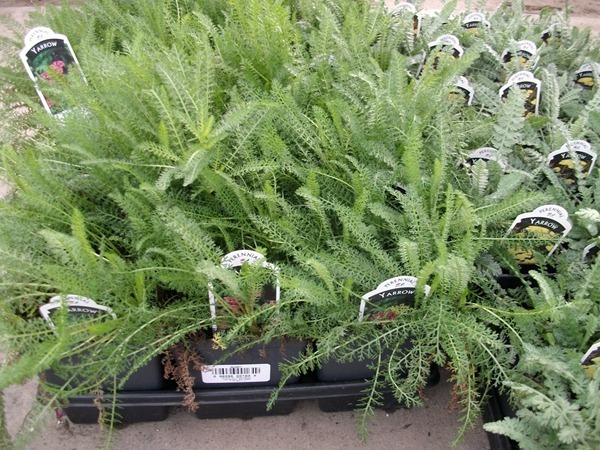 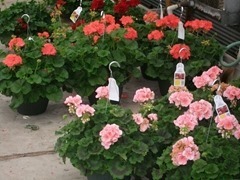 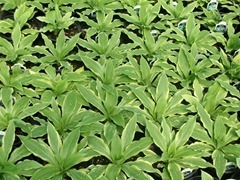 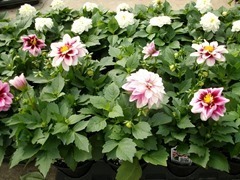 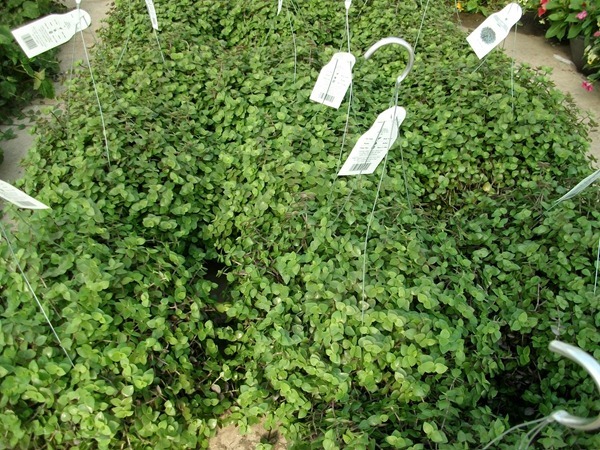 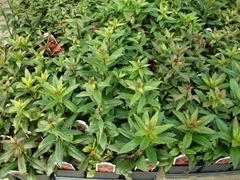 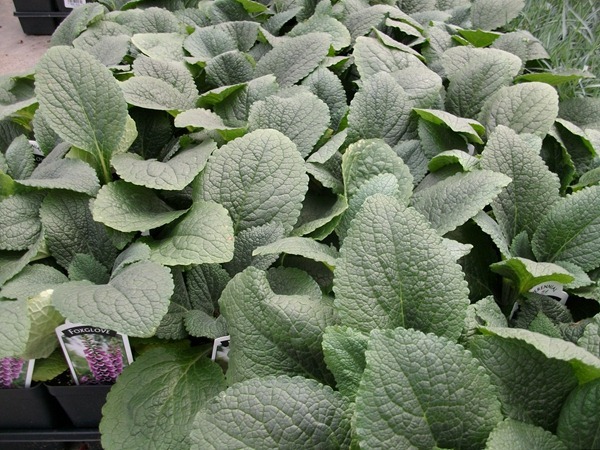 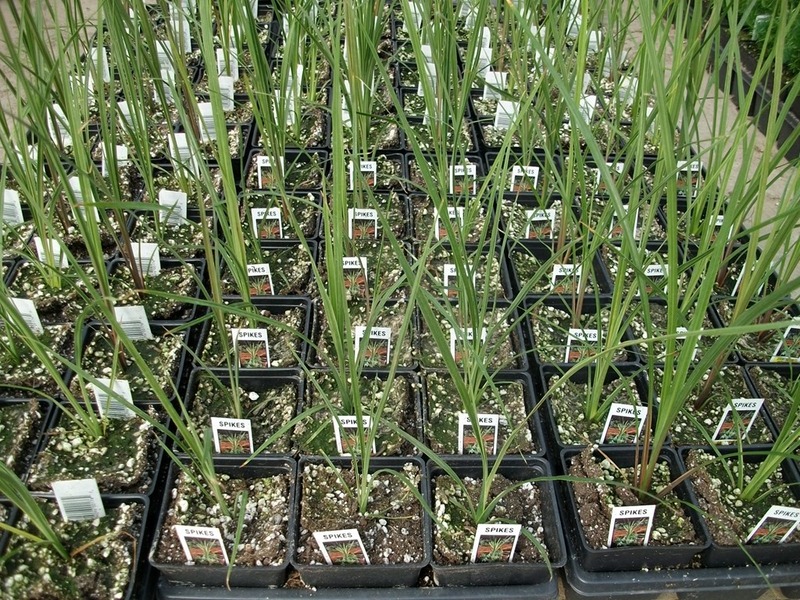 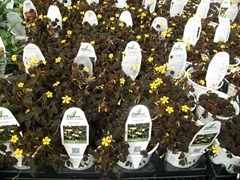 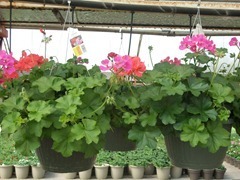 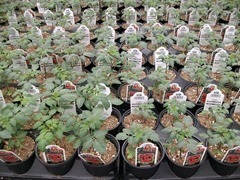 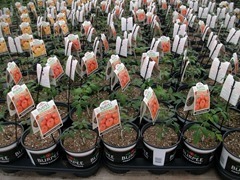 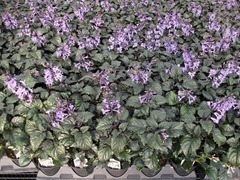 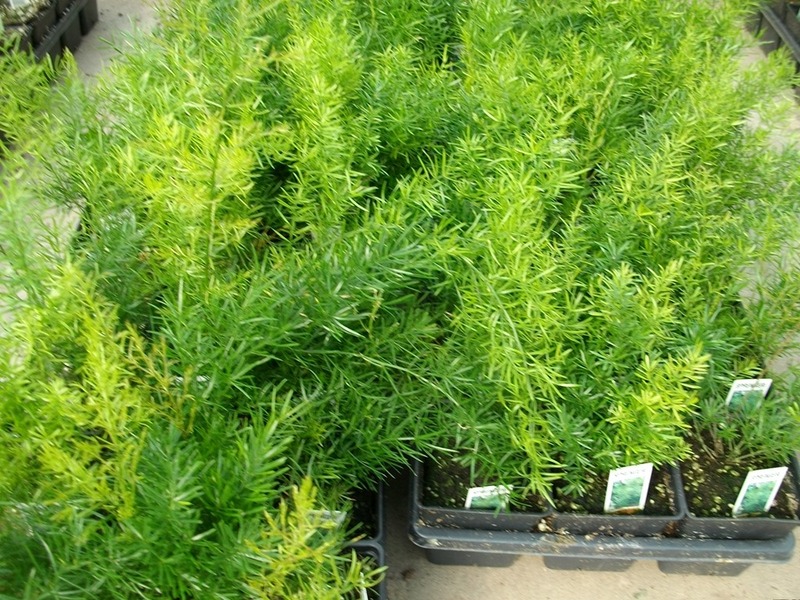 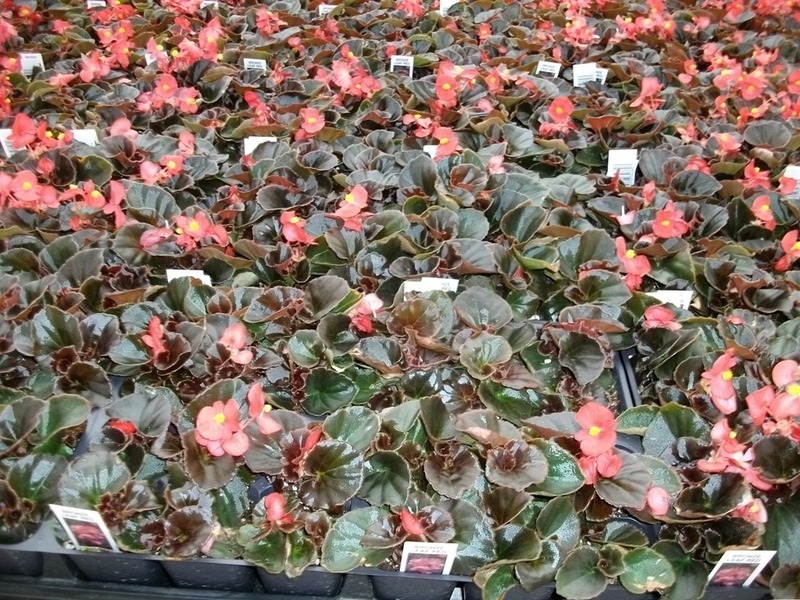 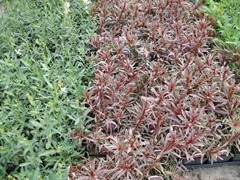 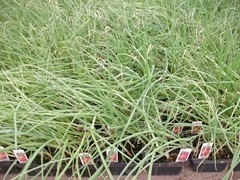 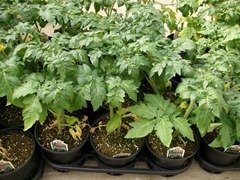 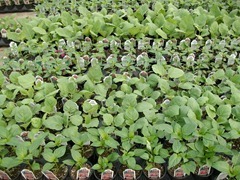 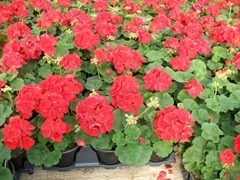 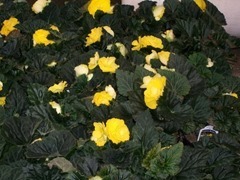 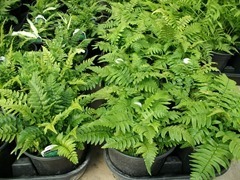 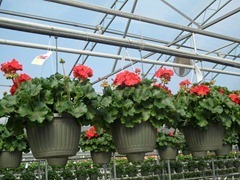 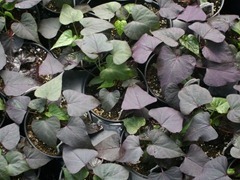 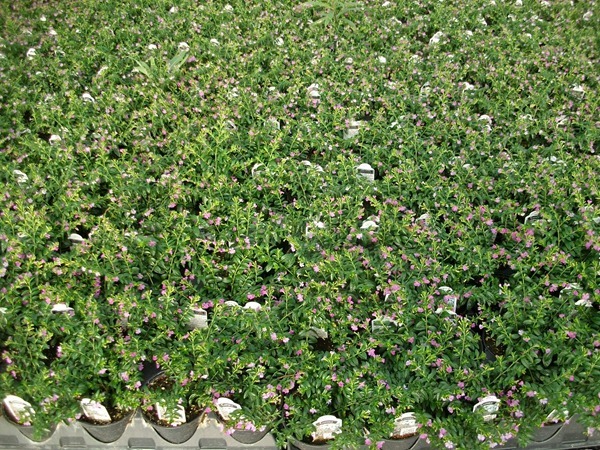 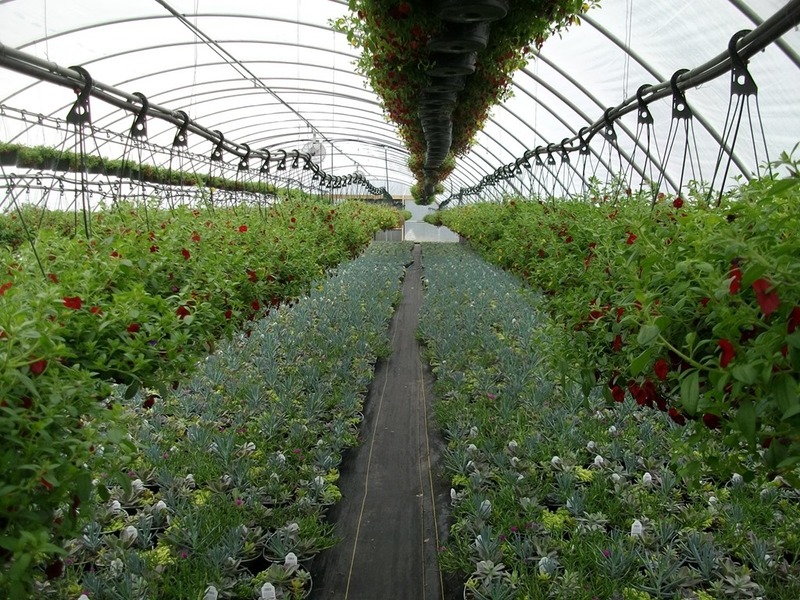 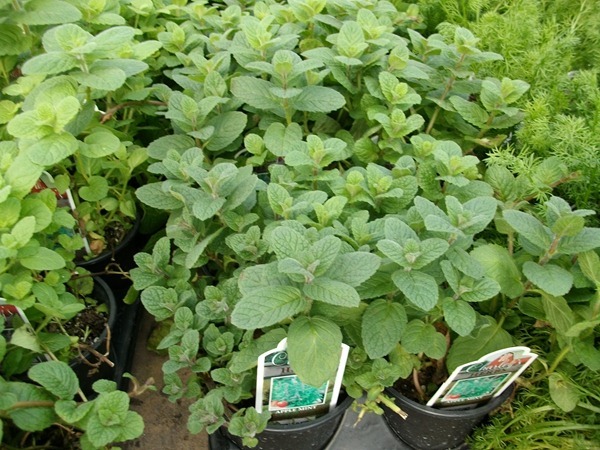 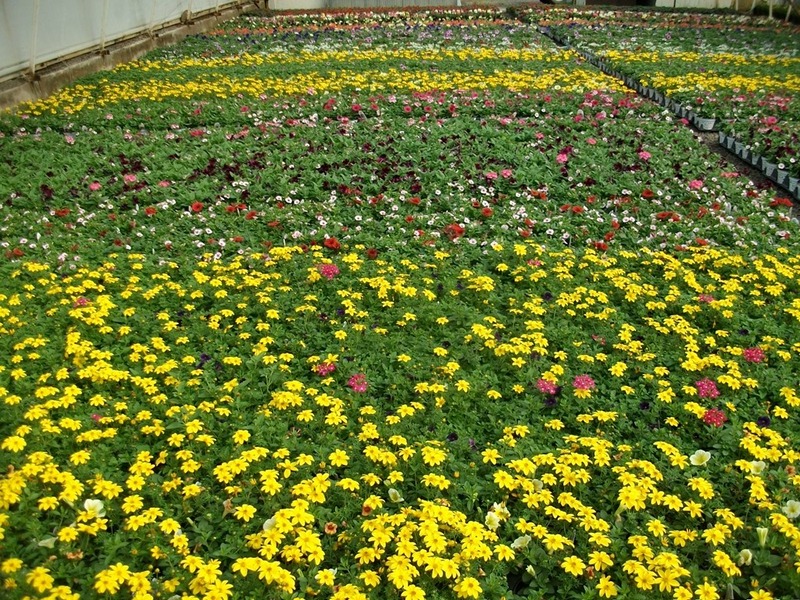 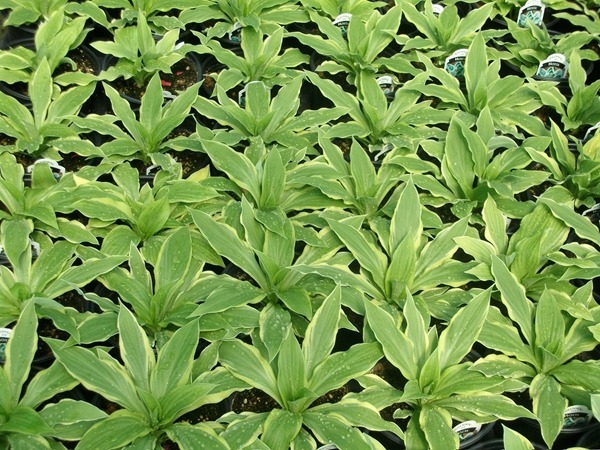 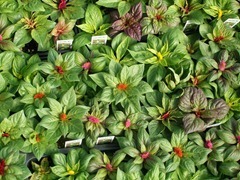 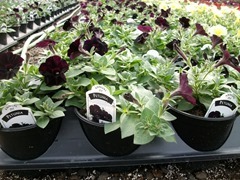 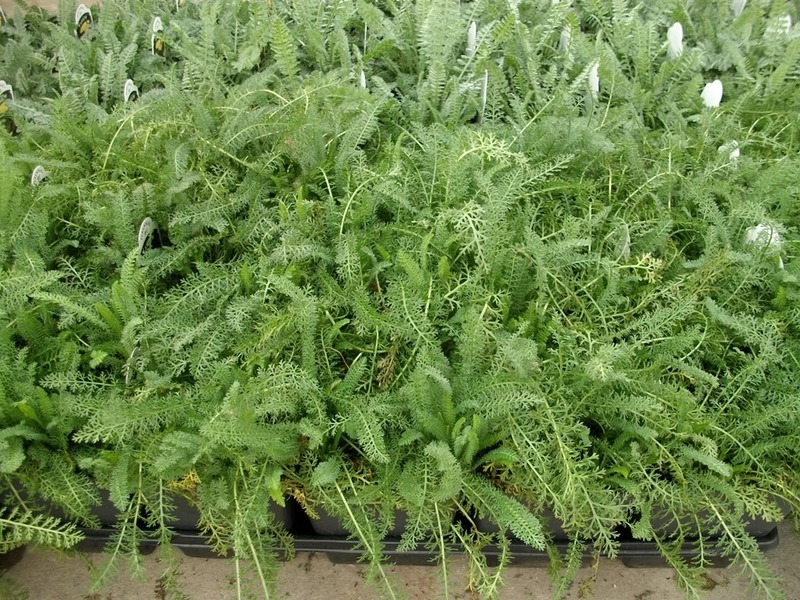 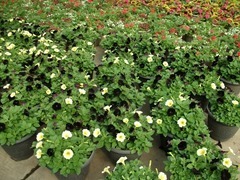 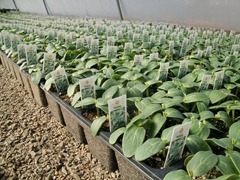 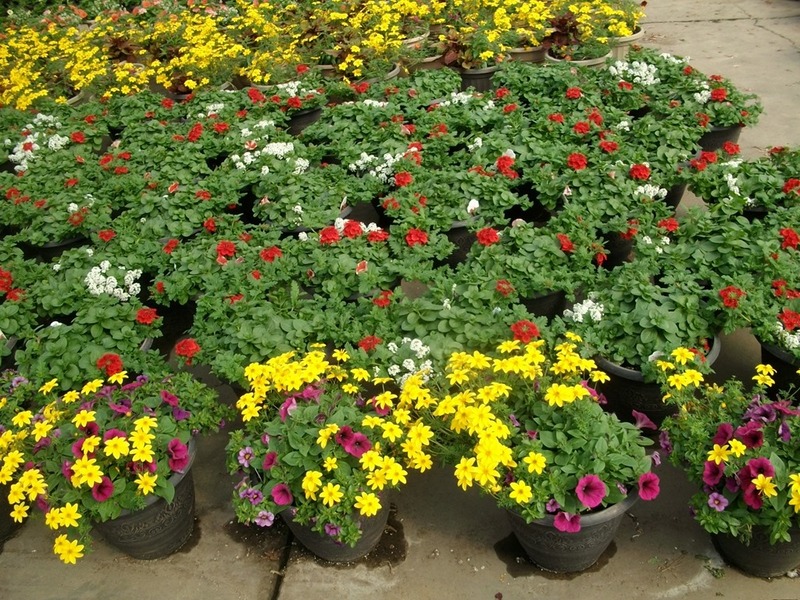 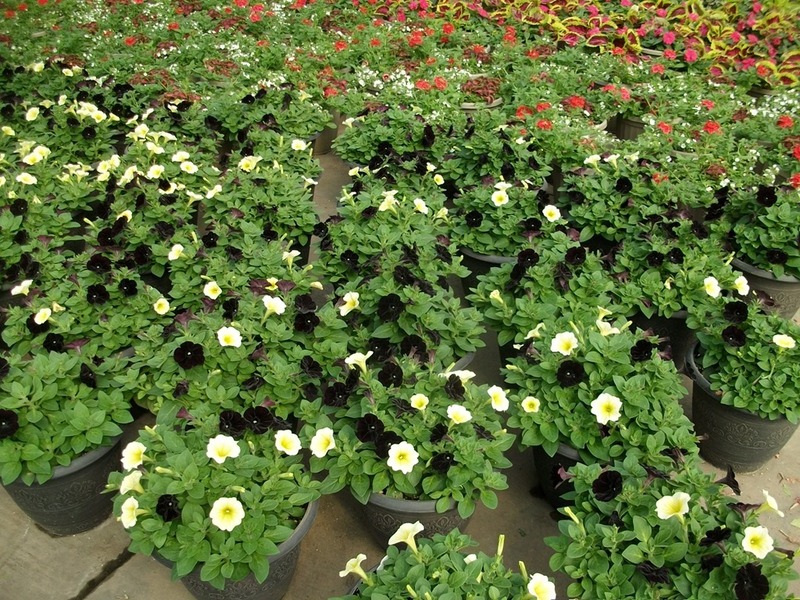 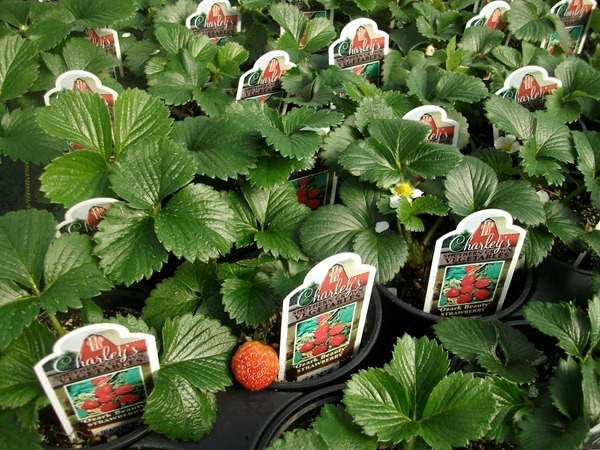 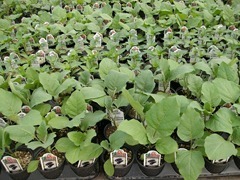 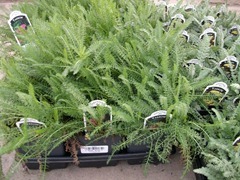 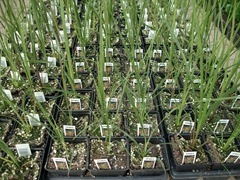 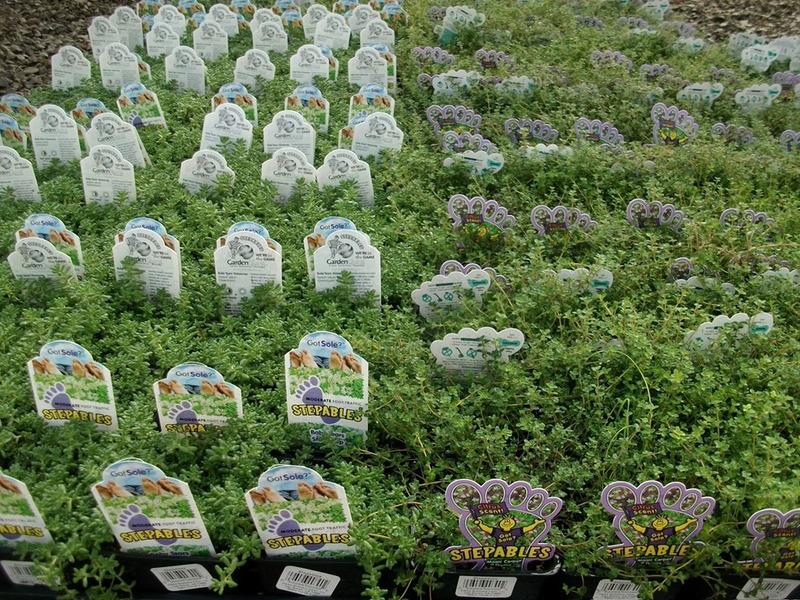 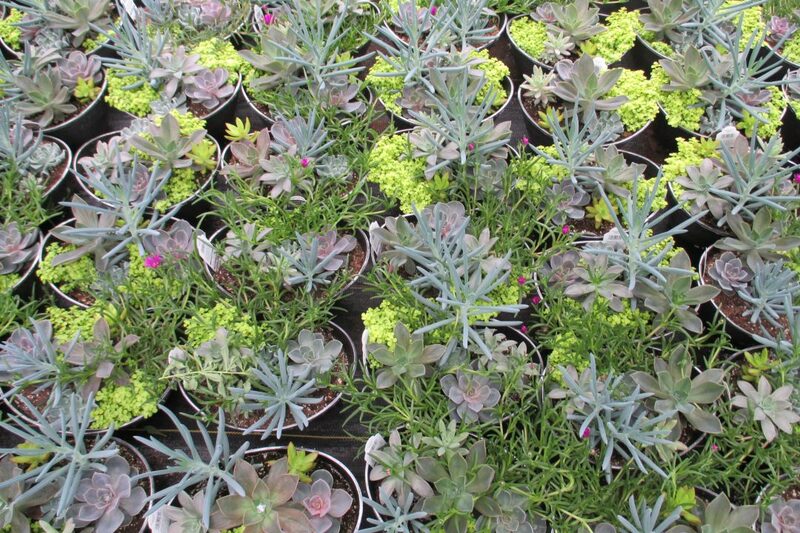 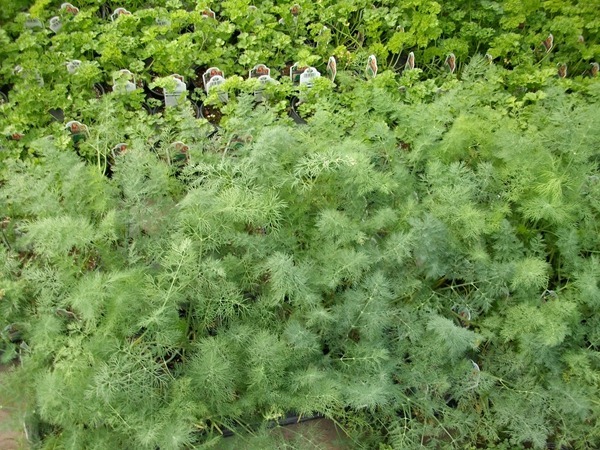 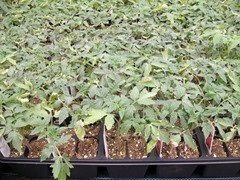 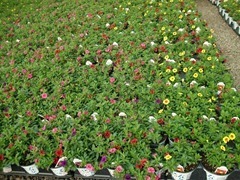 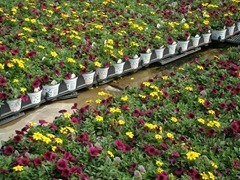 All this means spring is here and it is time to fill your shelves with the beautiful plants form Parks Brothers Farm. Here are some colorful selections to brighten your day. 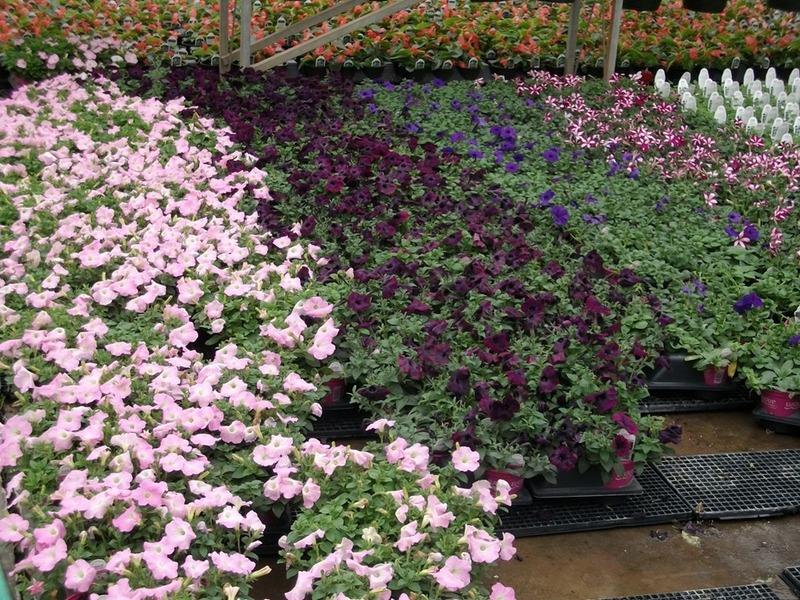 Most of us saw some winter weather this last week. 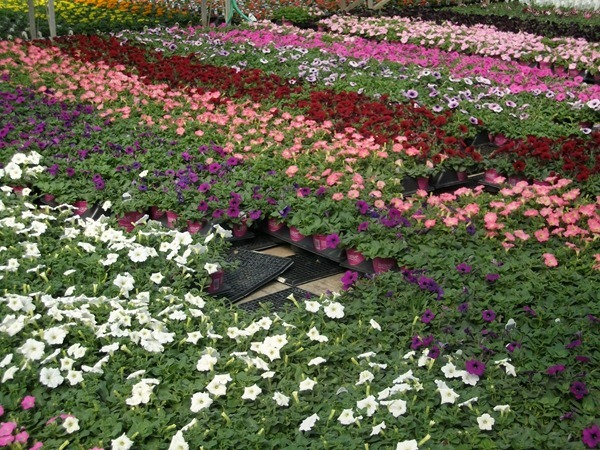 I think Dallas made some records for March snow totals. 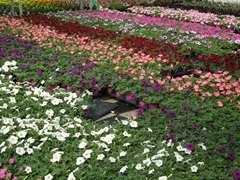 Some areas of DFW had 6-7” of snow. 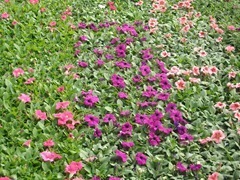 We got a few inches here. 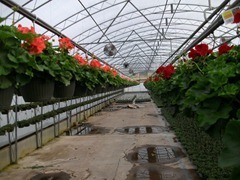 Further east and south got more icy precipitation. 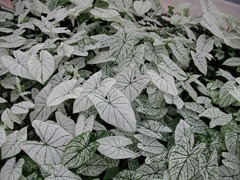 I was watching the radar yesterday and is was snowing and sleeting in Opelousas, Louisiana which is about 50-60 miles from the coast. 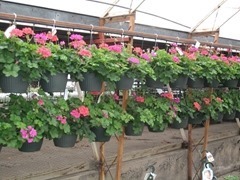 On the bright side, I think EVERYONE is ready for winter to be over with and for the snows to melt and ready to get out and work in their flower beds and gardens. 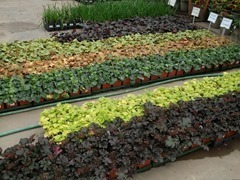 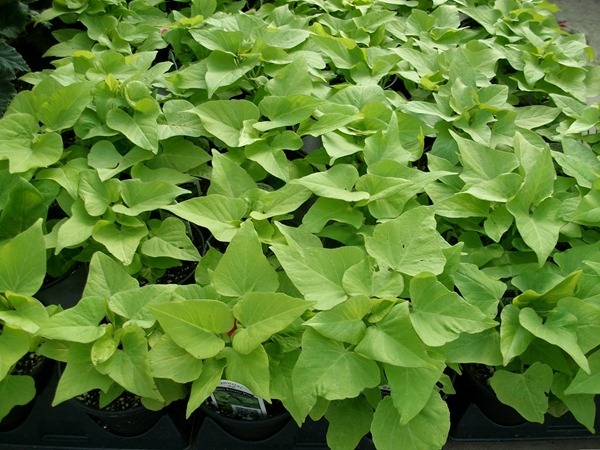 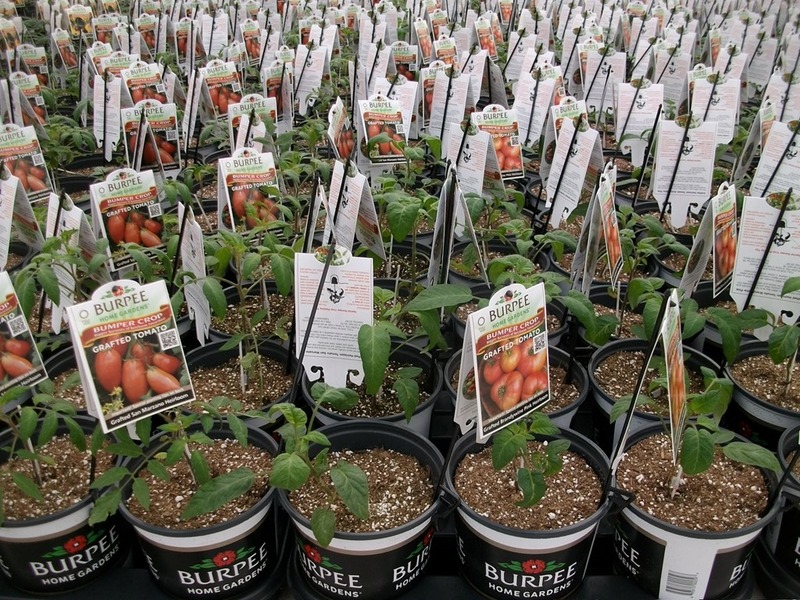 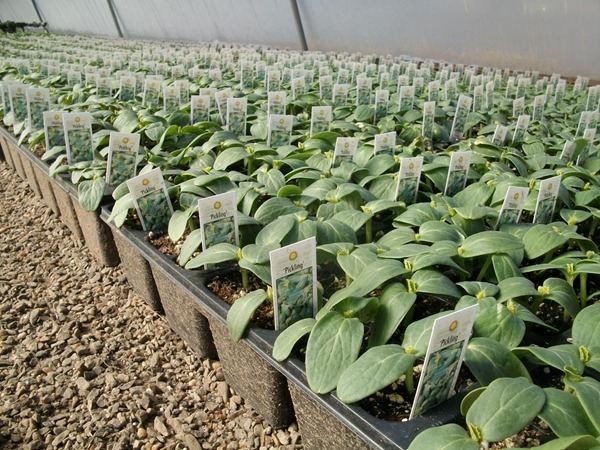 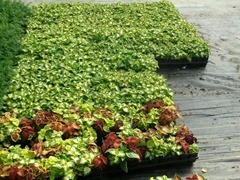 A lot of our friends on our Facebook page have made is very clear that they want to get started planting now. 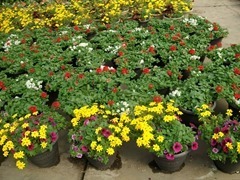 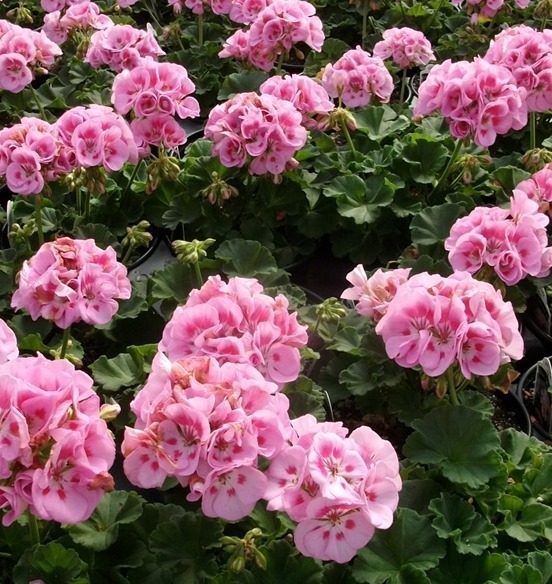 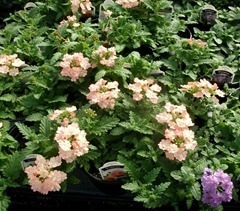 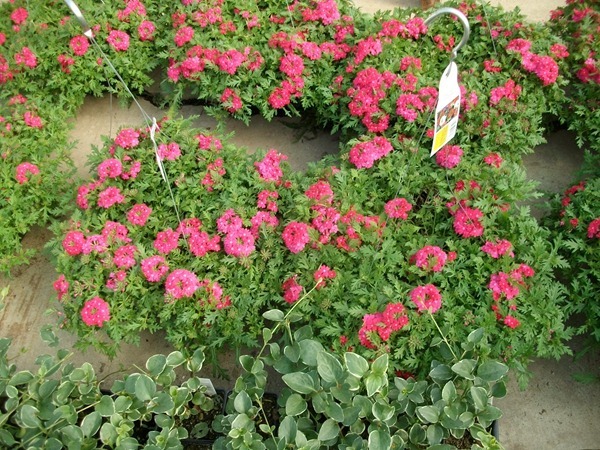 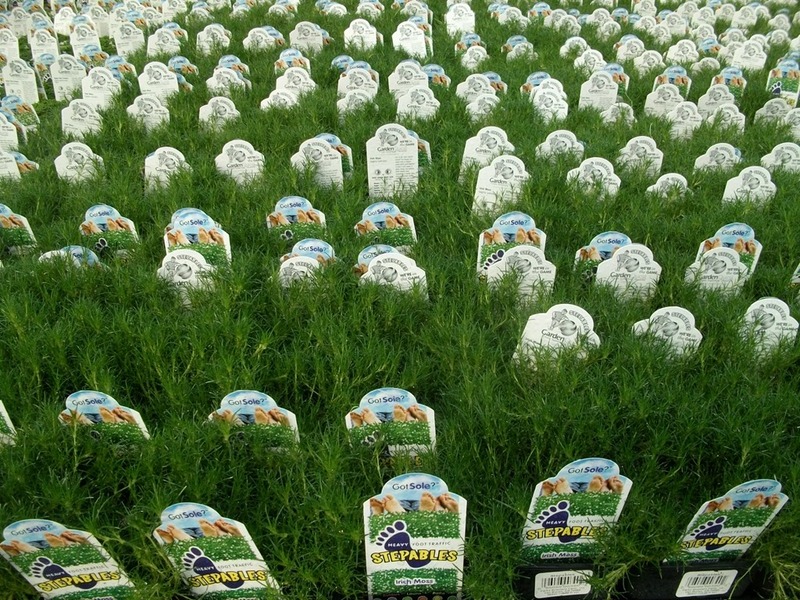 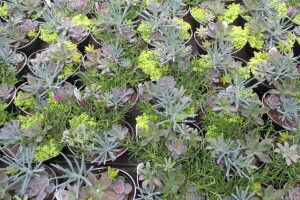 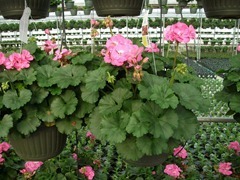 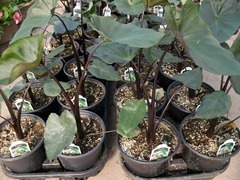 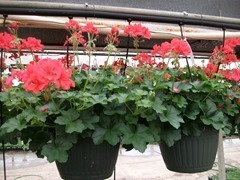 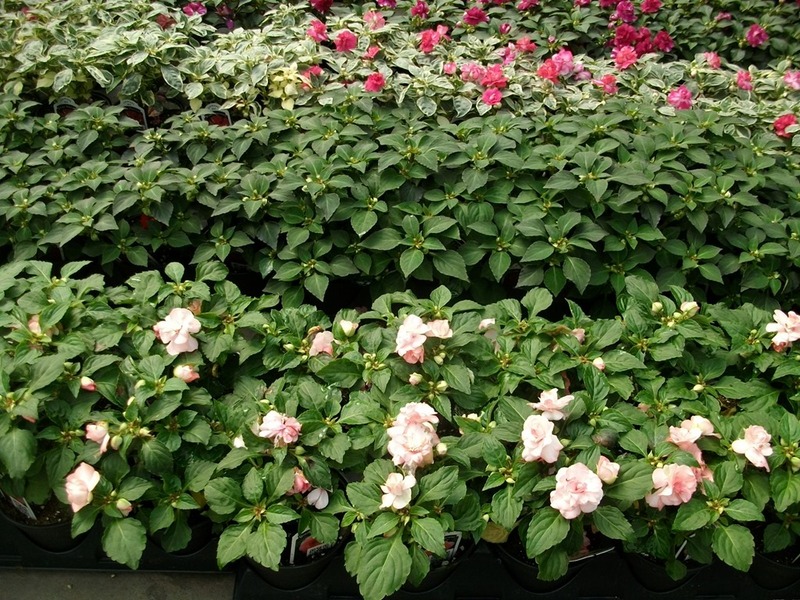 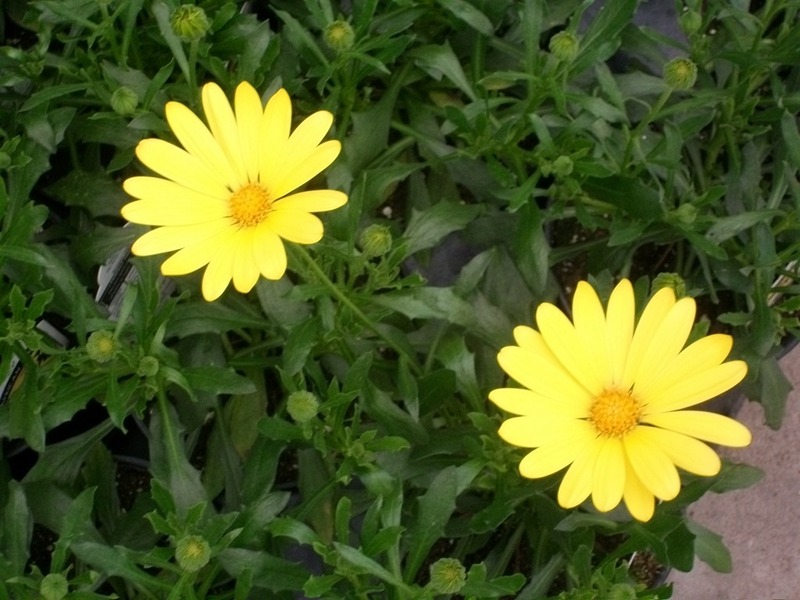 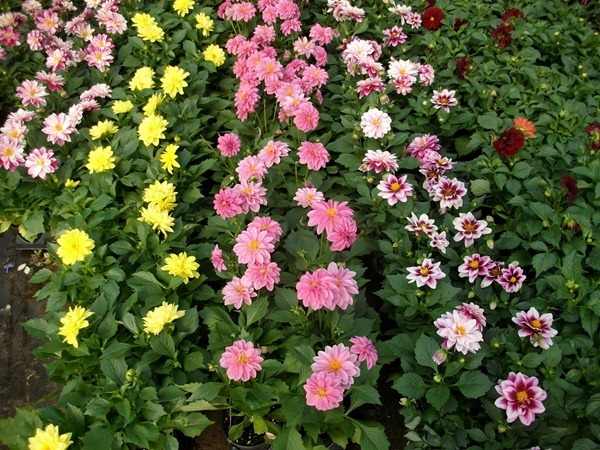 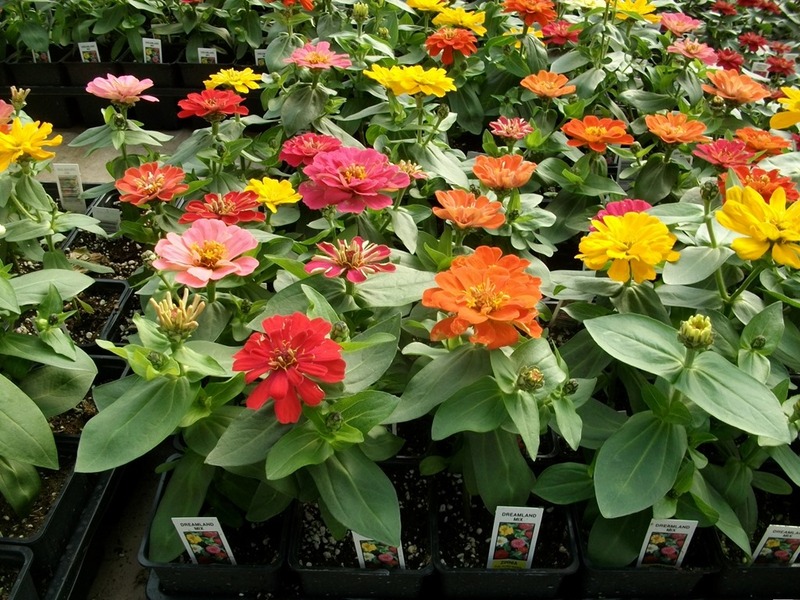 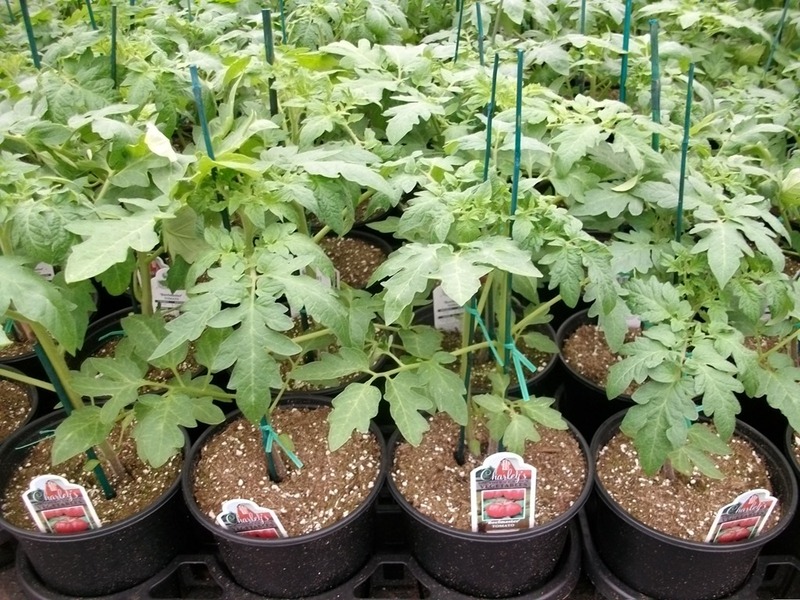 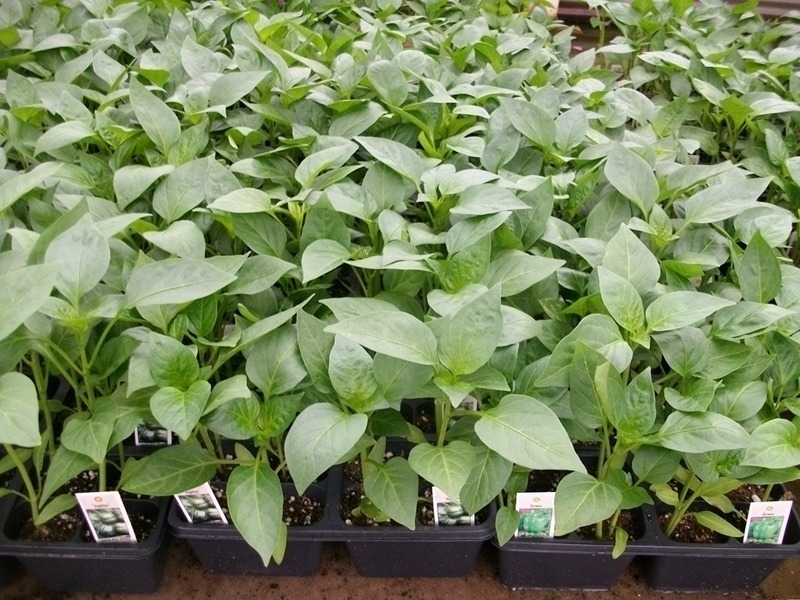 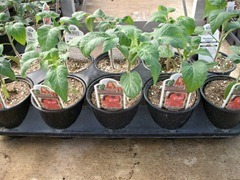 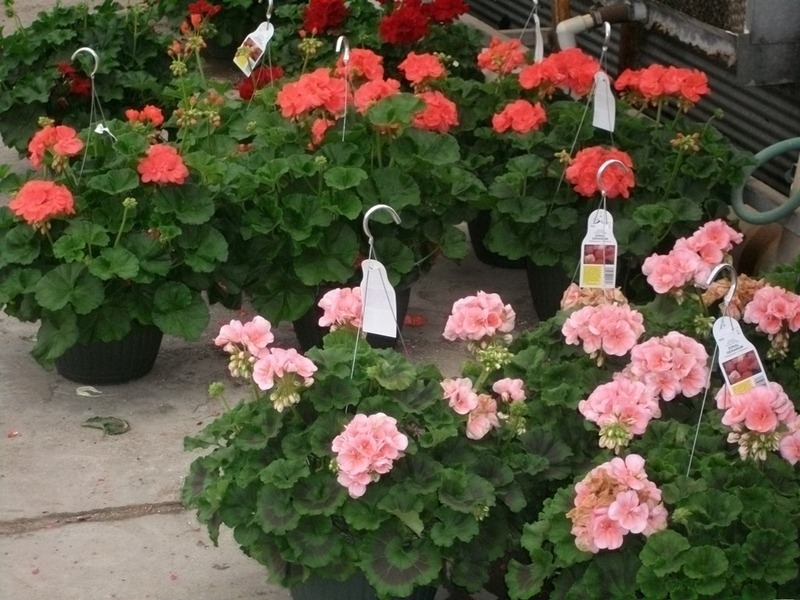 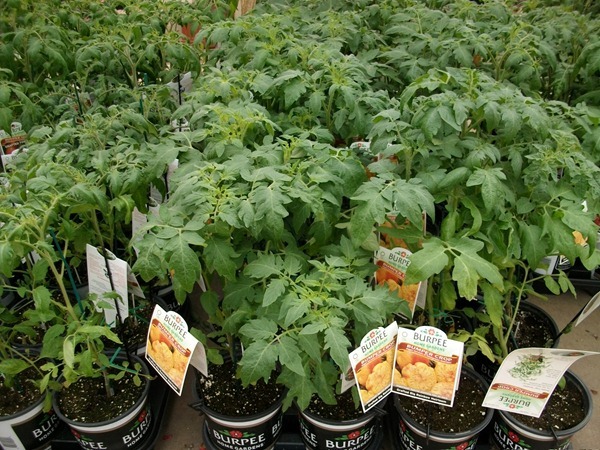 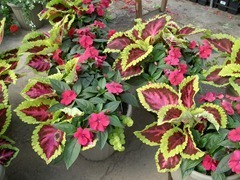 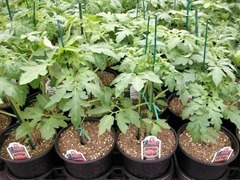 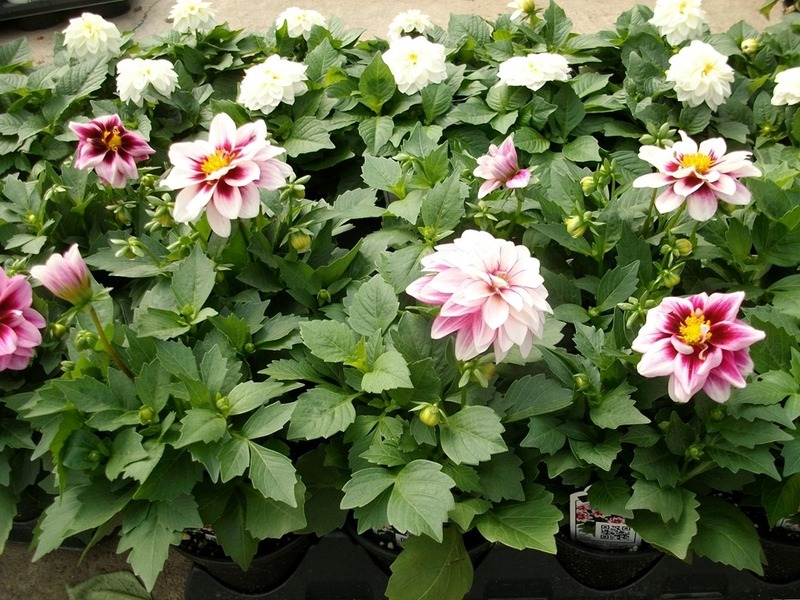 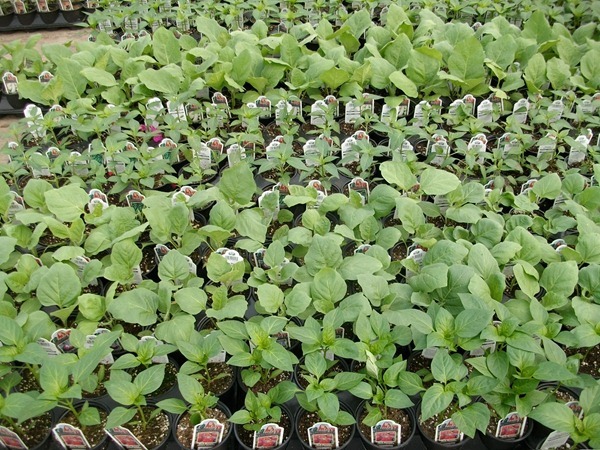 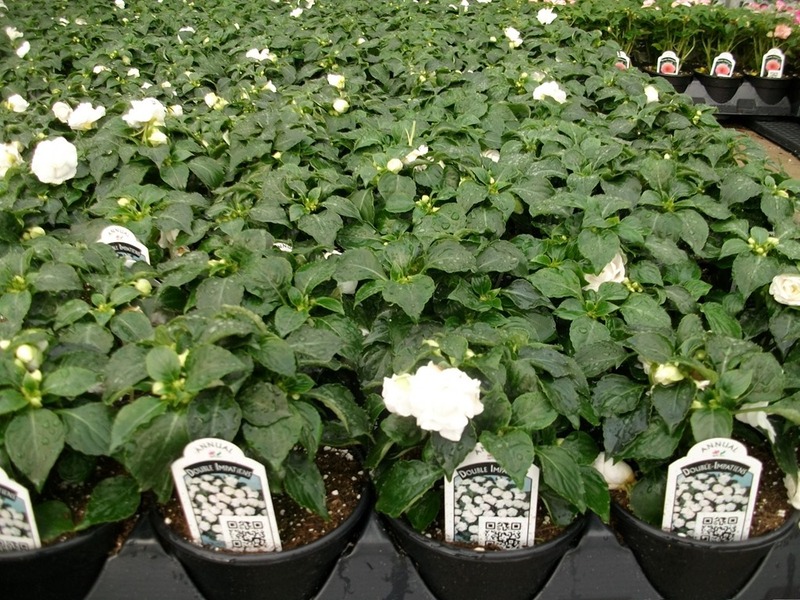 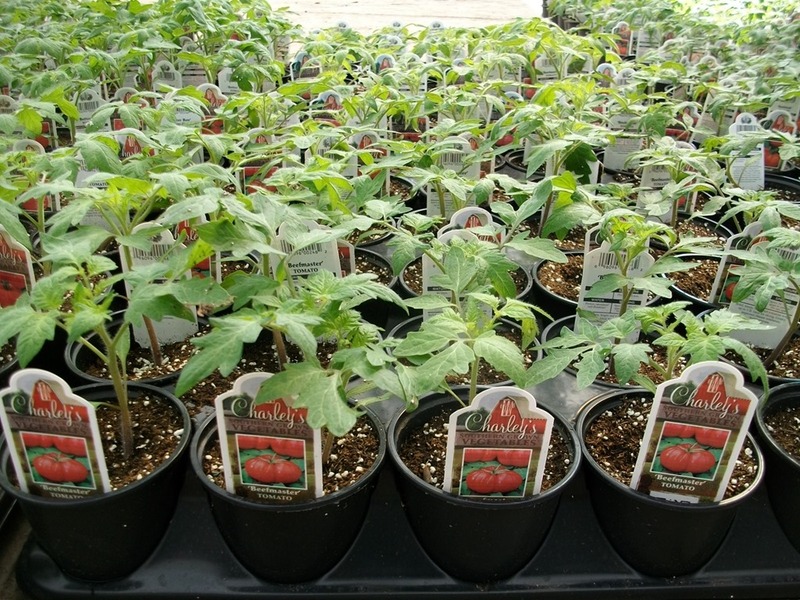 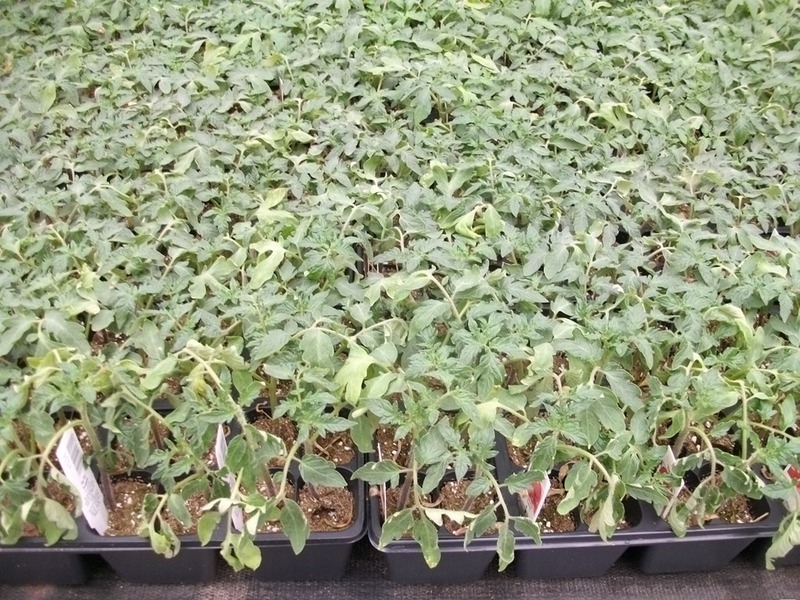 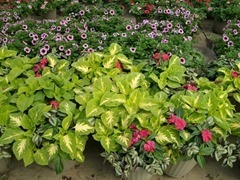 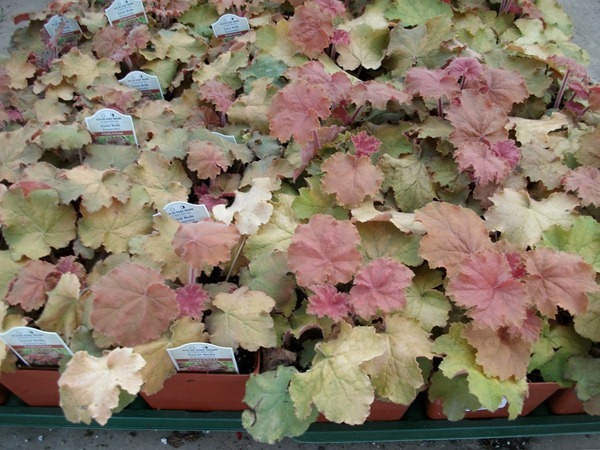 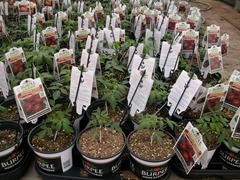 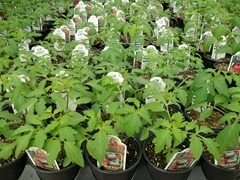 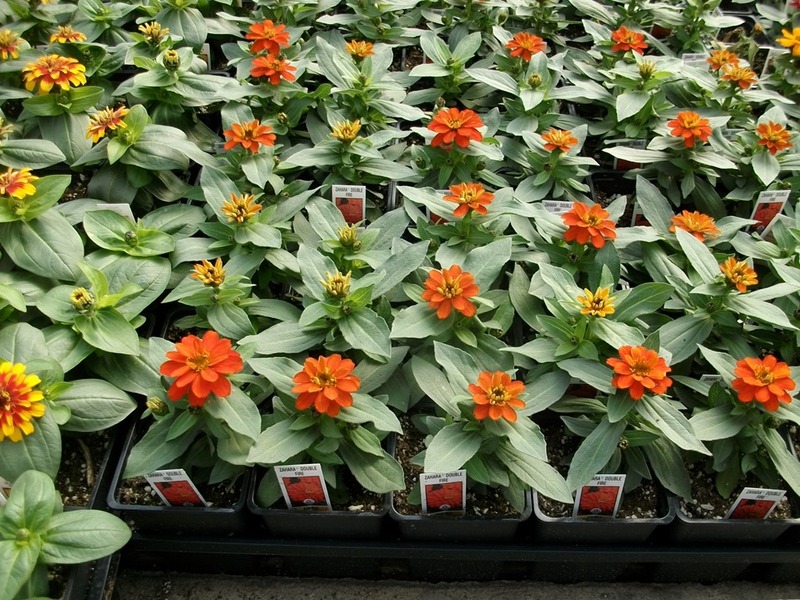 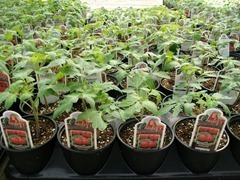 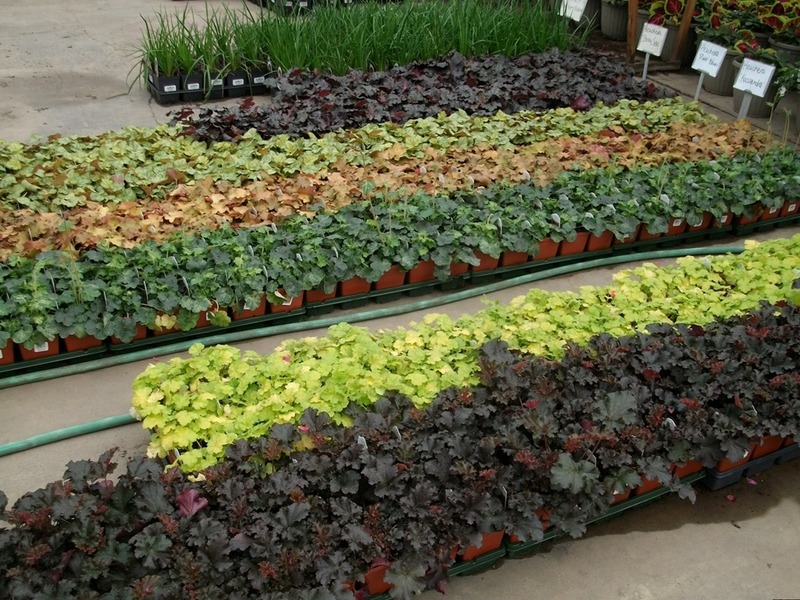 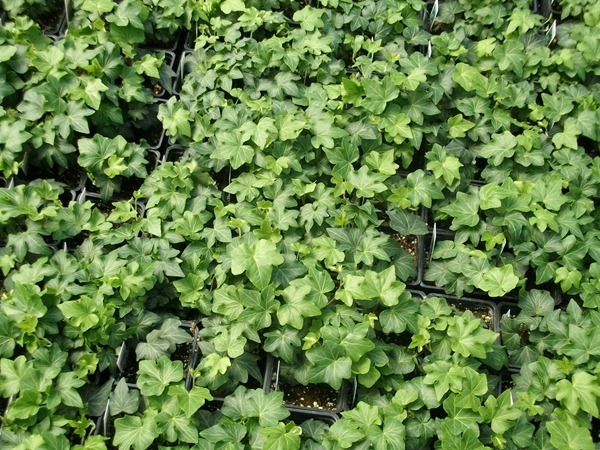 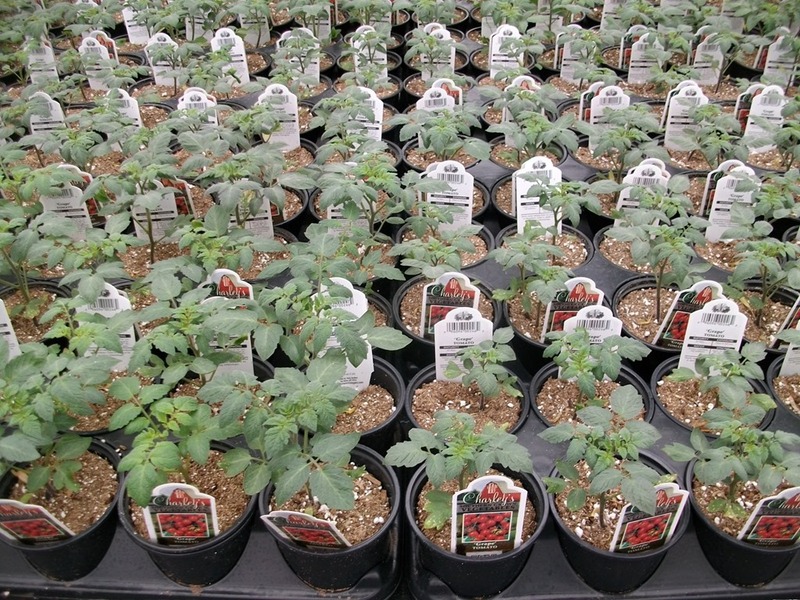 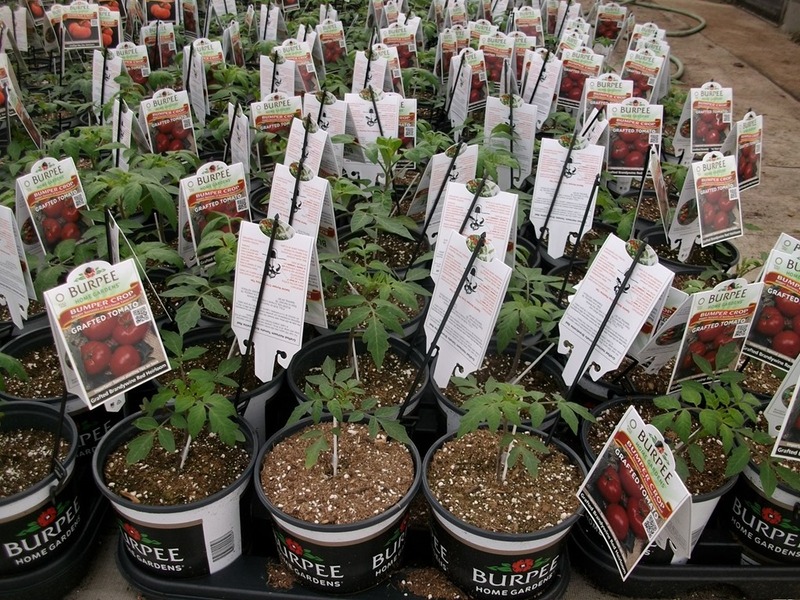 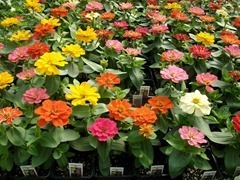 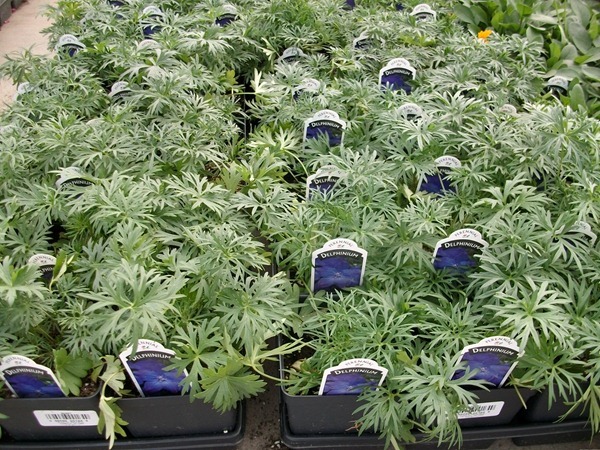 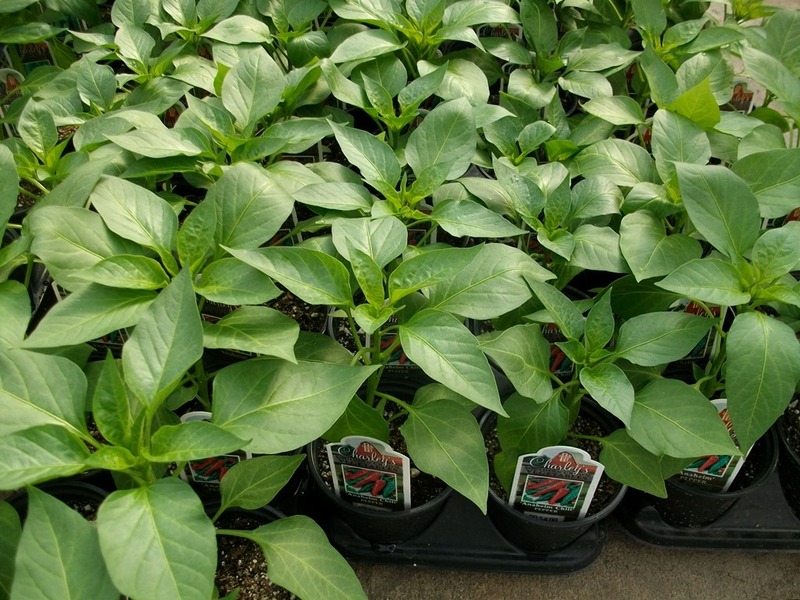 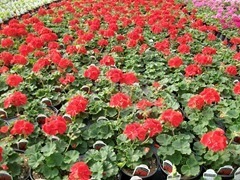 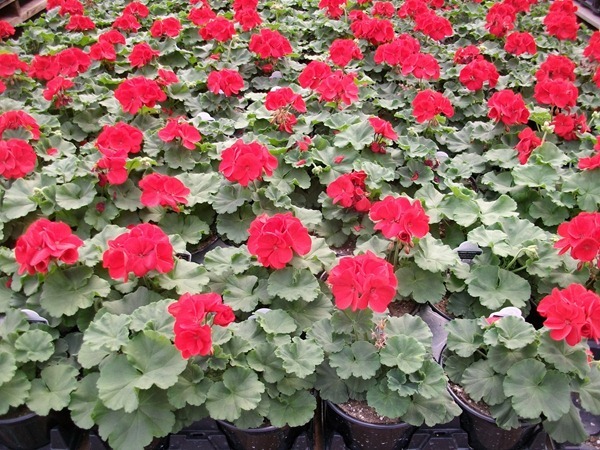 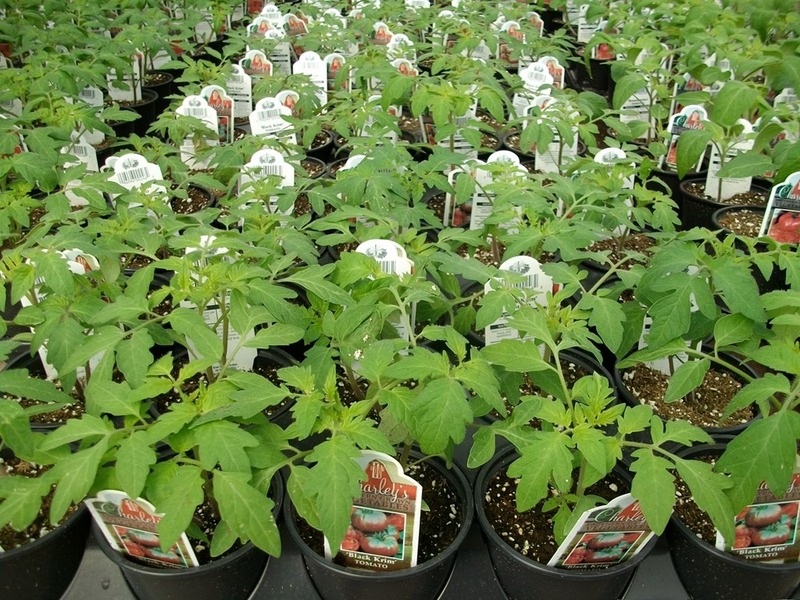 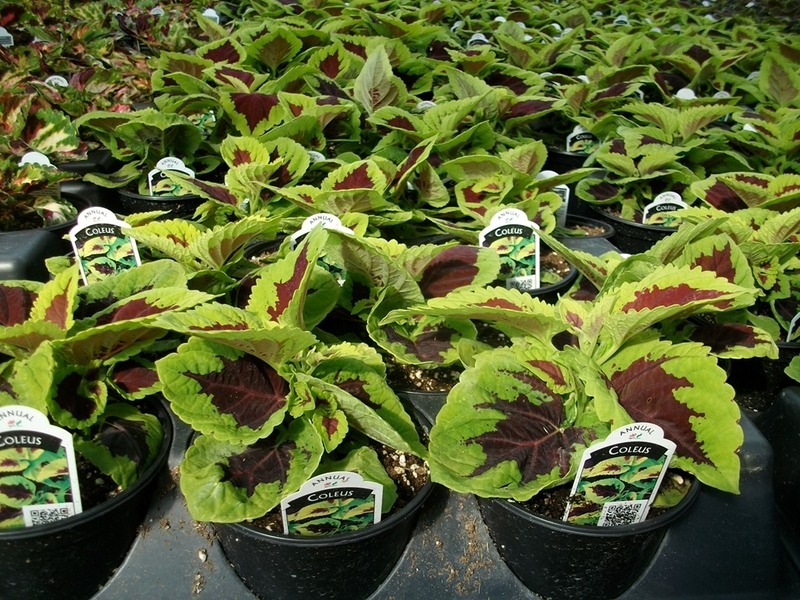 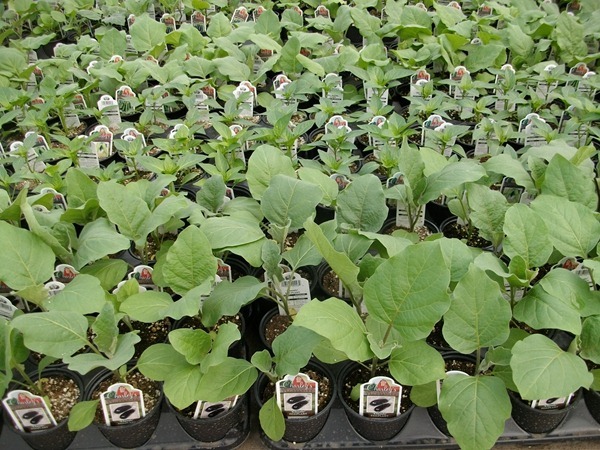 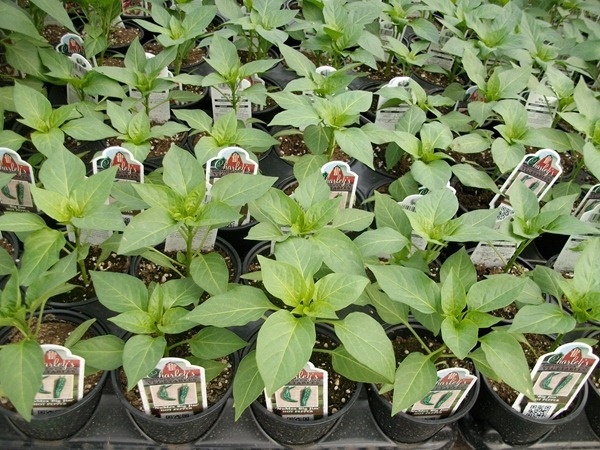 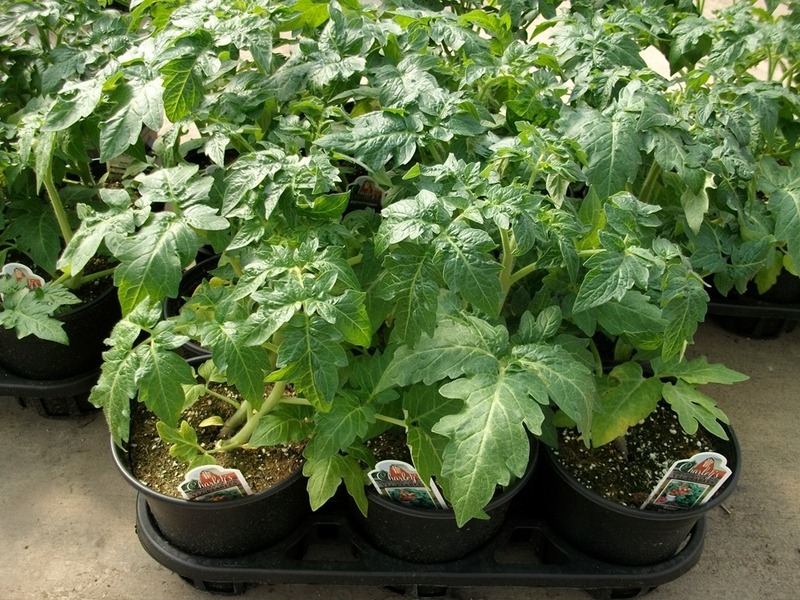 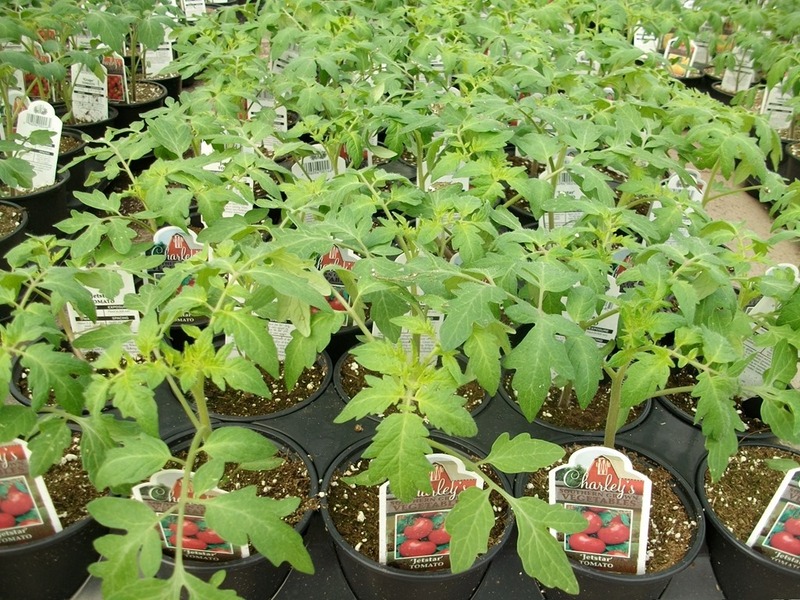 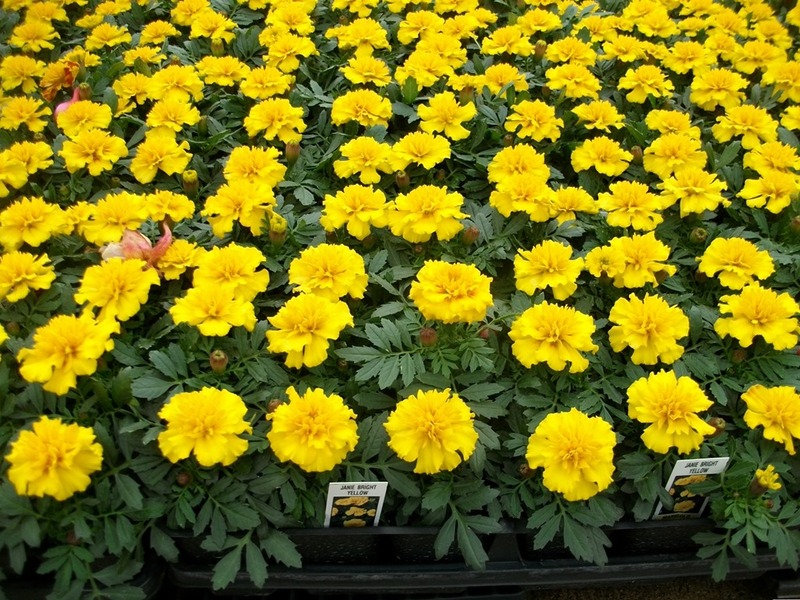 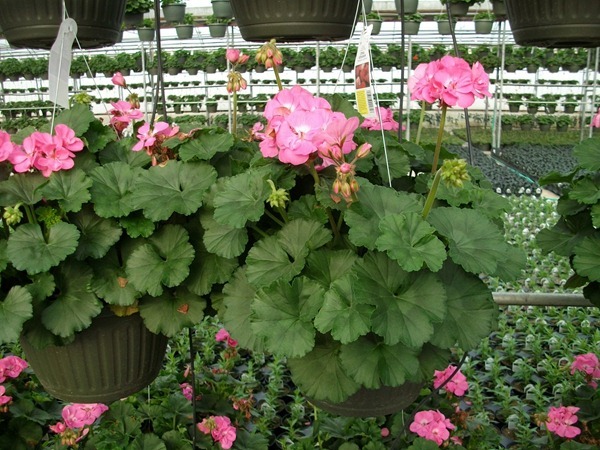 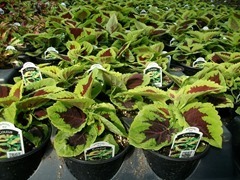 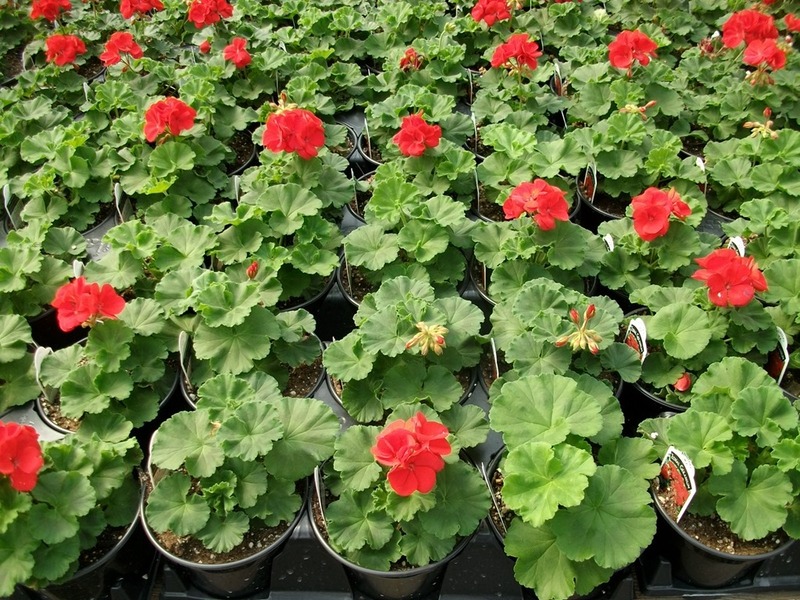 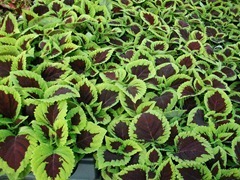 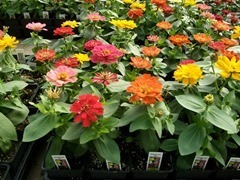 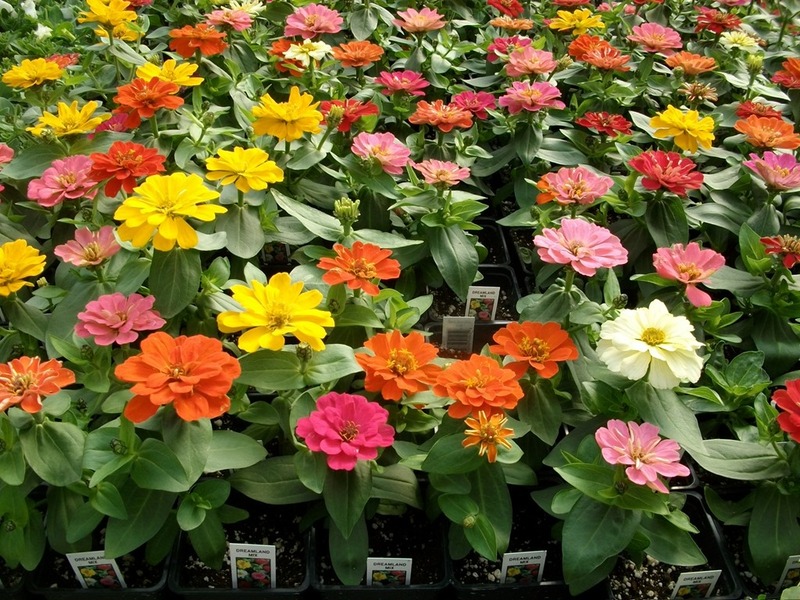 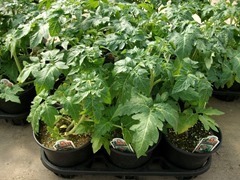 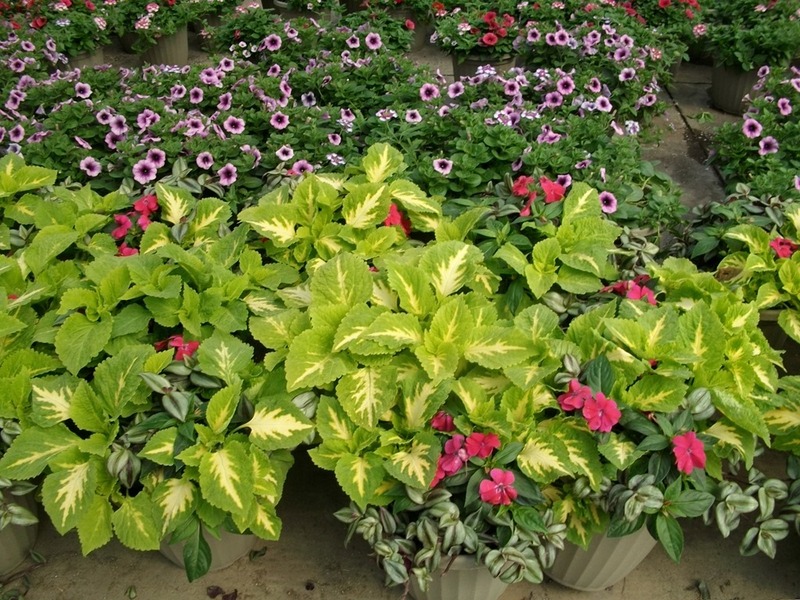 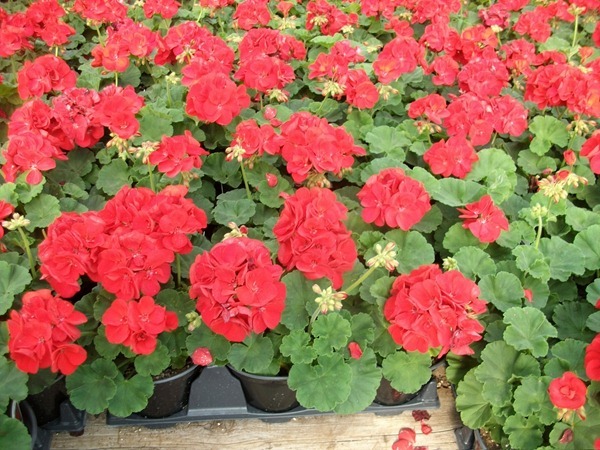 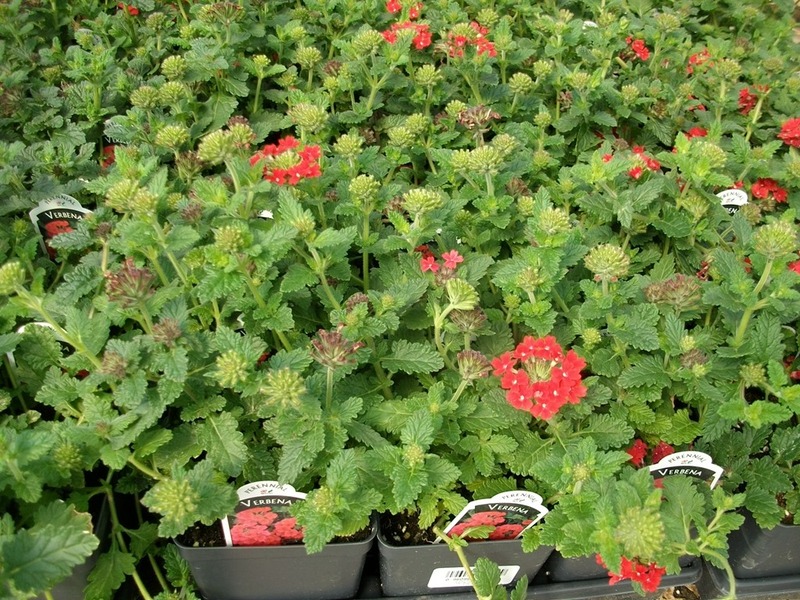 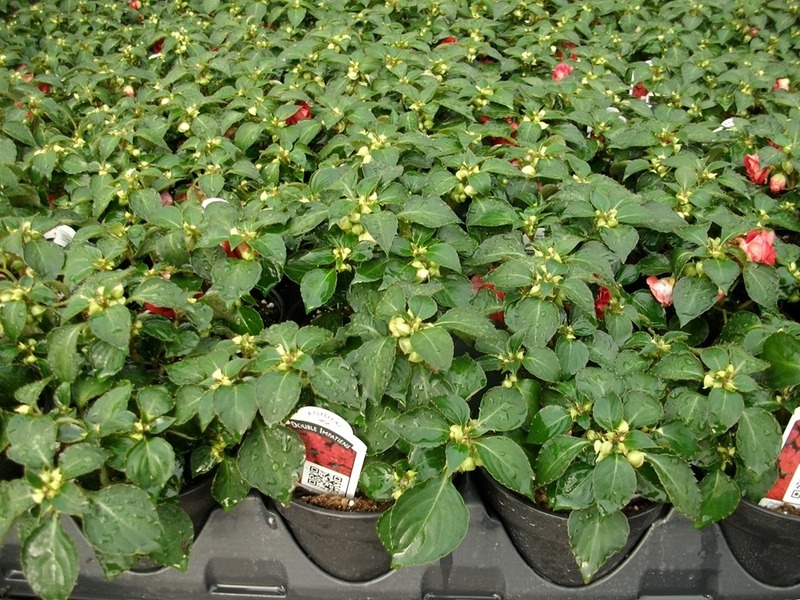 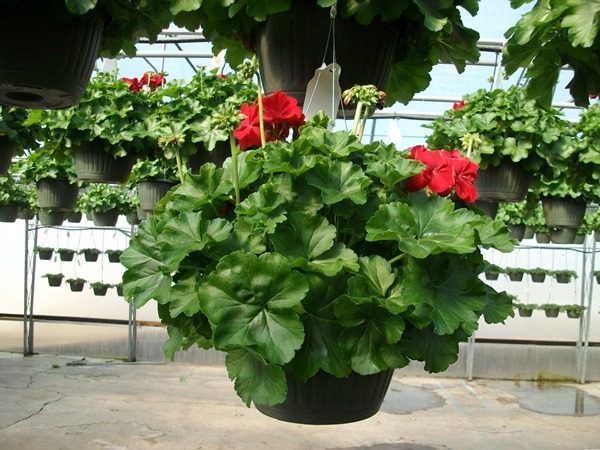 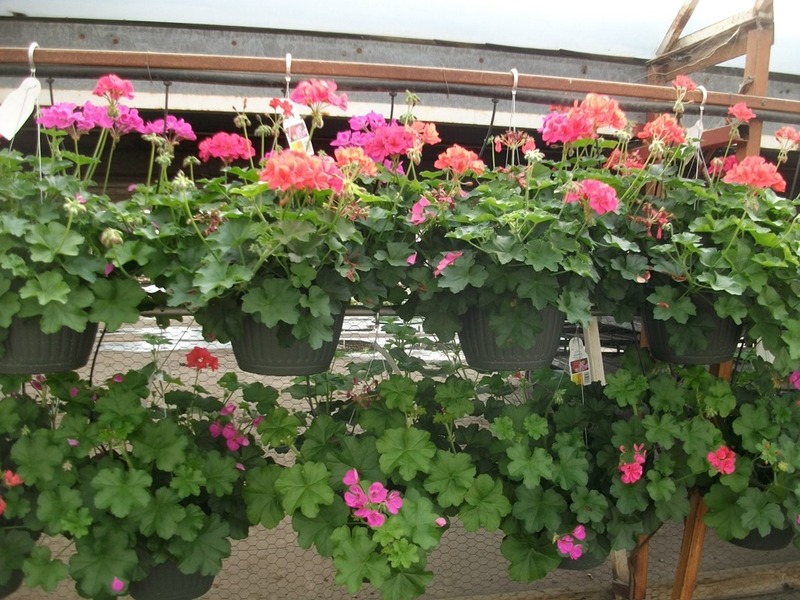 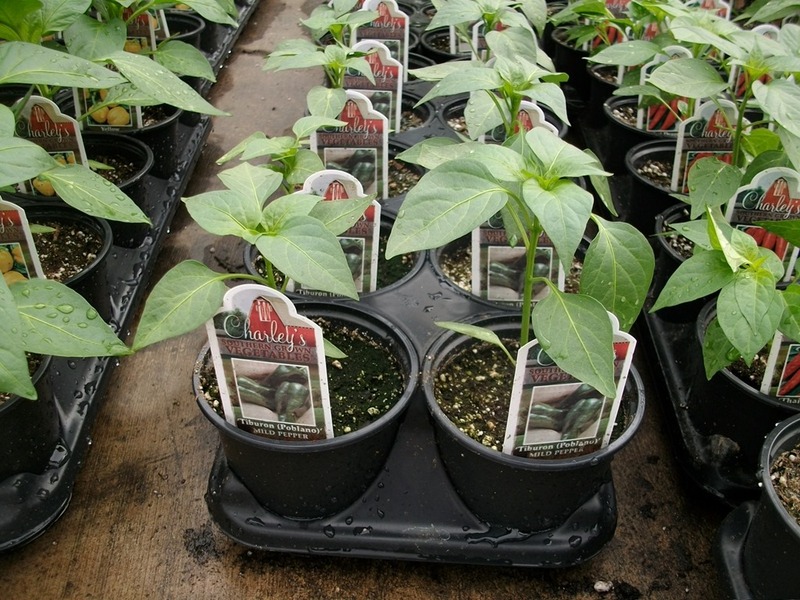 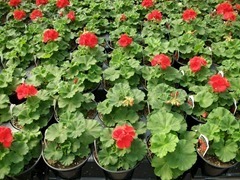 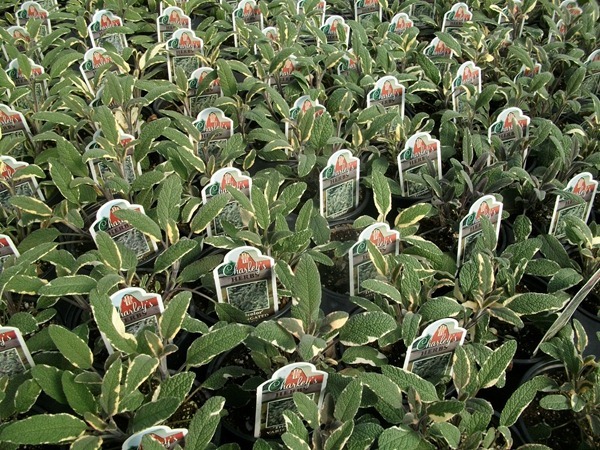 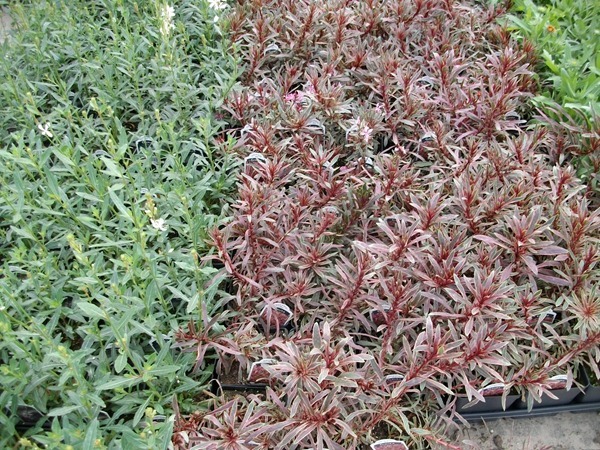 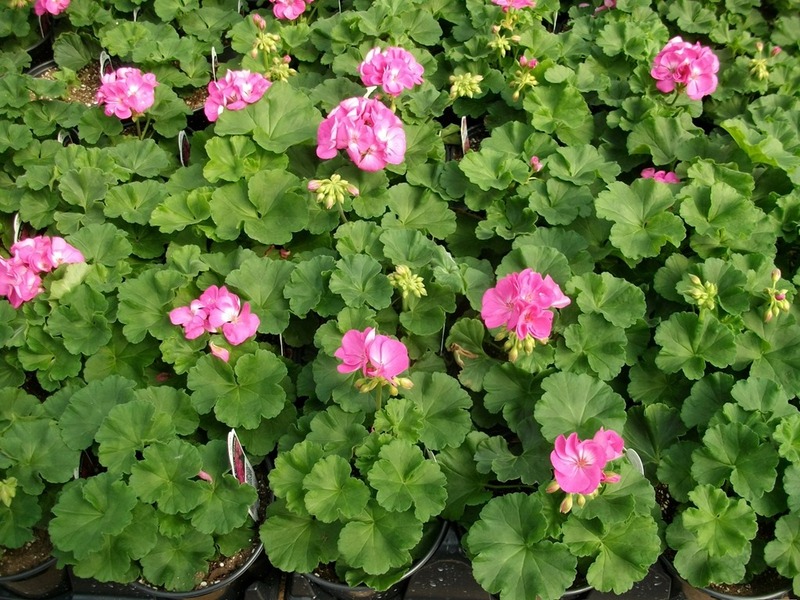 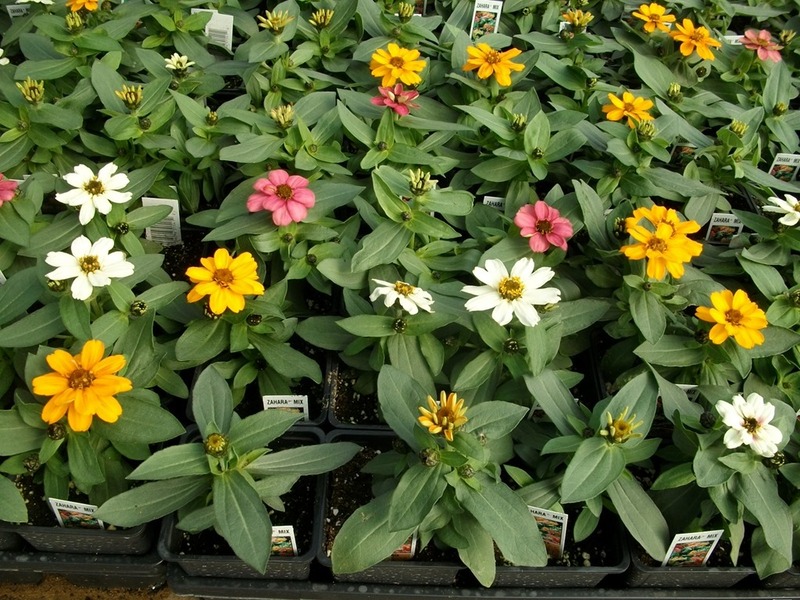 Our Facebook page is for our local garden center customers who come all the way out here to buy their plants. 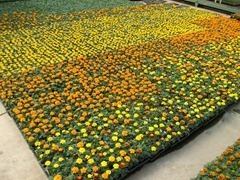 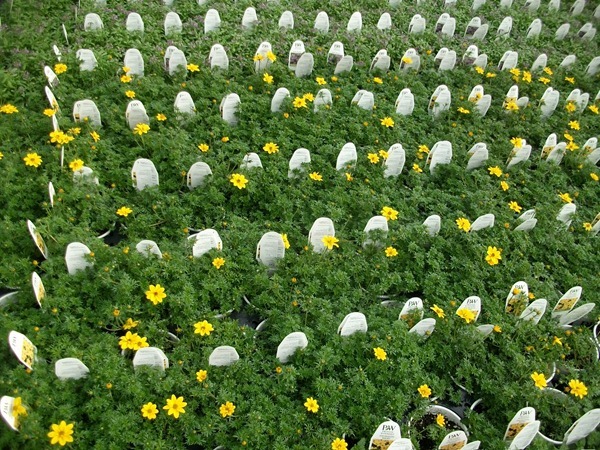 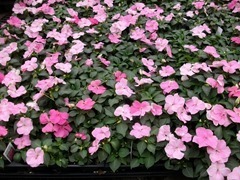 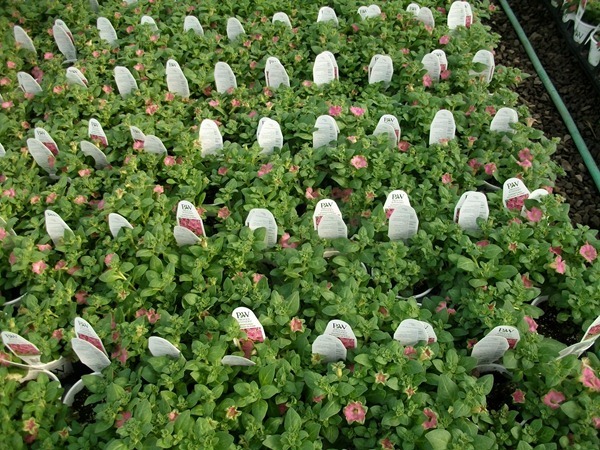 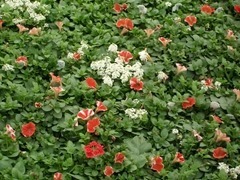 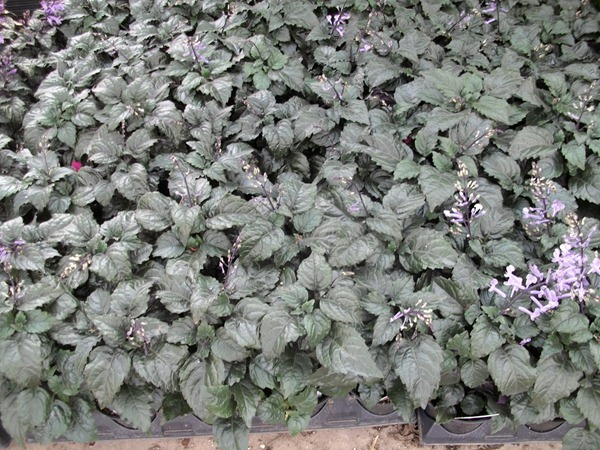 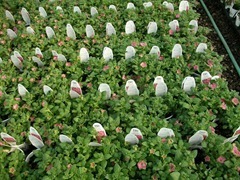 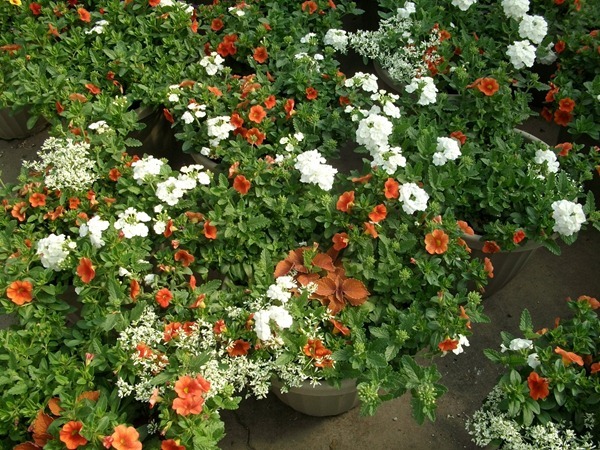 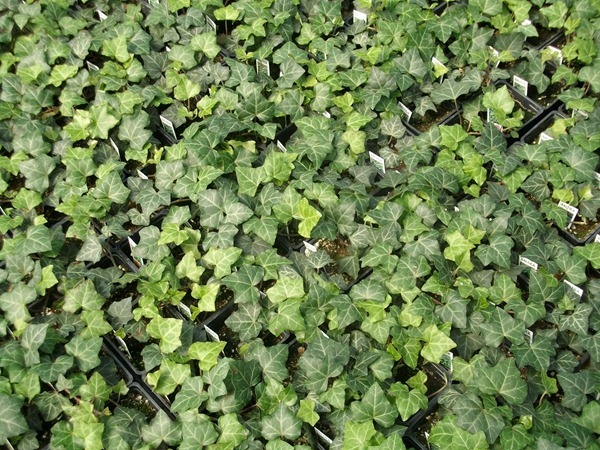 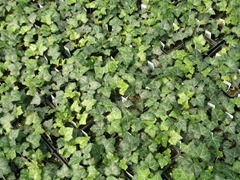 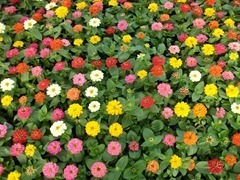 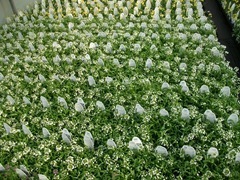 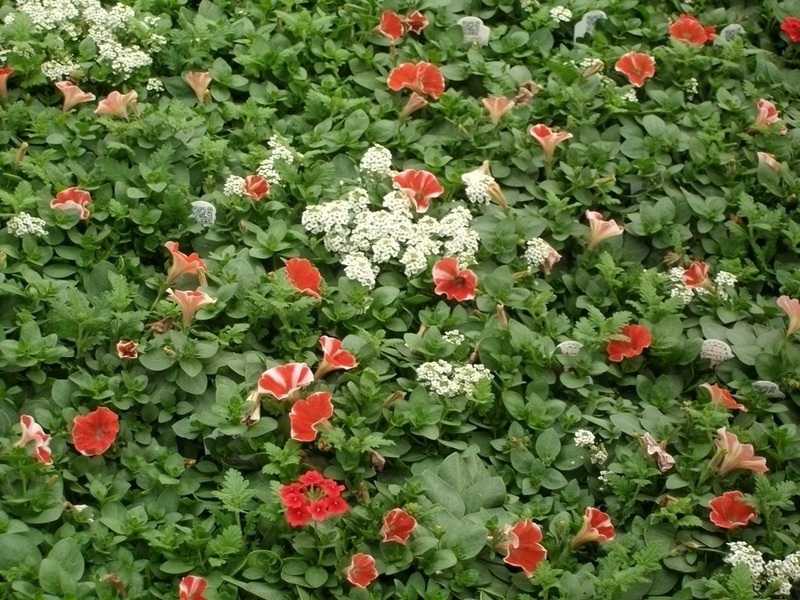 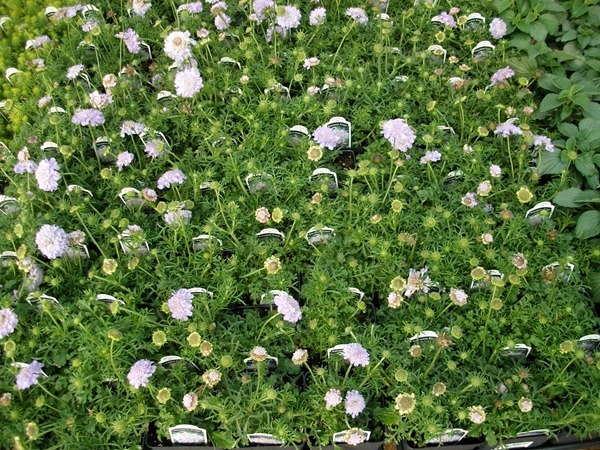 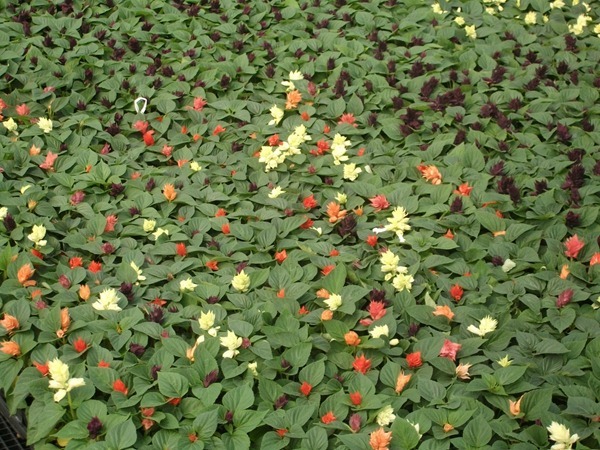 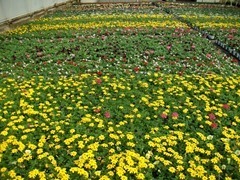 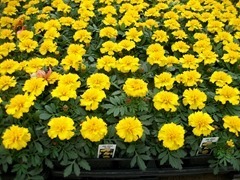 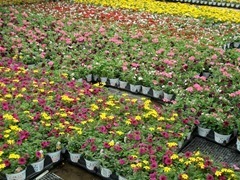 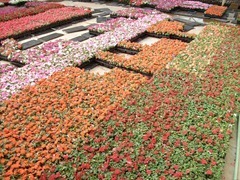 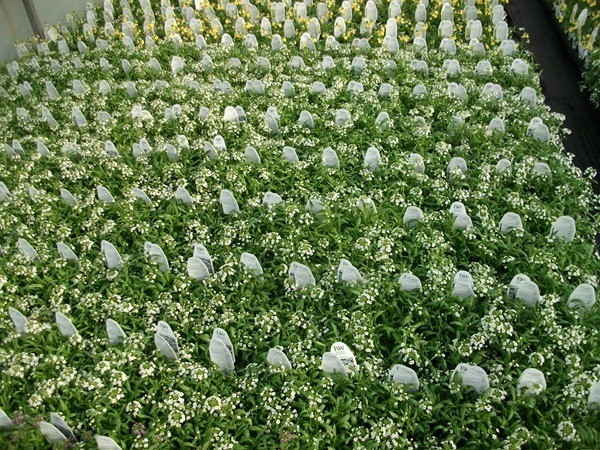 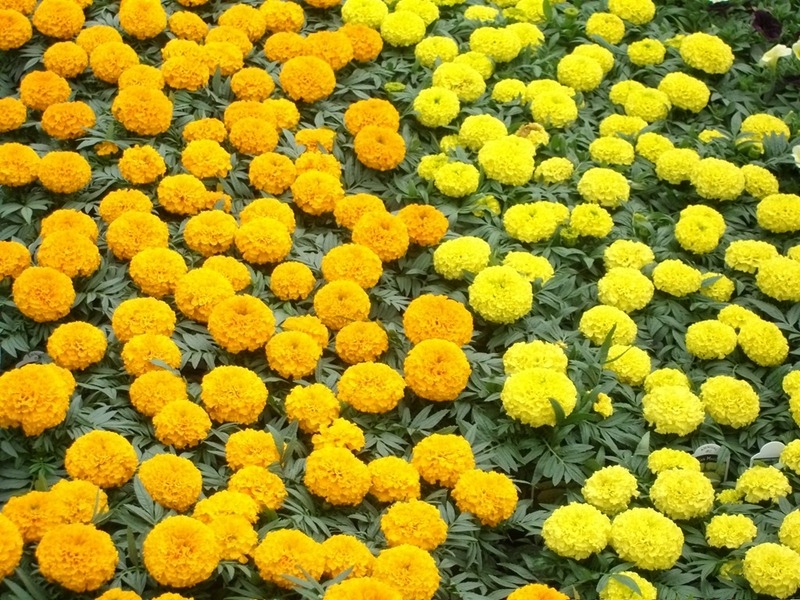 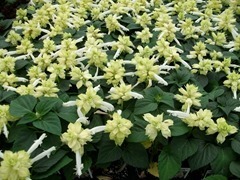 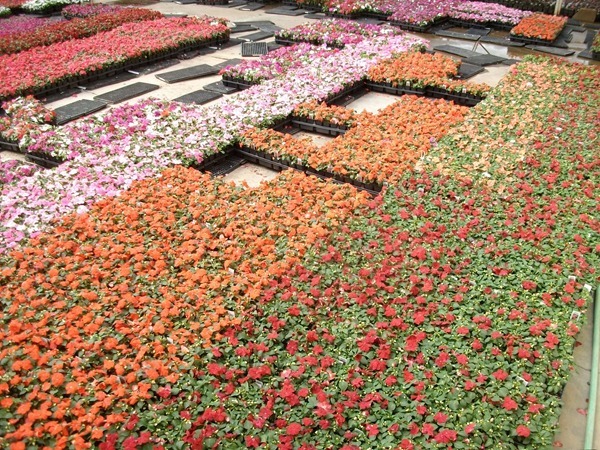 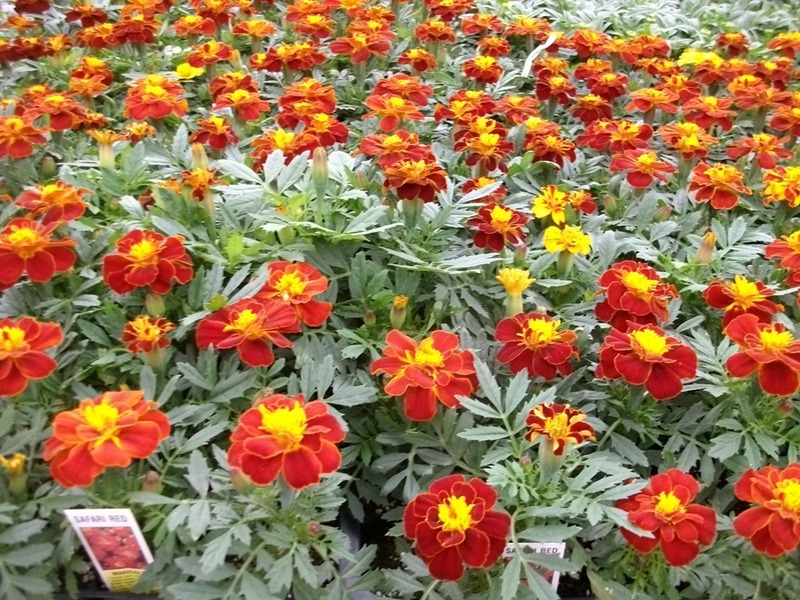 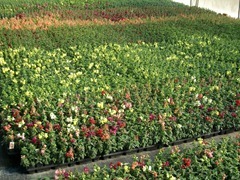 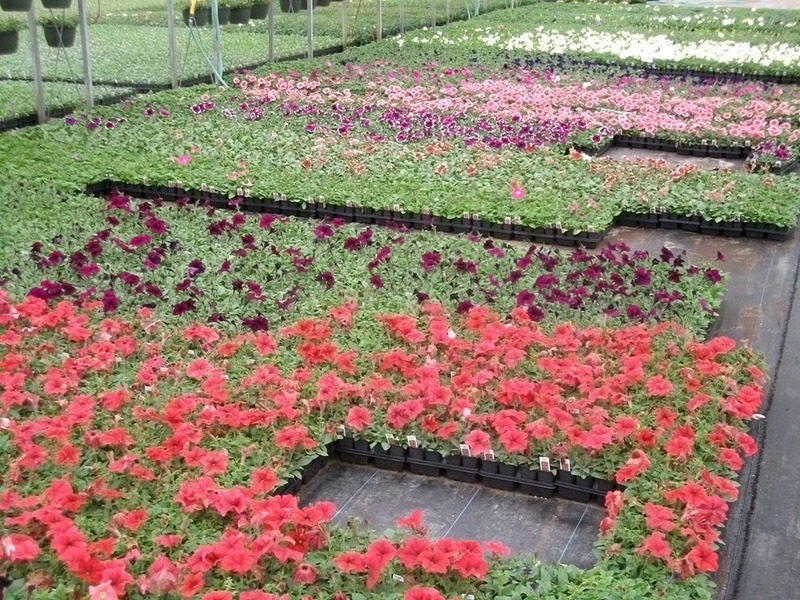 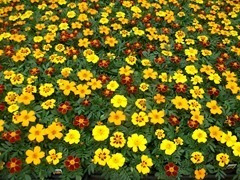 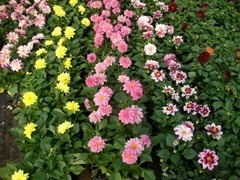 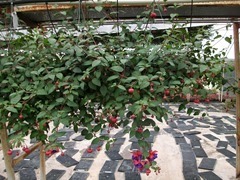 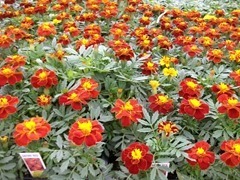 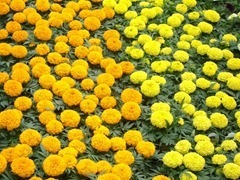 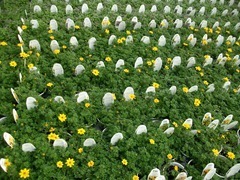 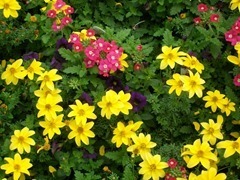 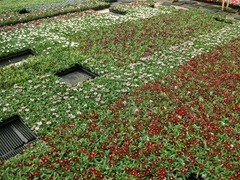 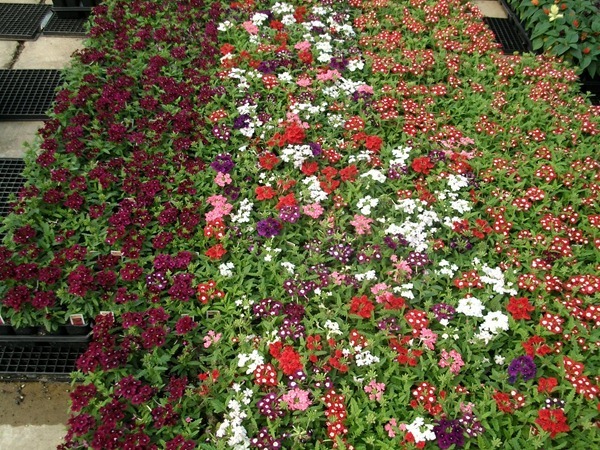 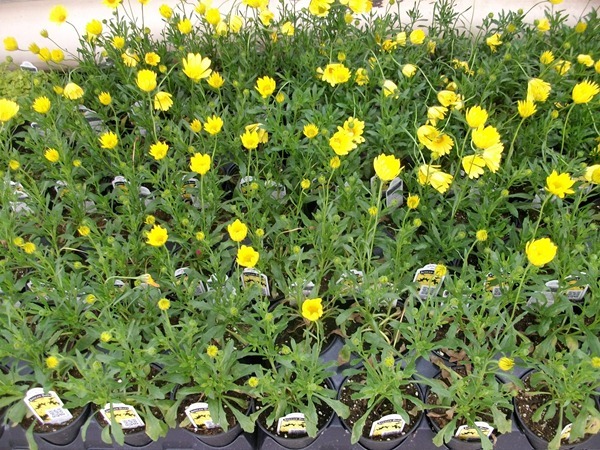 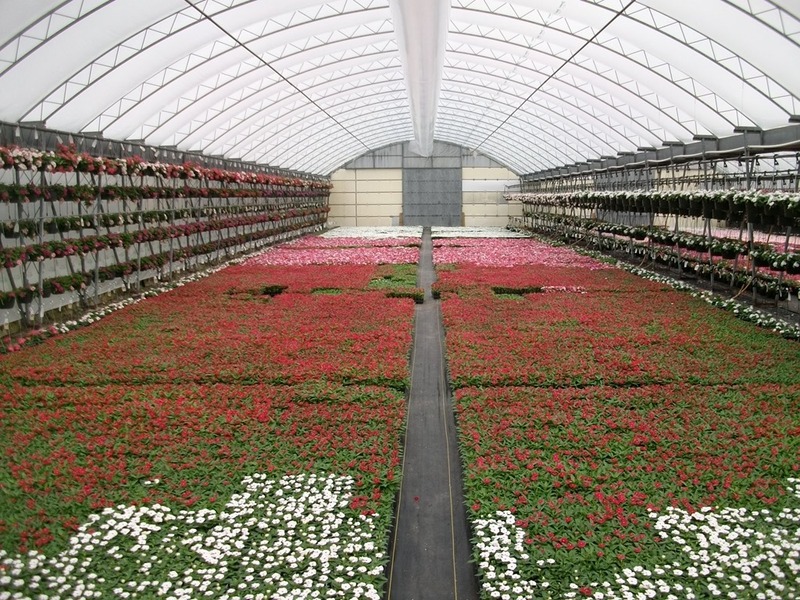 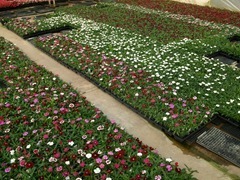 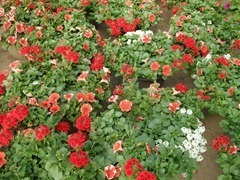 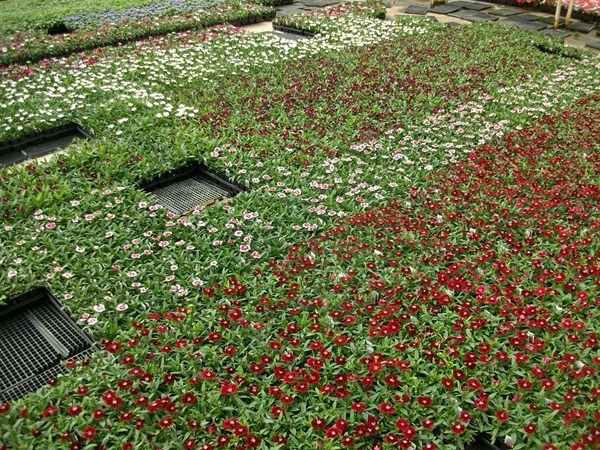 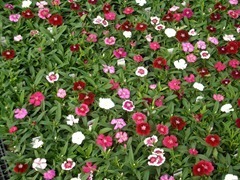 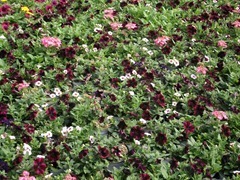 Most of our J6 annuals just bloomed this week so we are in good shape for color next week. 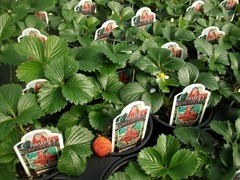 1204 Vegetables and #4 Charleys Vegetables, Strawberries and Herbs. 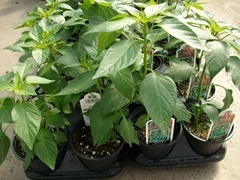 Also ready but not pictured are the 1204 peppers. 1801’s – we have good availability on the deluxe annuals. 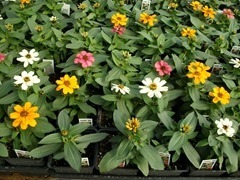 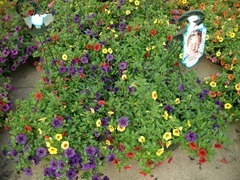 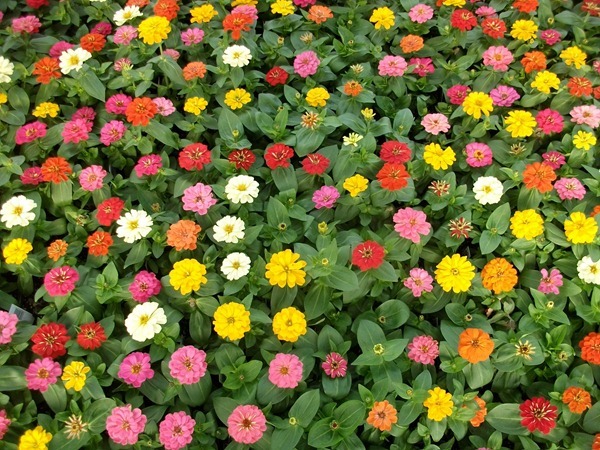 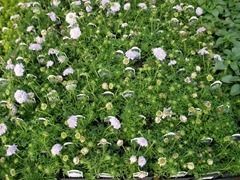 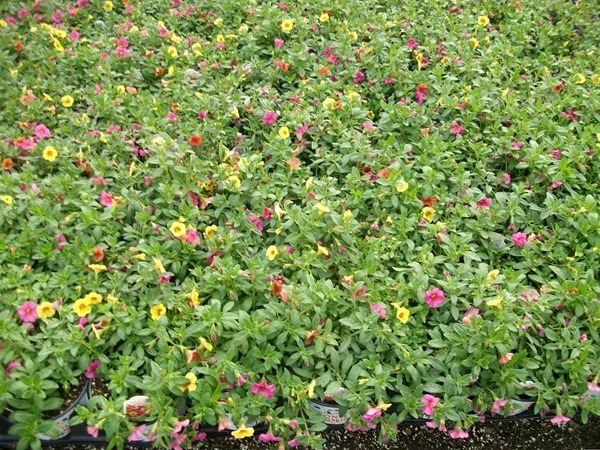 We also have some of our 1801 flowering basic annuals blooming. 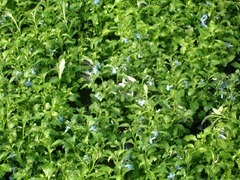 That’s not the best picture that I have ever taken of the ajuga. 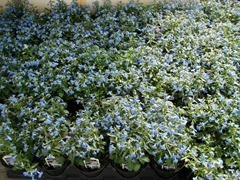 In my defense, ajuga is not very photogenic. 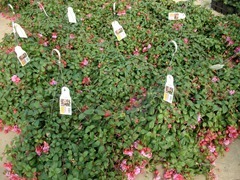 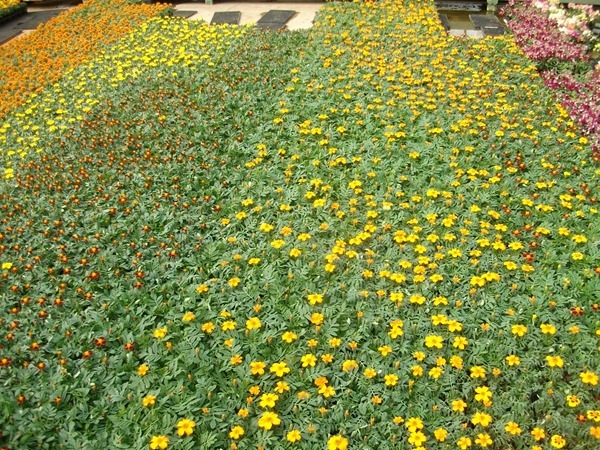 #6 Confetti – some of the Confetti Garden are getting ready. 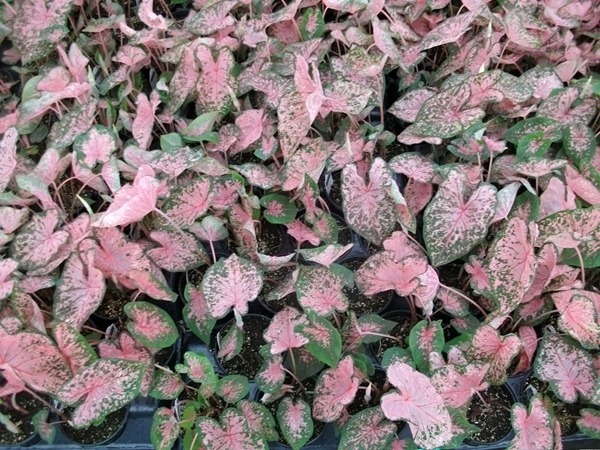 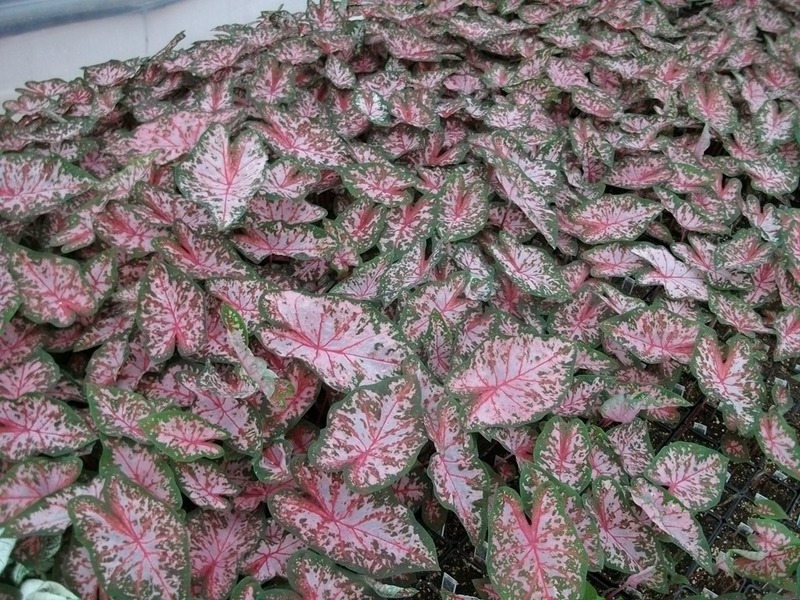 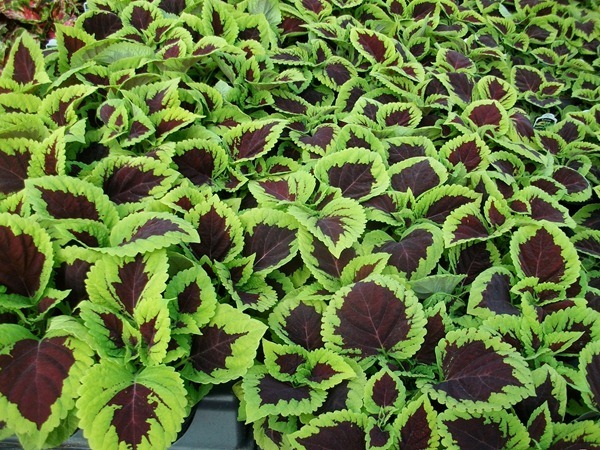 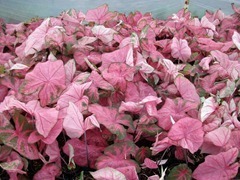 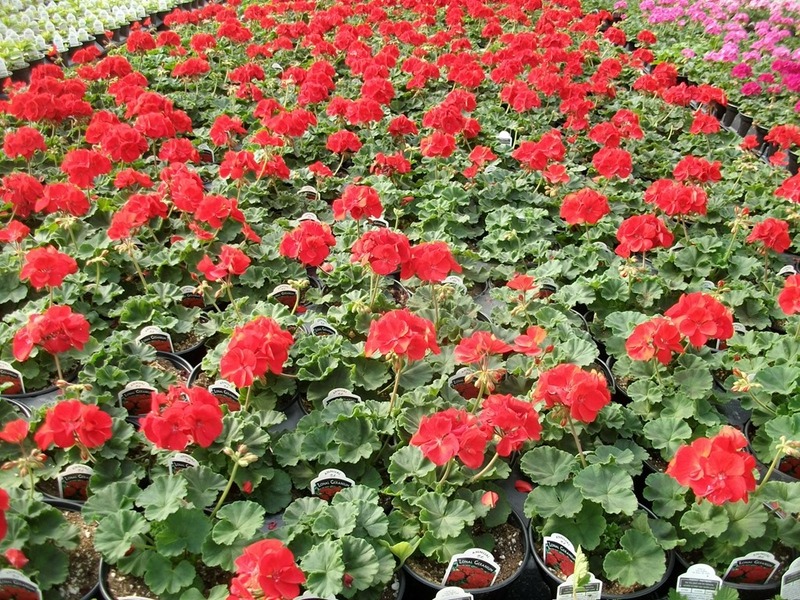 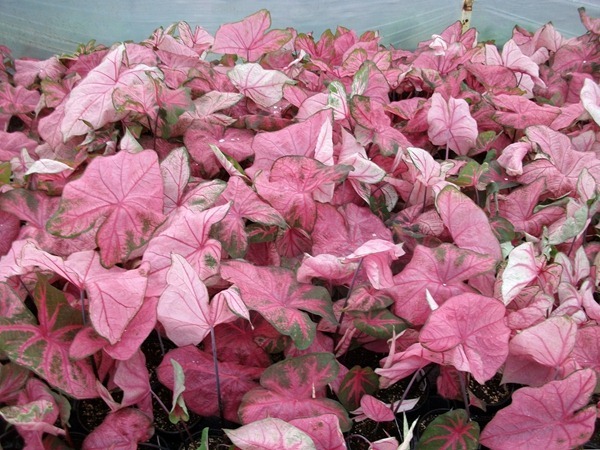 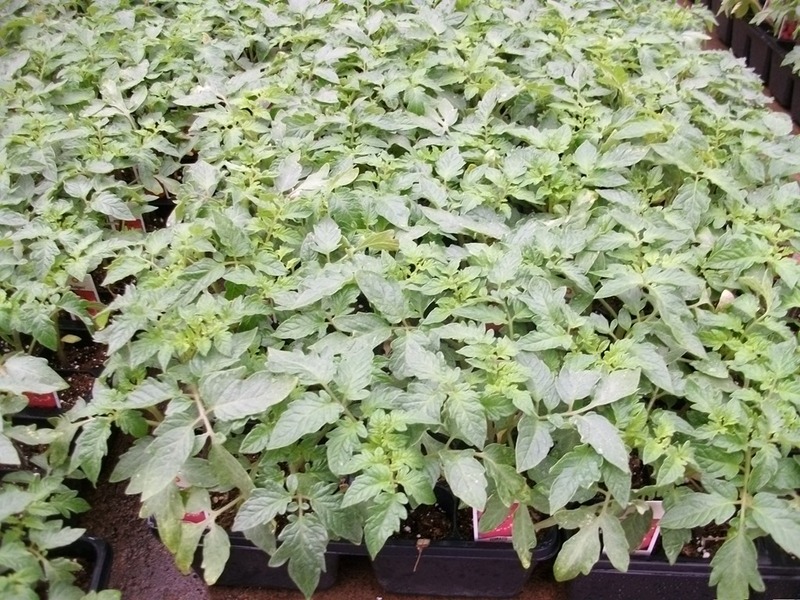 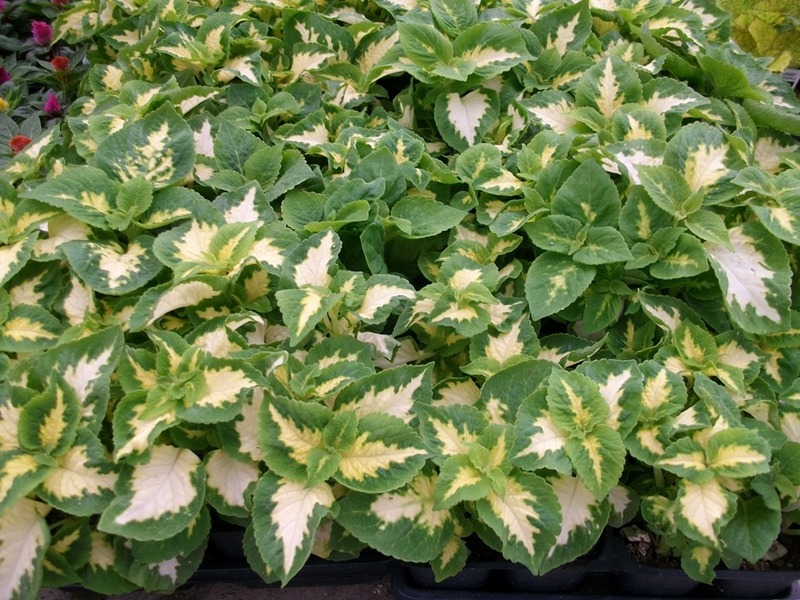 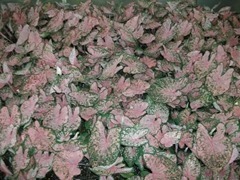 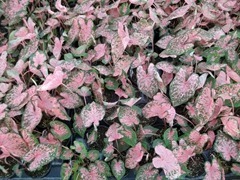 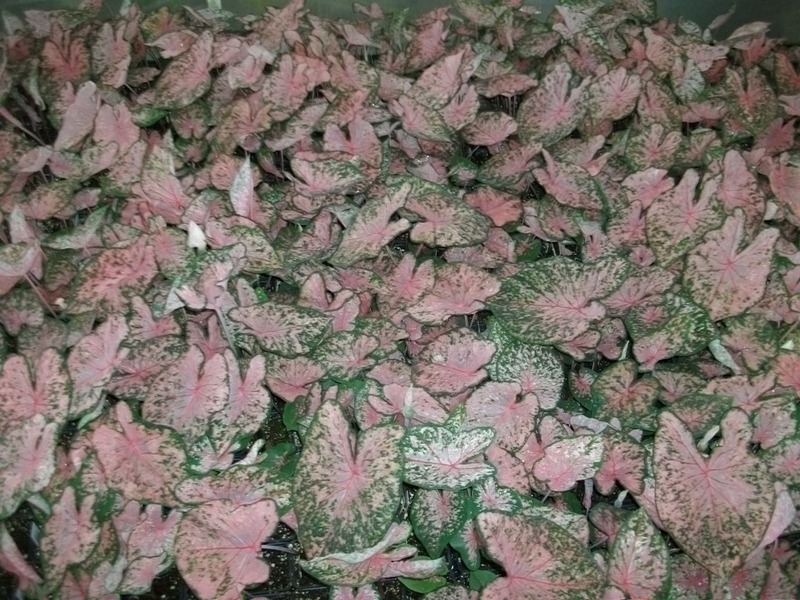 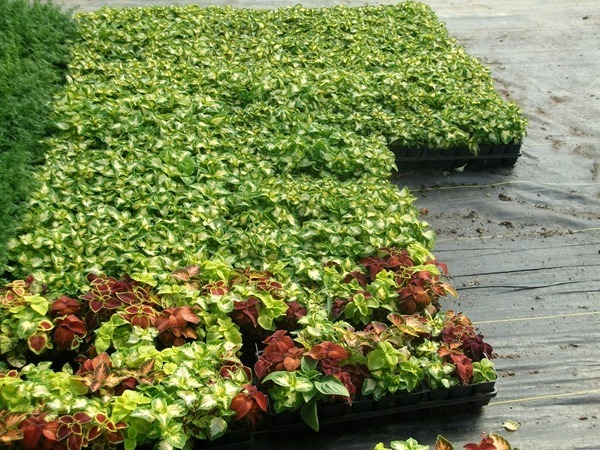 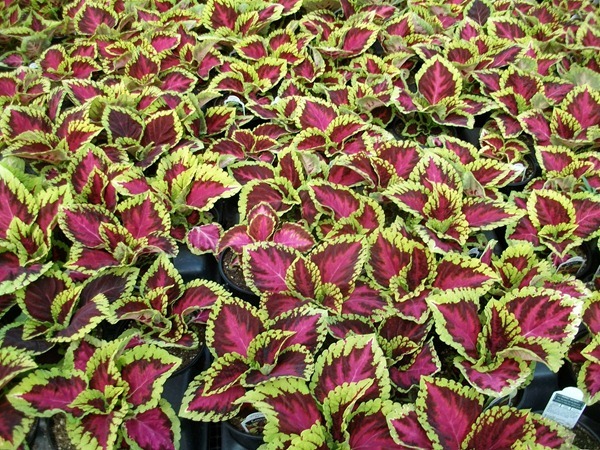 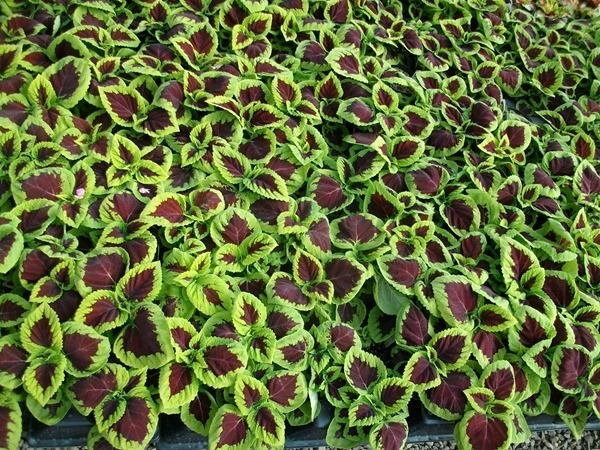 The ones that have the most plants ready have the least amount of color and these that have the most color only have part of them big enough to ship. 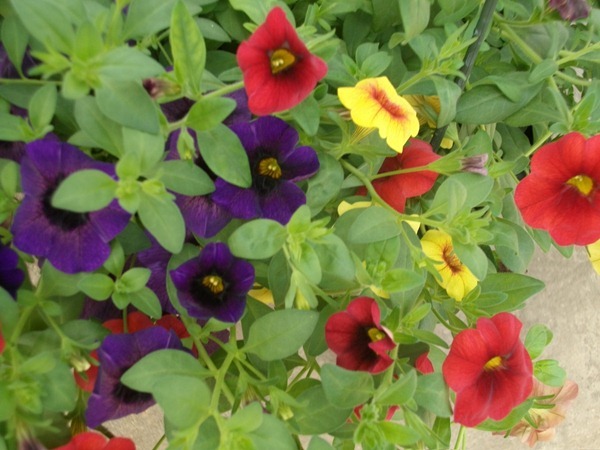 These are the 4 with the best color. I will most likely be updating the comments on the availability to reflect that these bloomed out more over the weekend. 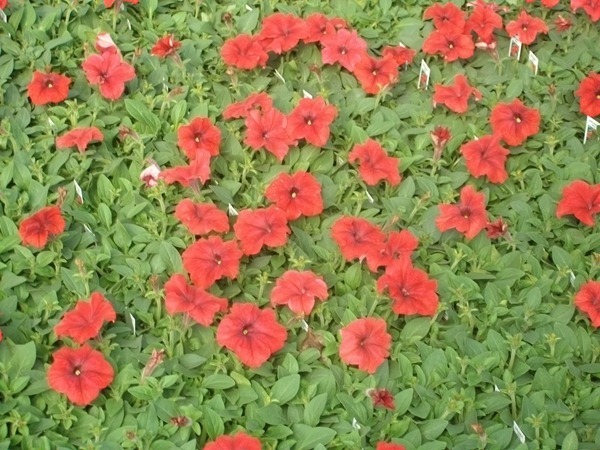 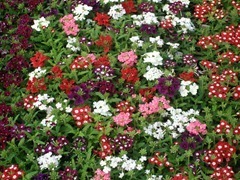 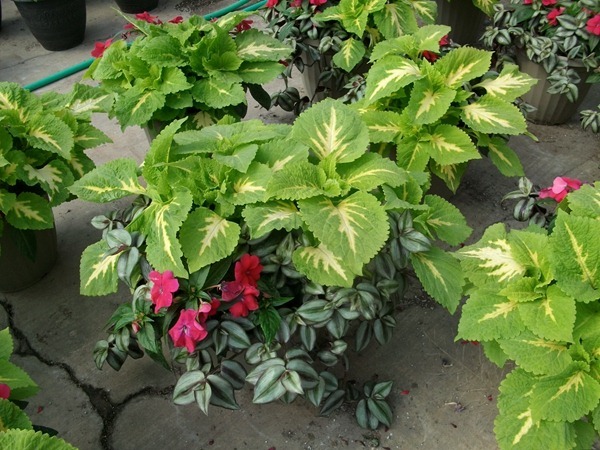 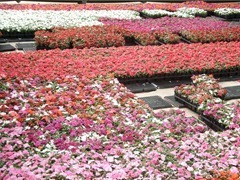 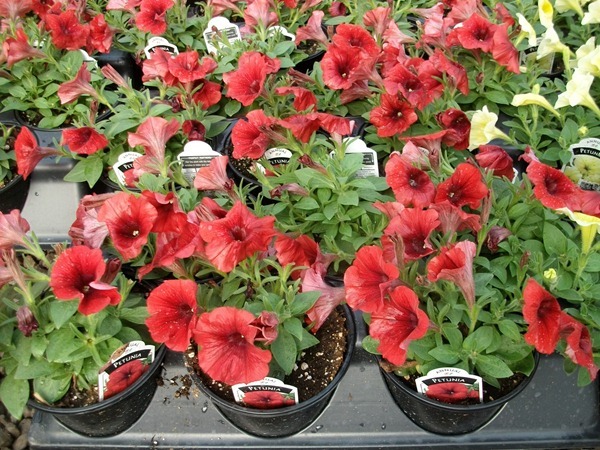 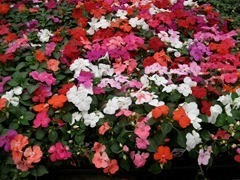 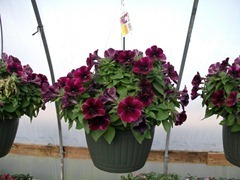 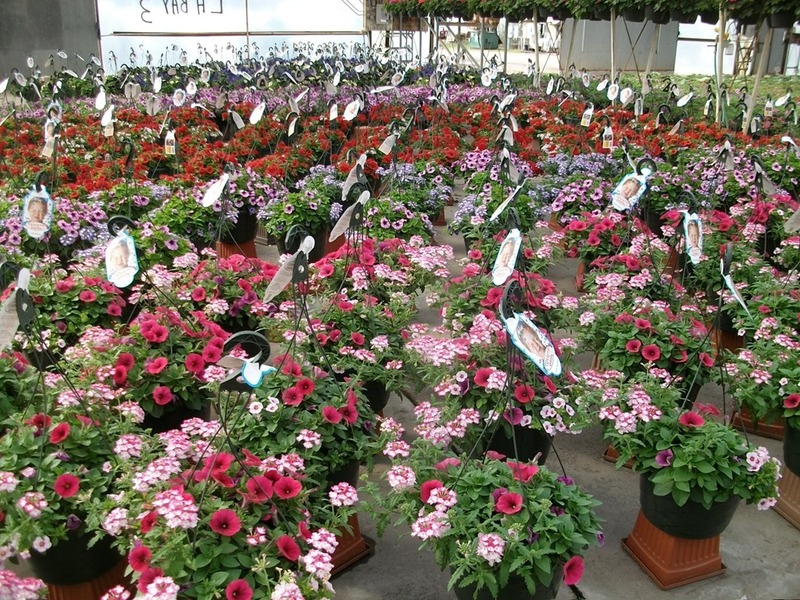 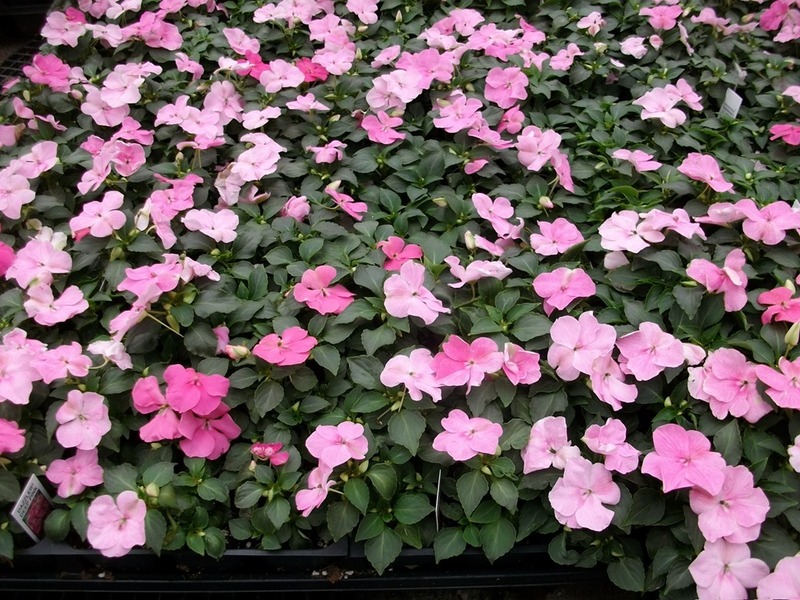 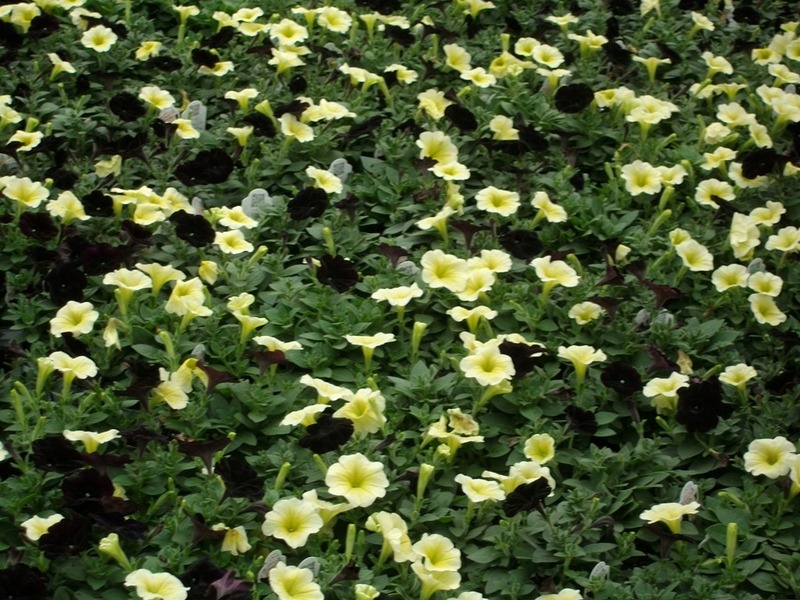 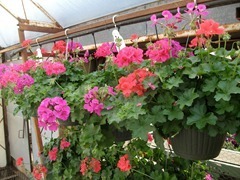 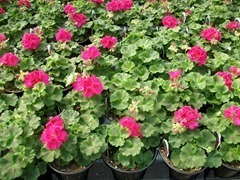 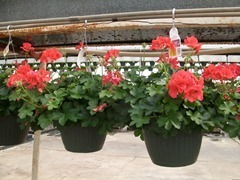 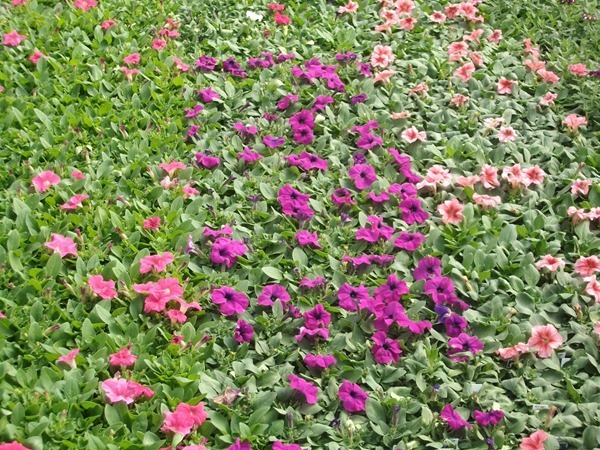 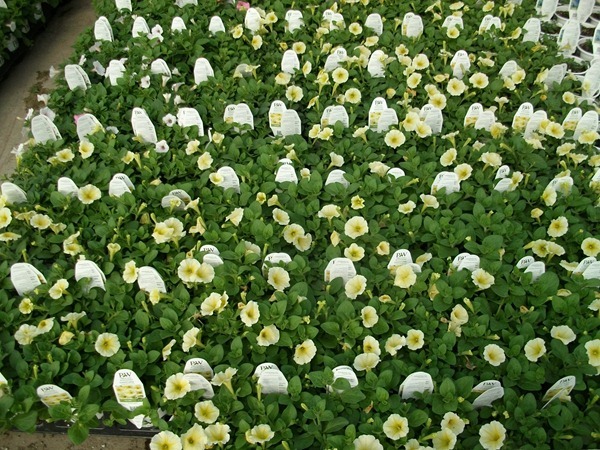 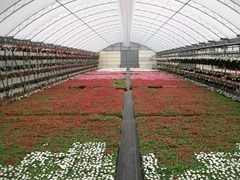 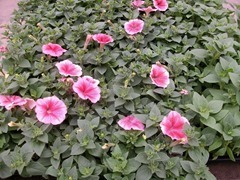 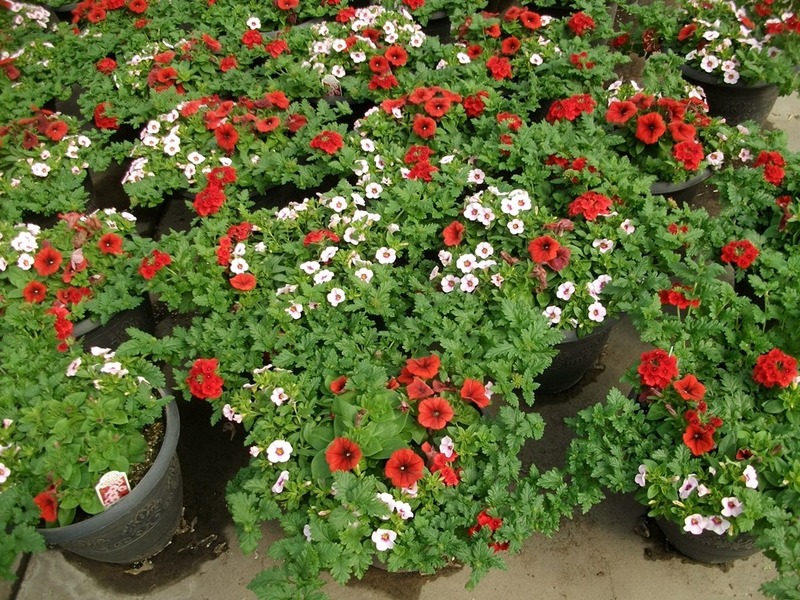 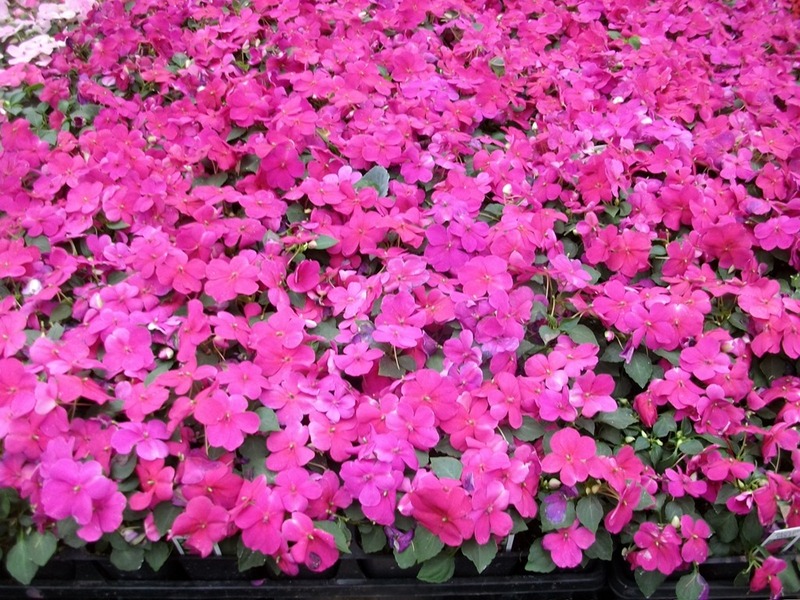 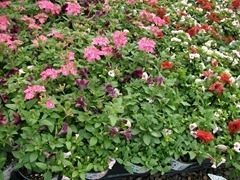 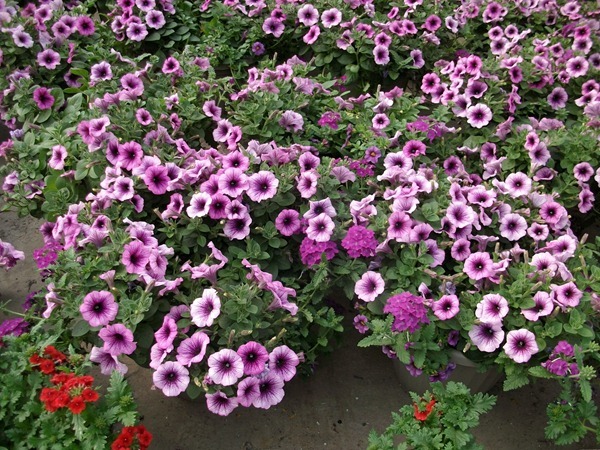 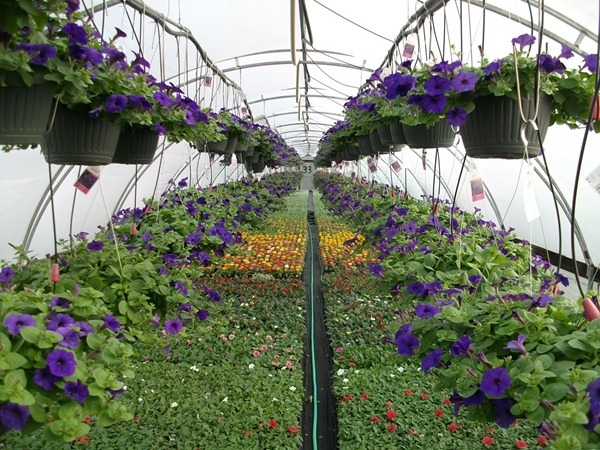 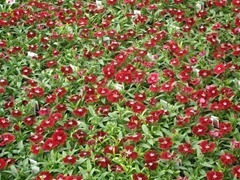 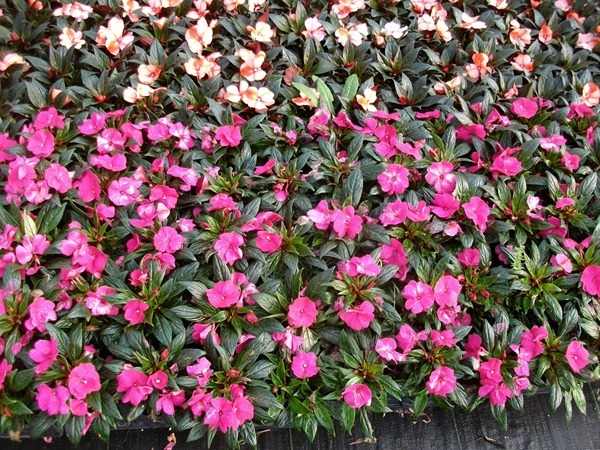 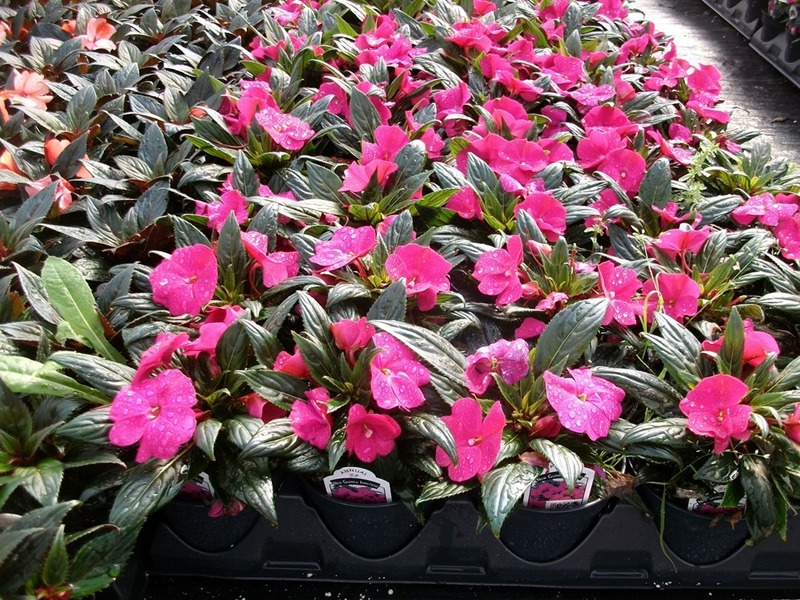 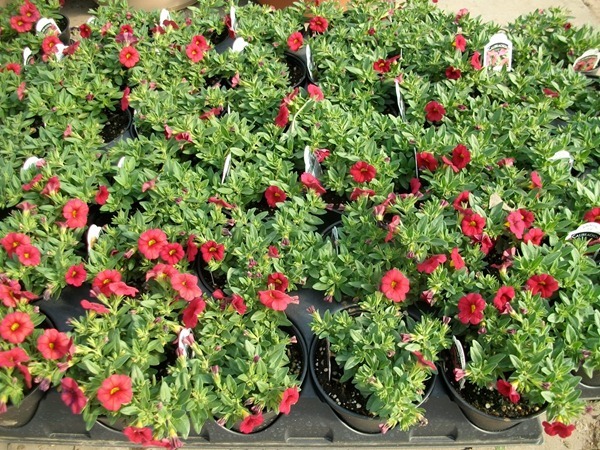 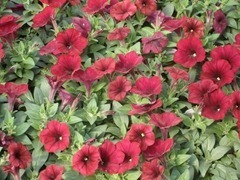 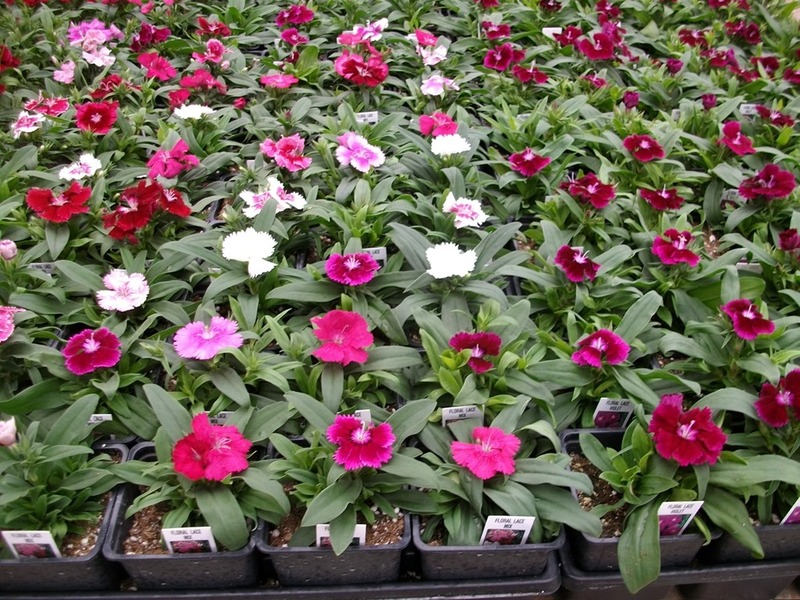 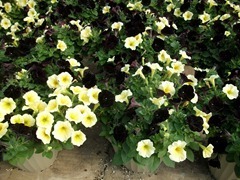 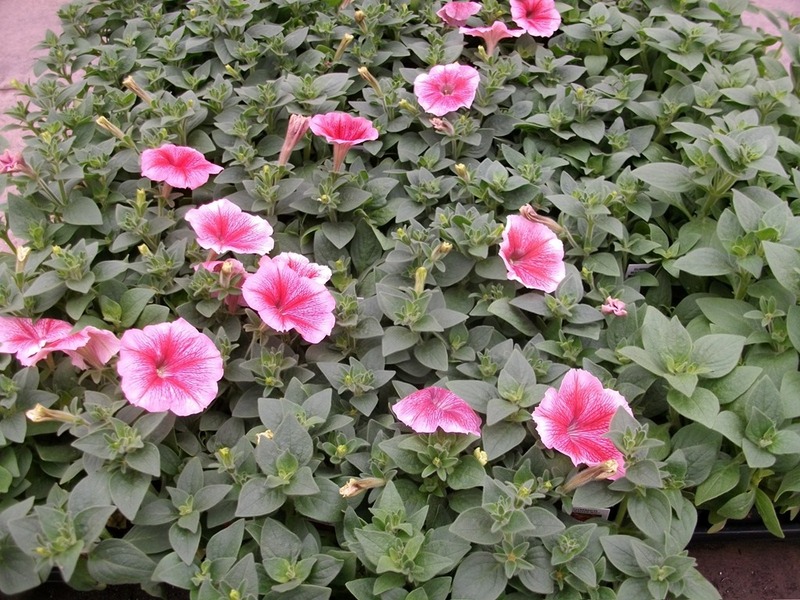 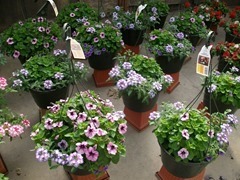 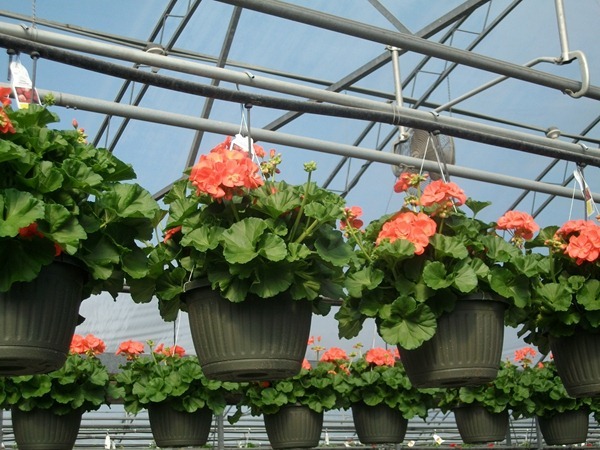 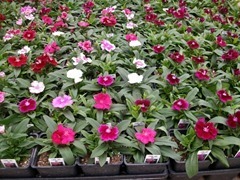 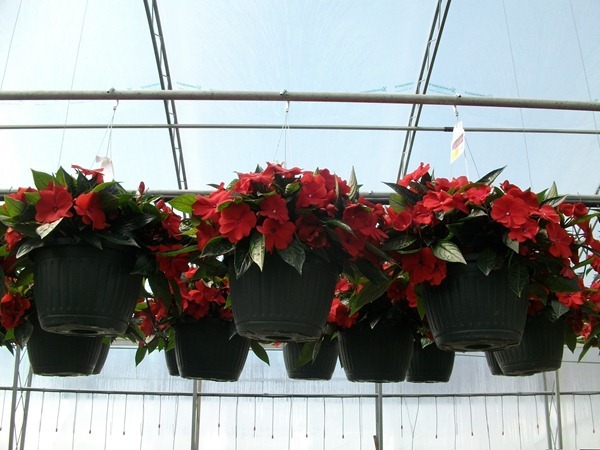 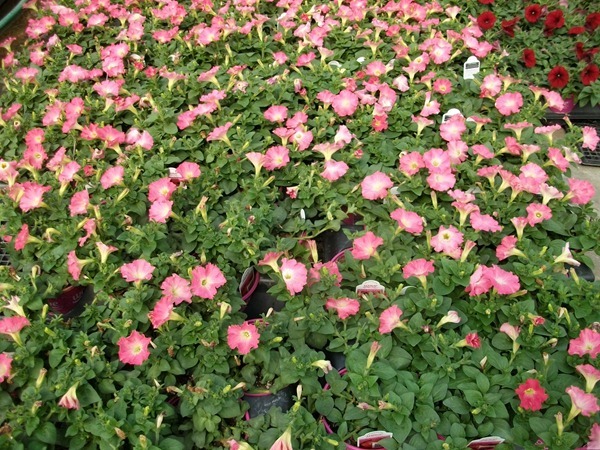 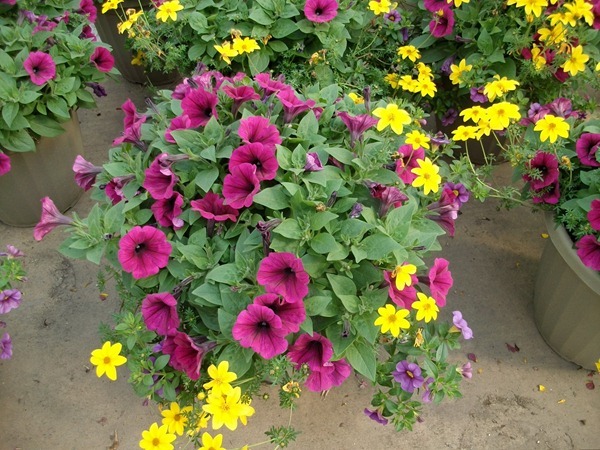 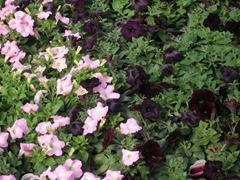 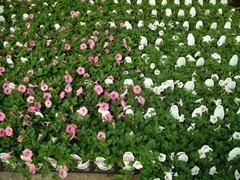 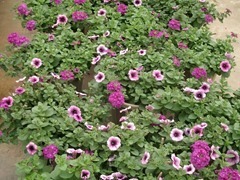 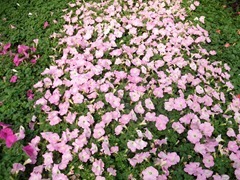 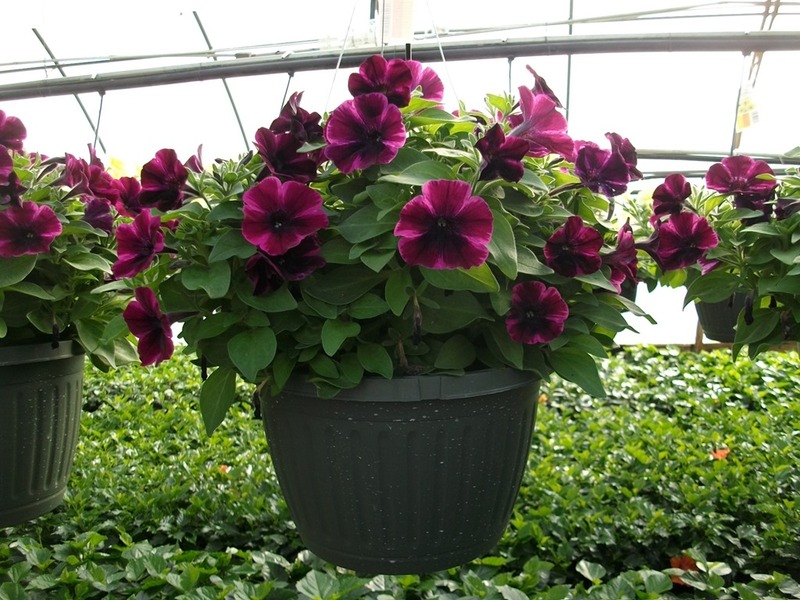 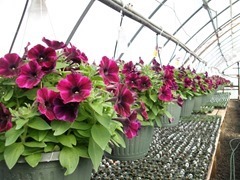 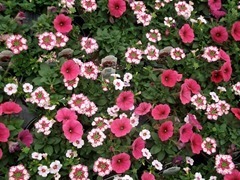 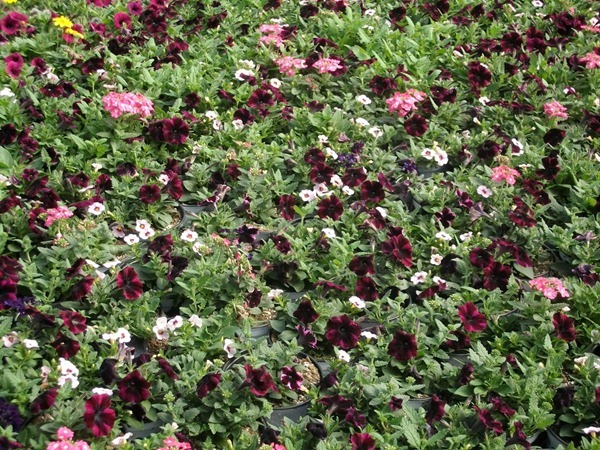 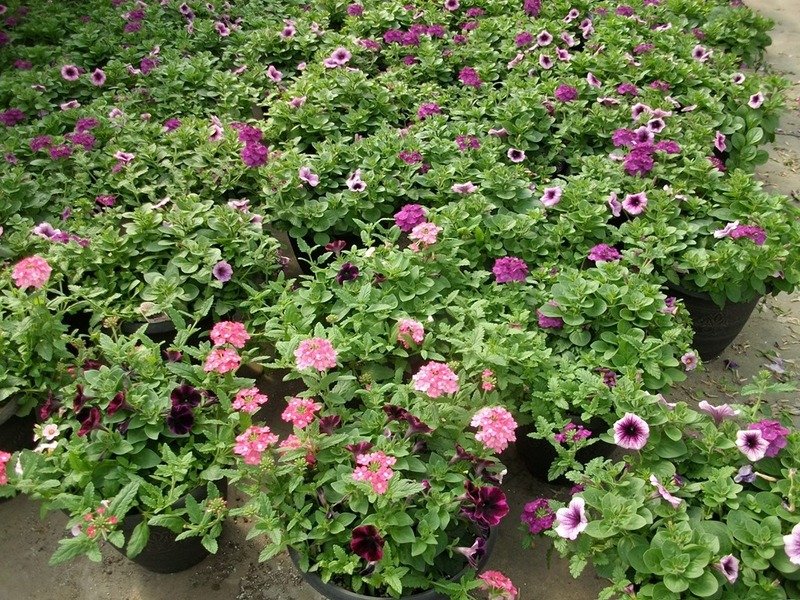 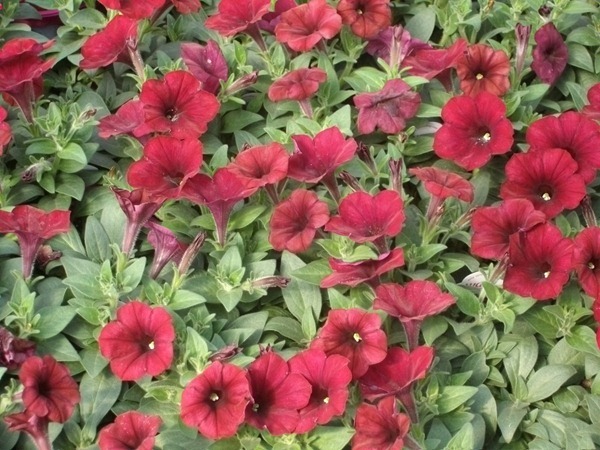 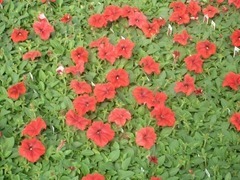 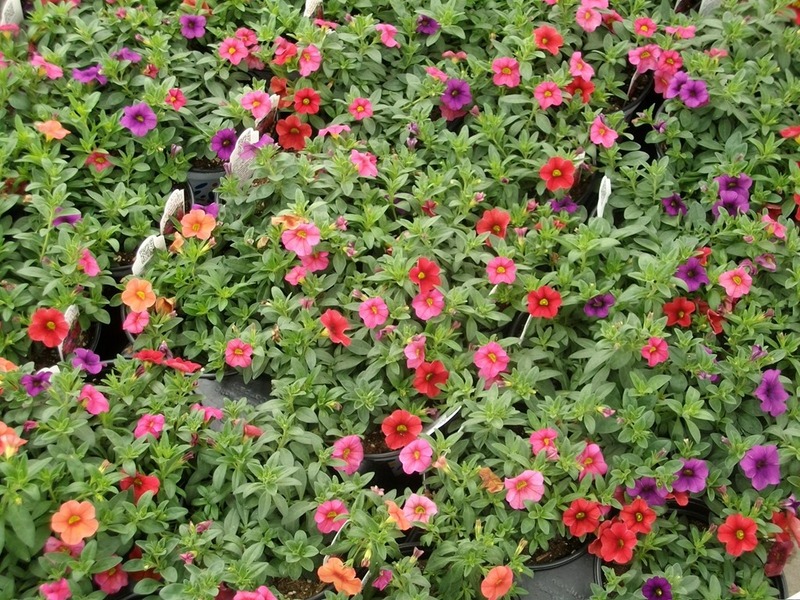 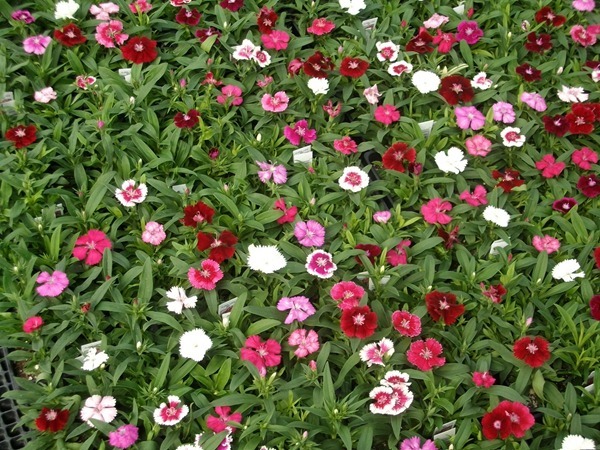 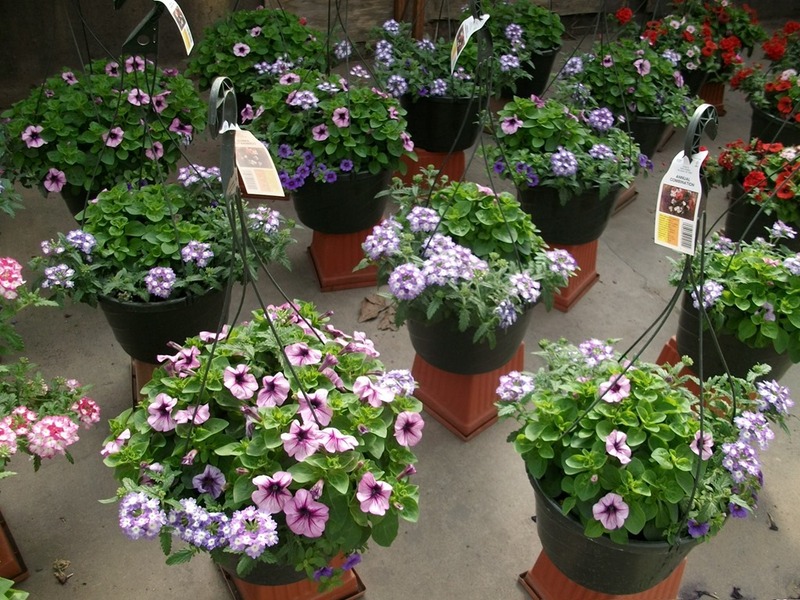 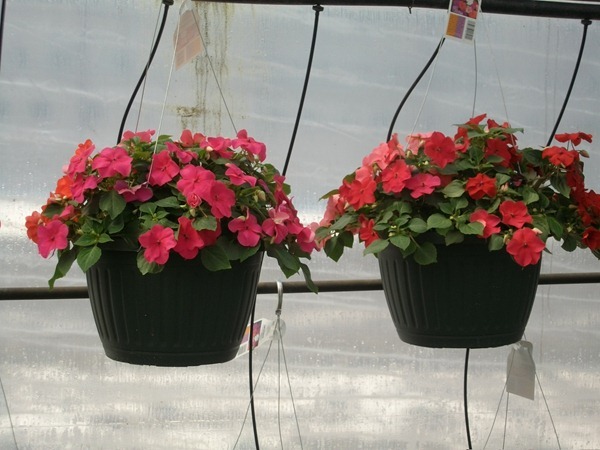 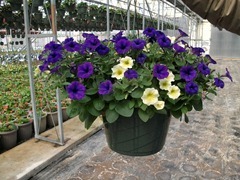 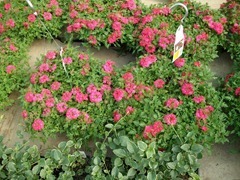 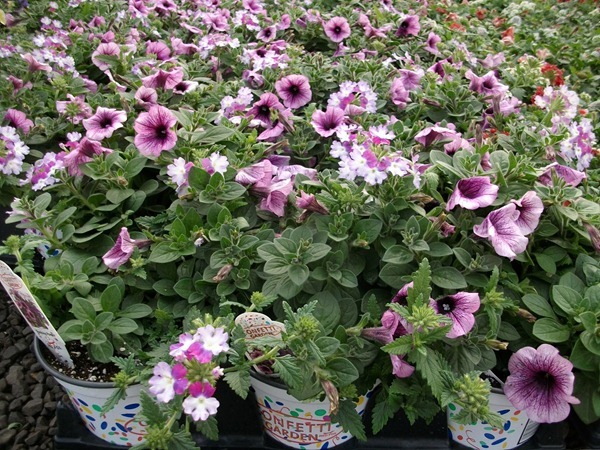 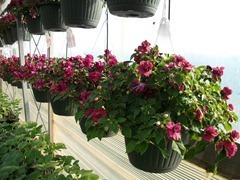 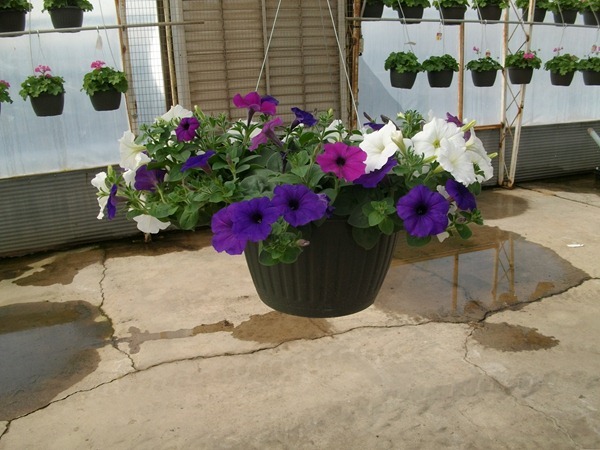 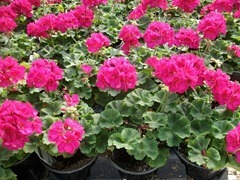 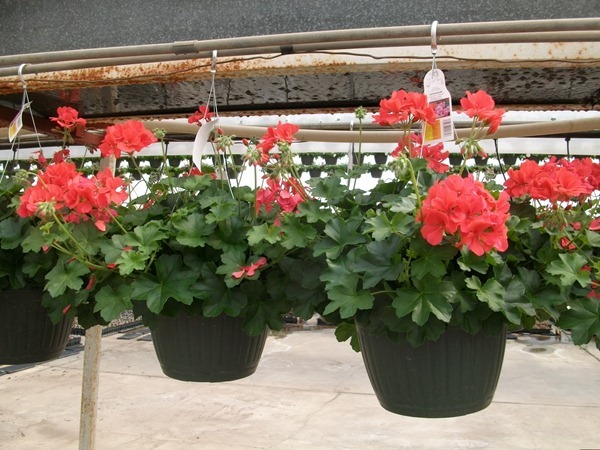 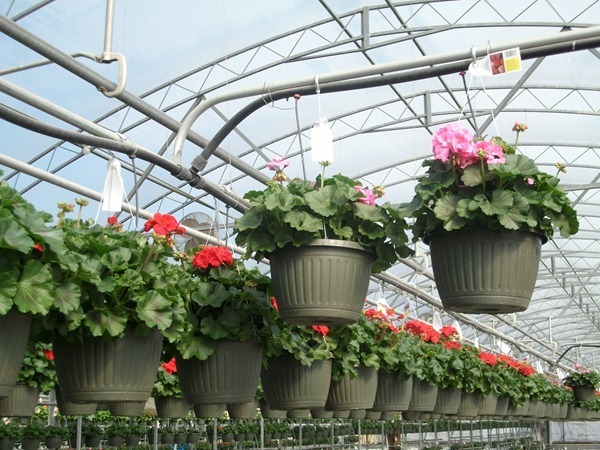 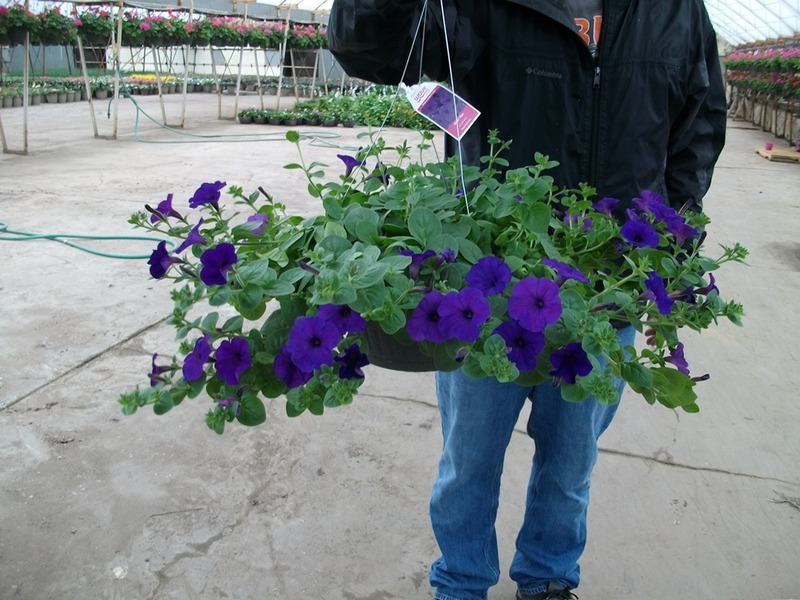 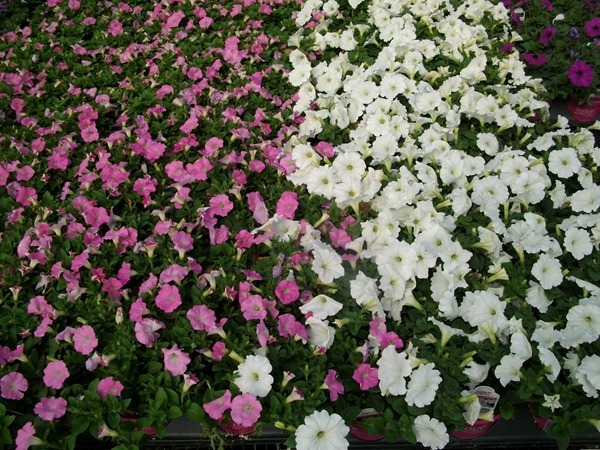 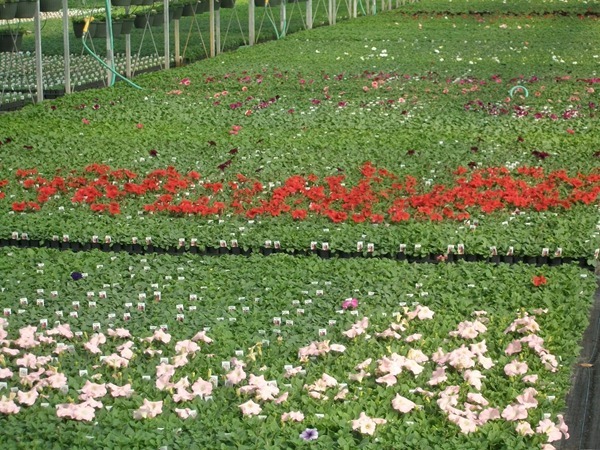 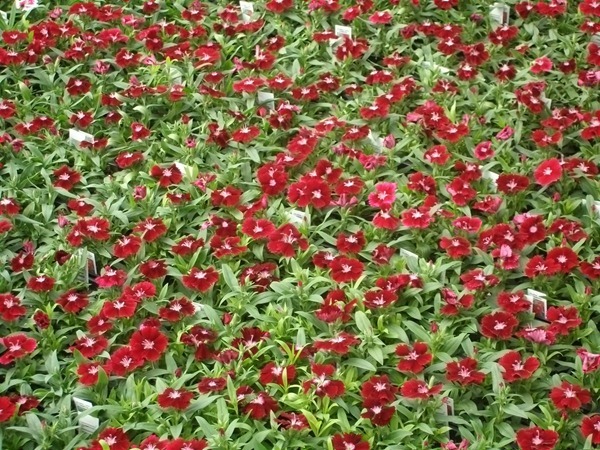 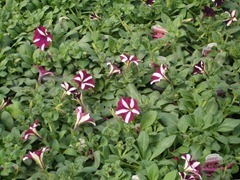 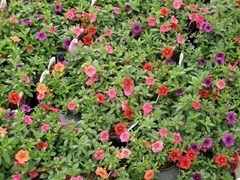 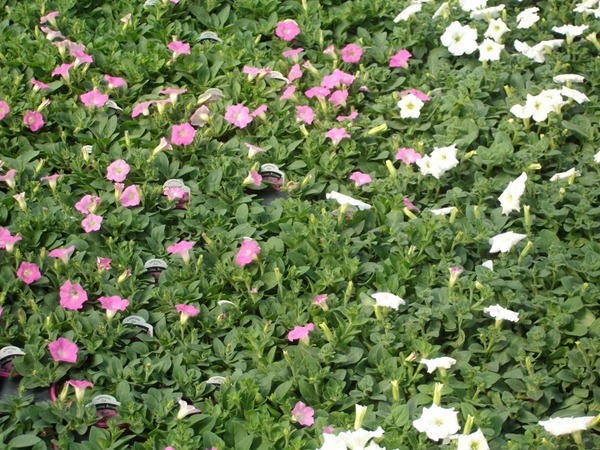 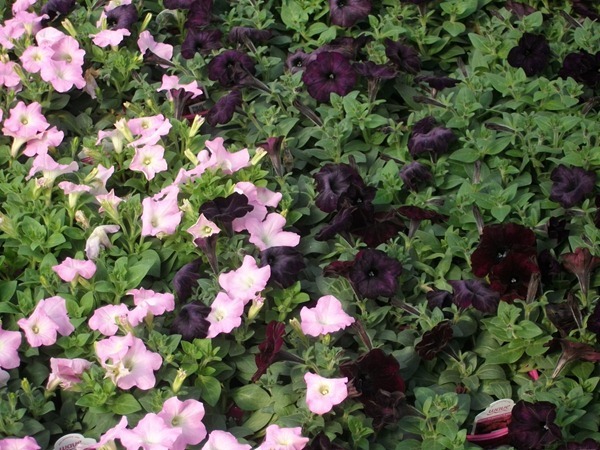 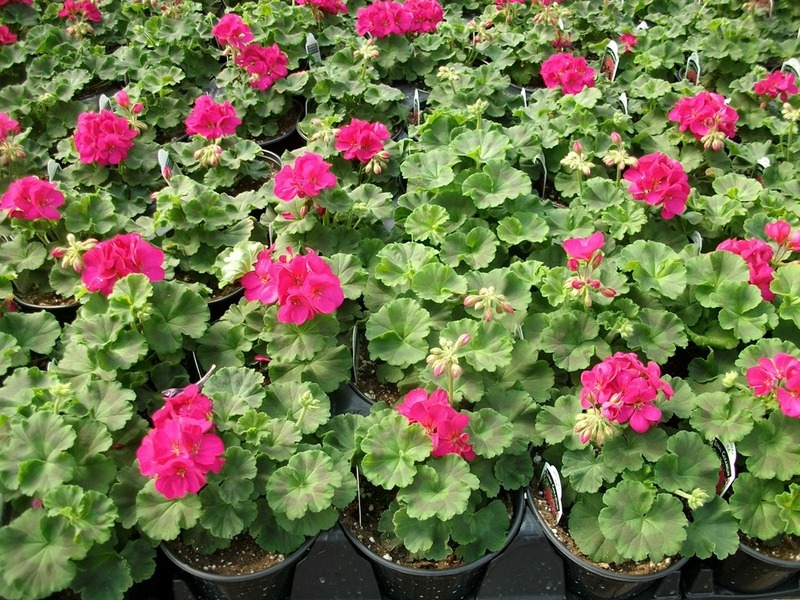 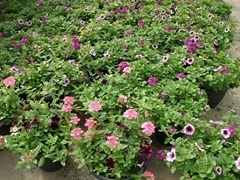 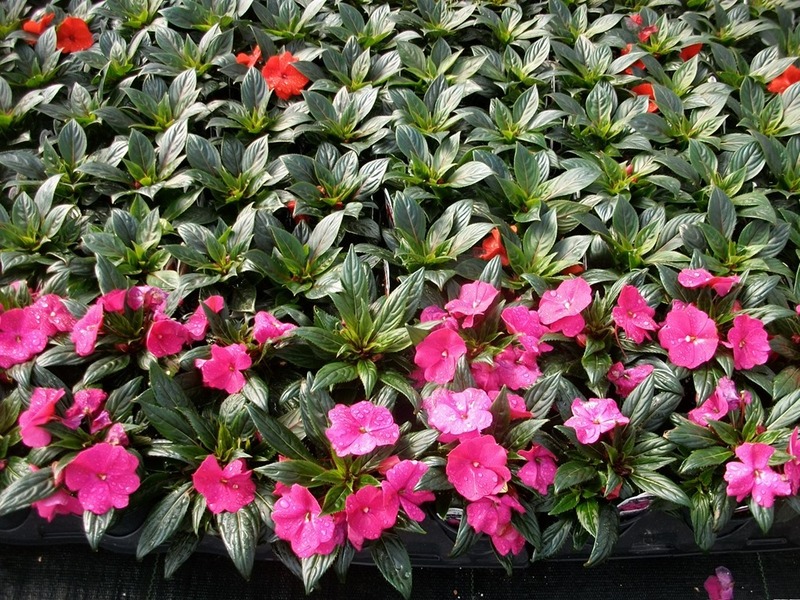 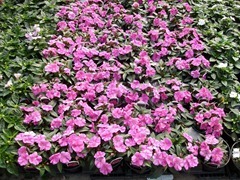 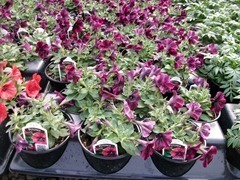 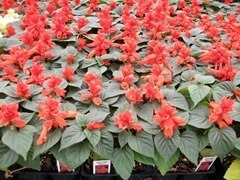 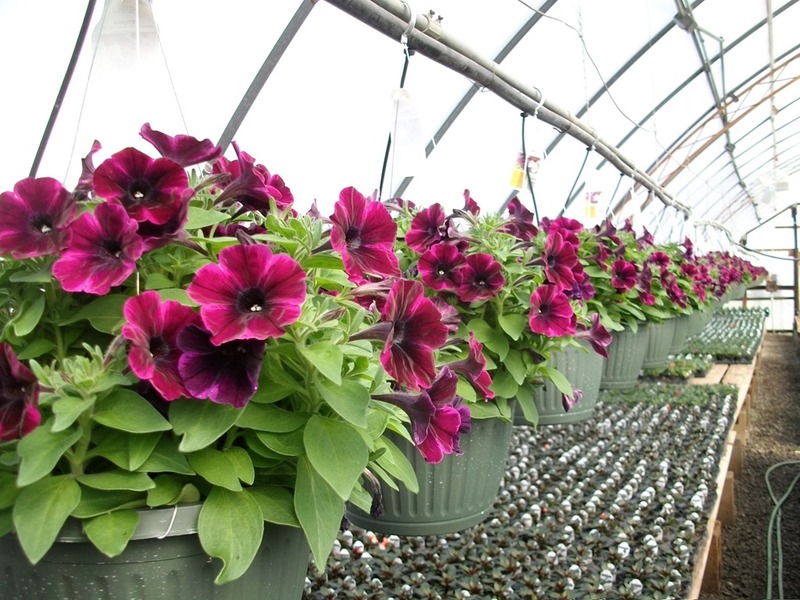 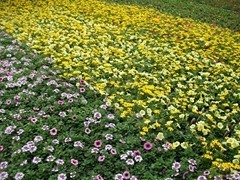 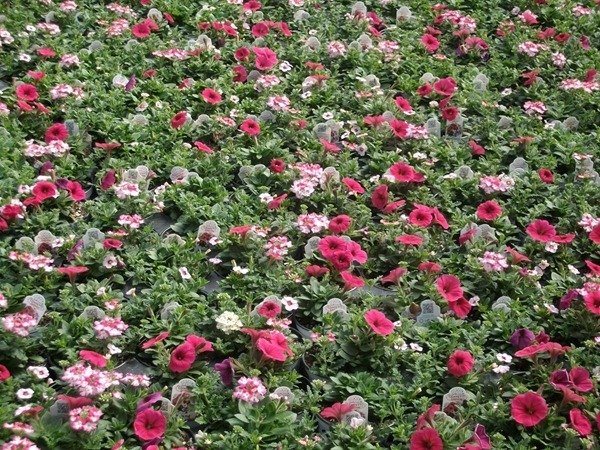 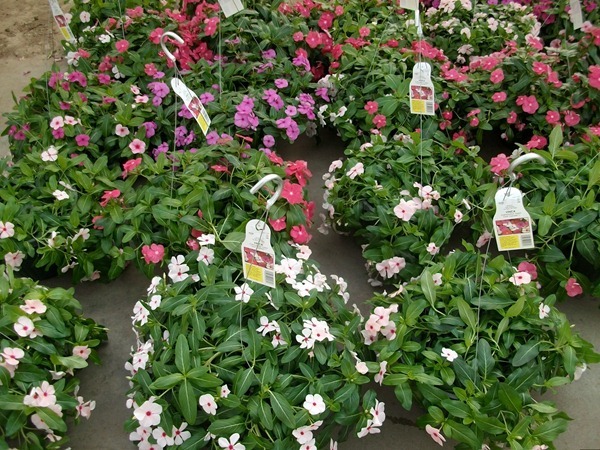 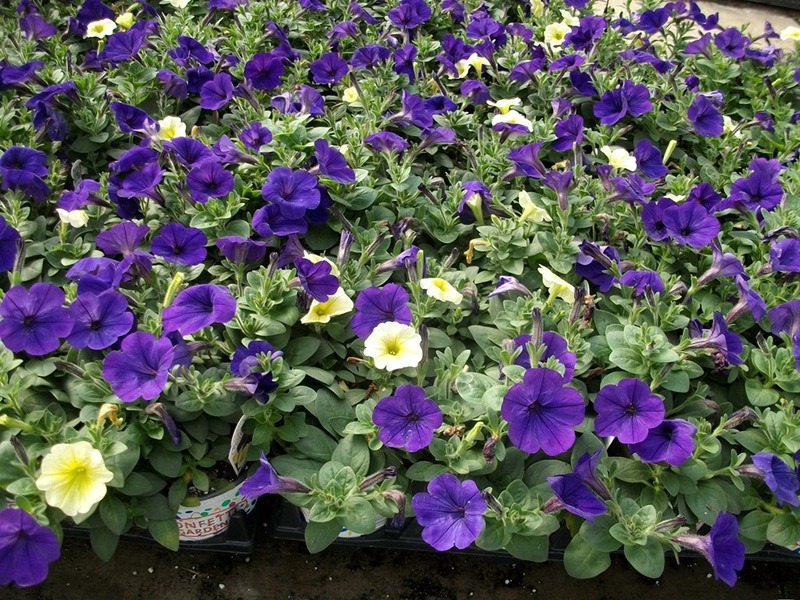 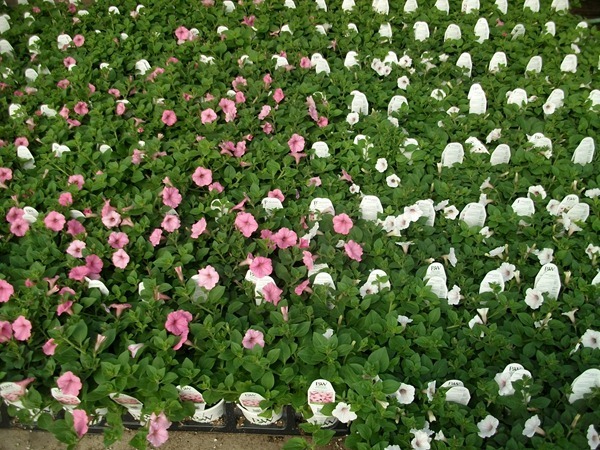 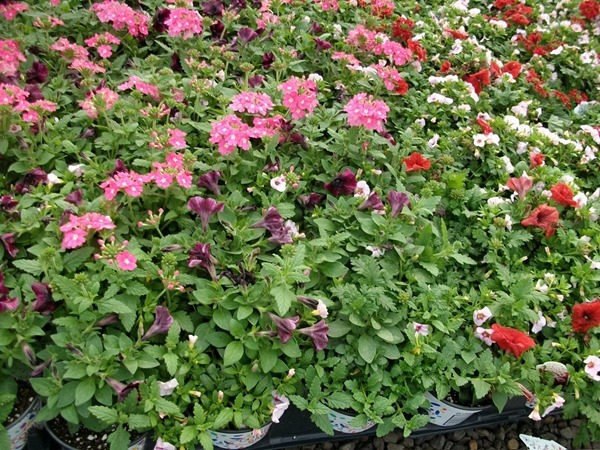 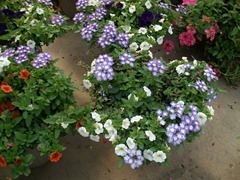 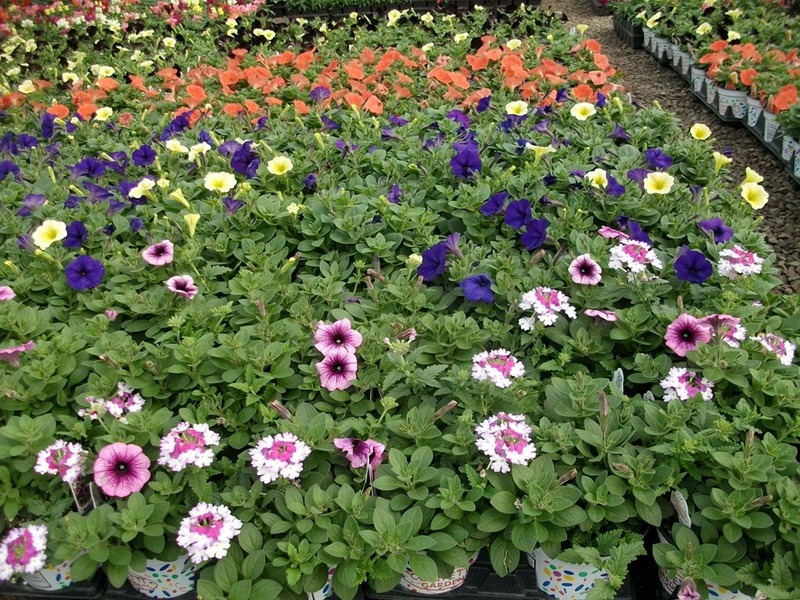 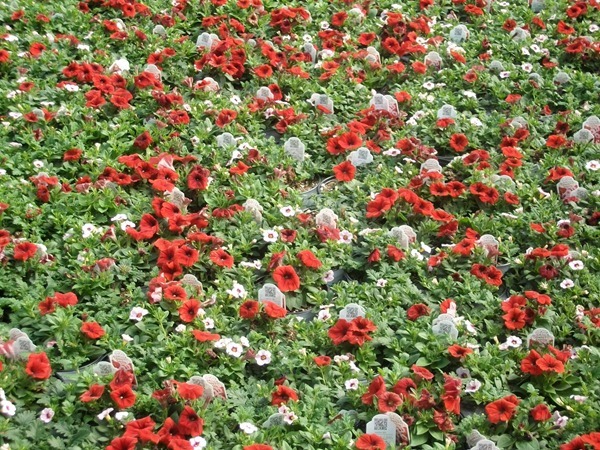 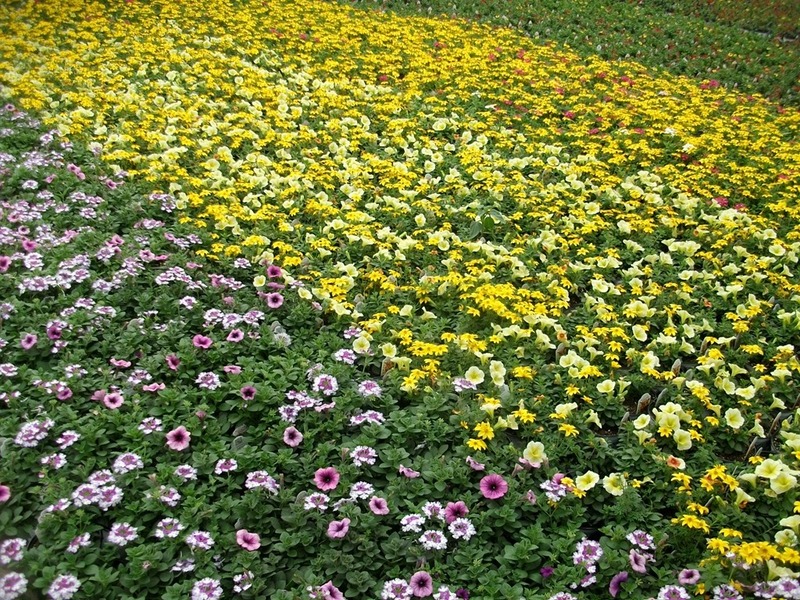 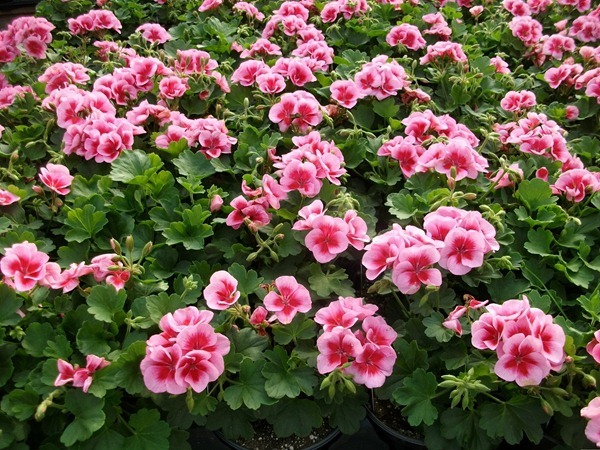 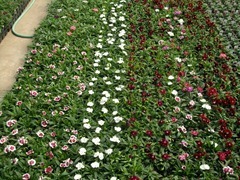 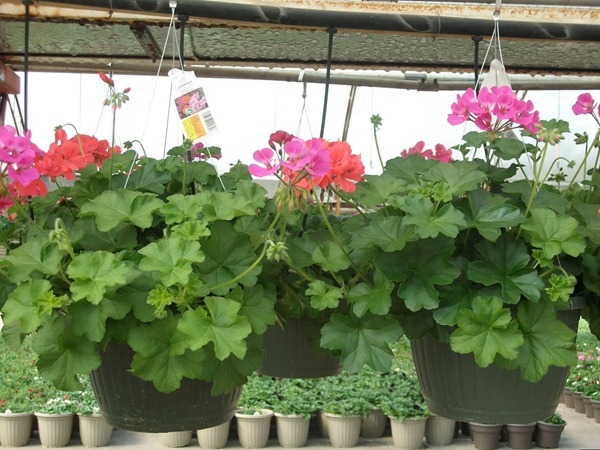 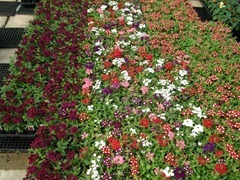 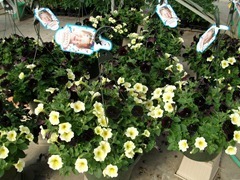 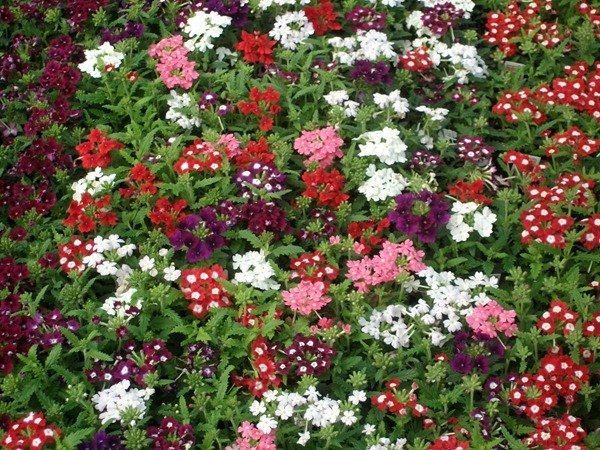 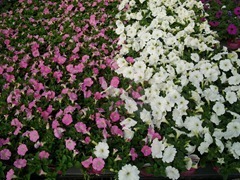 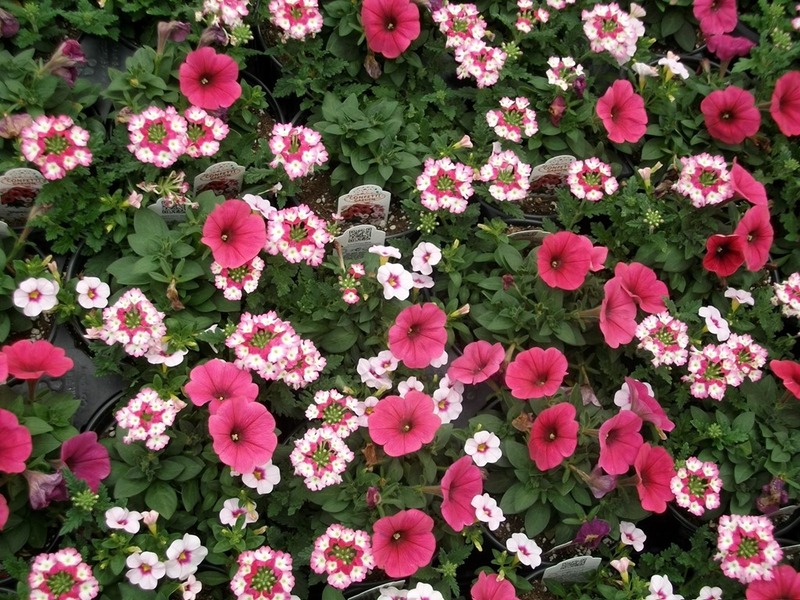 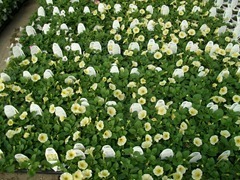 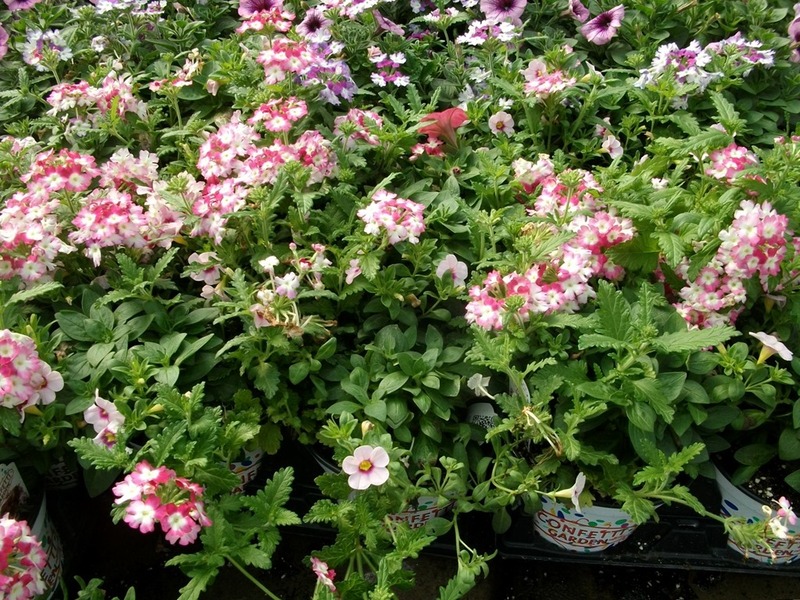 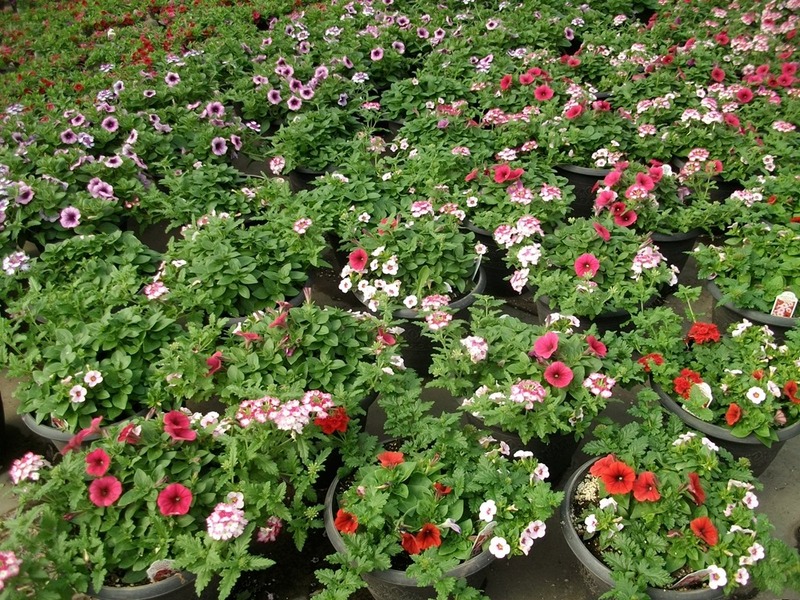 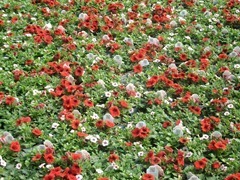 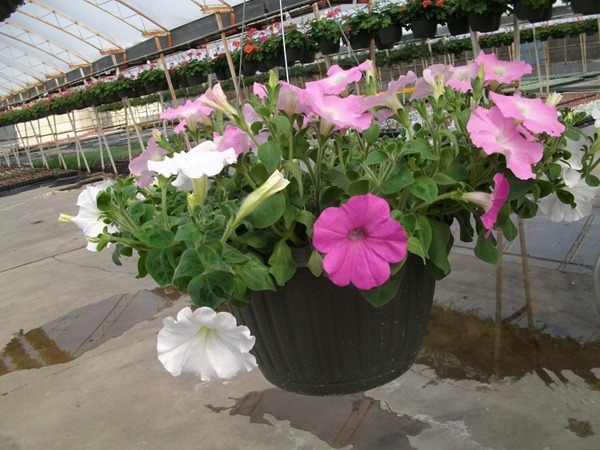 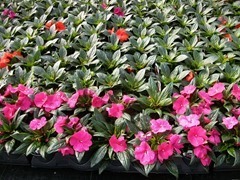 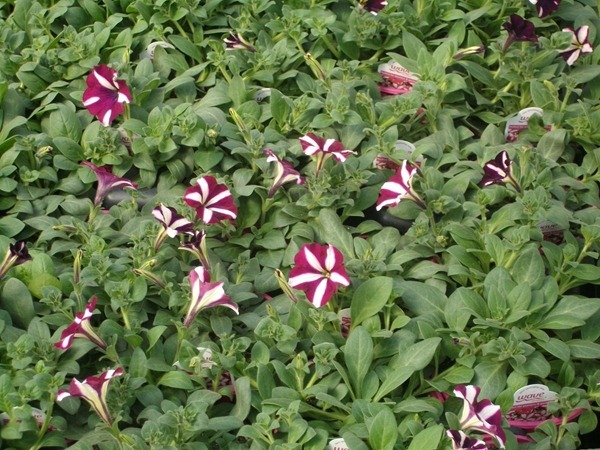 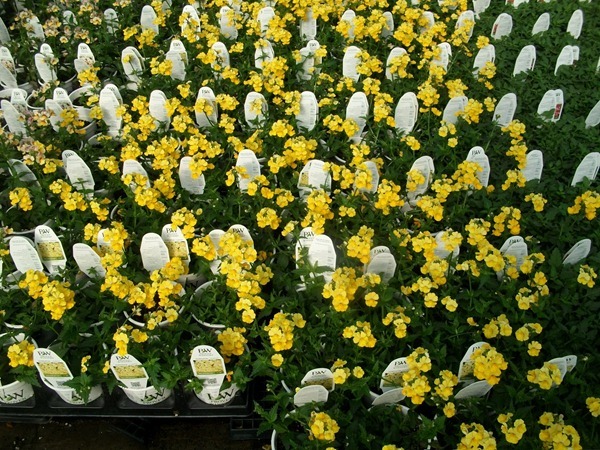 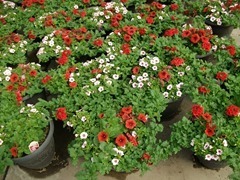 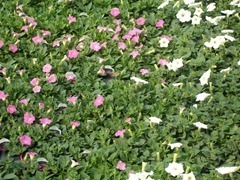 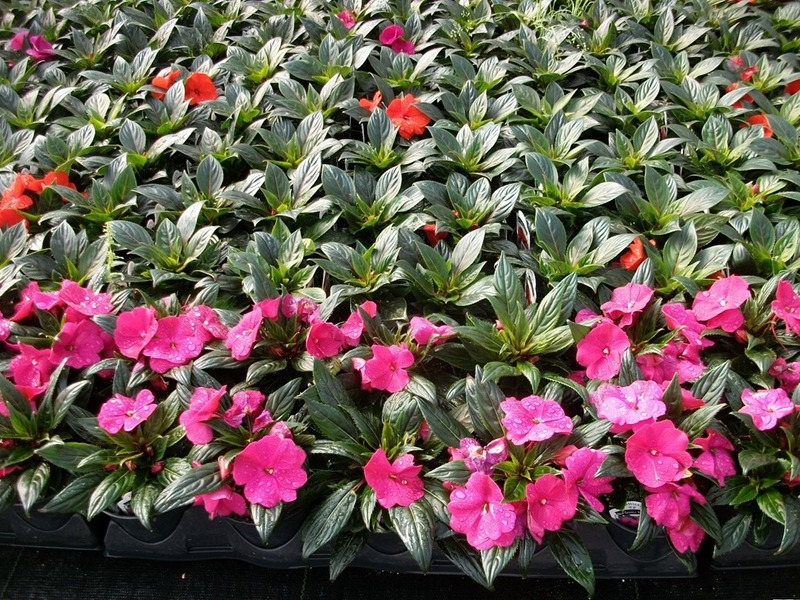 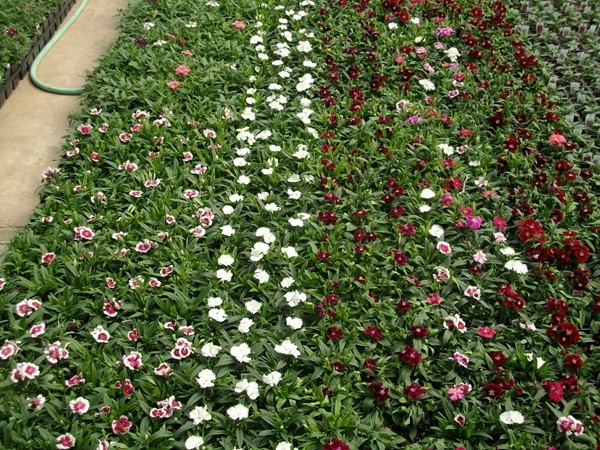 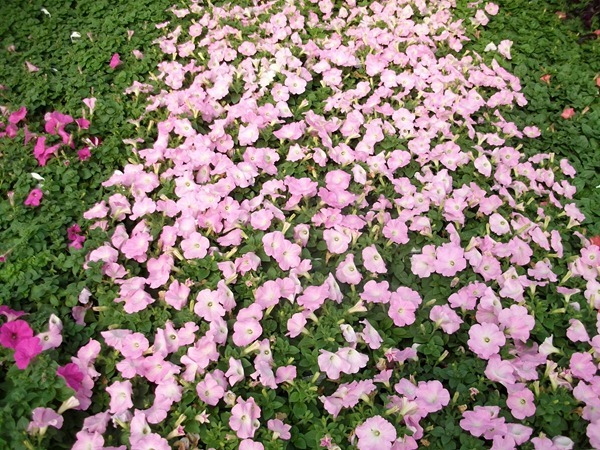 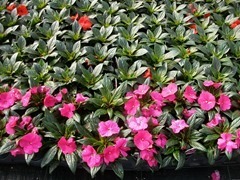 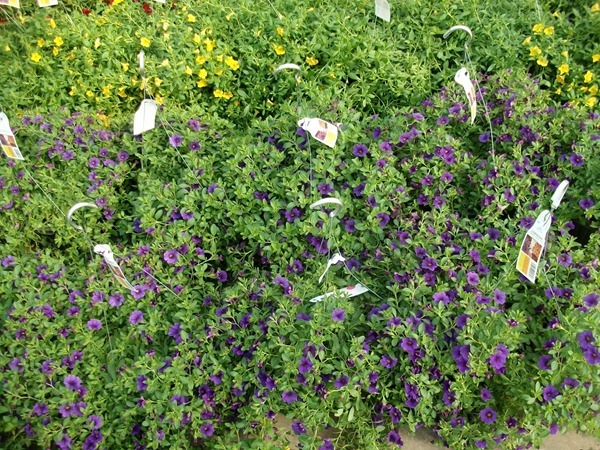 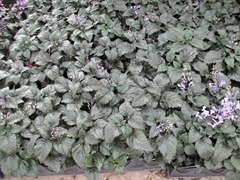 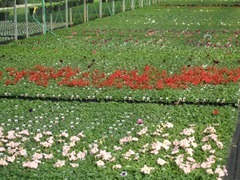 #6 Wave Petunias – most have full color but the blue and burgundy star have lighter color. 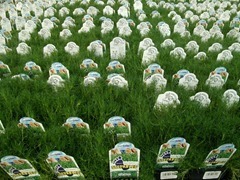 The comments on the availability reflect what these will look like next week. I am very confident that they will bloom out a lot over the weekend and Monday/Tuesday. 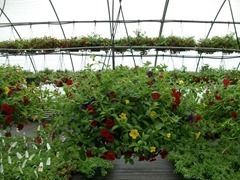 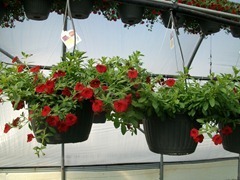 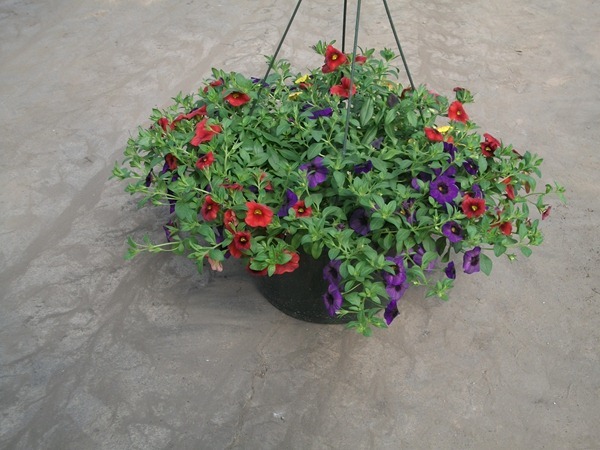 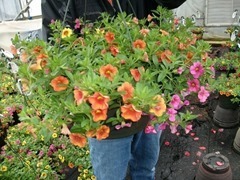 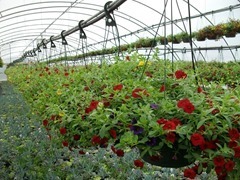 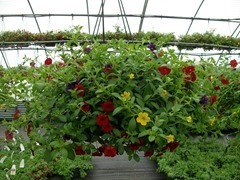 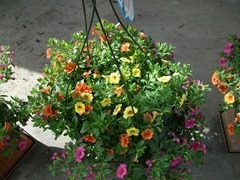 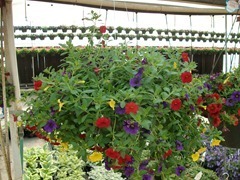 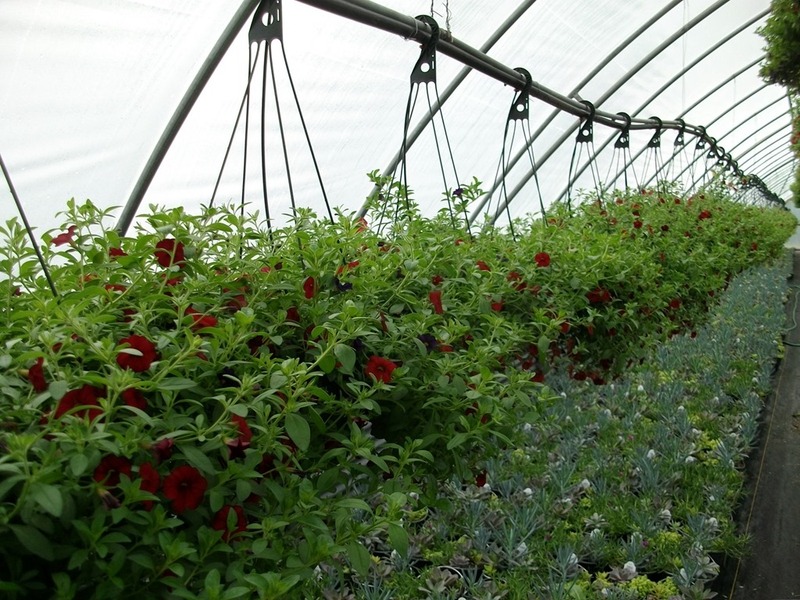 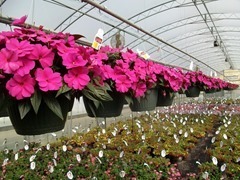 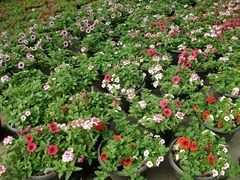 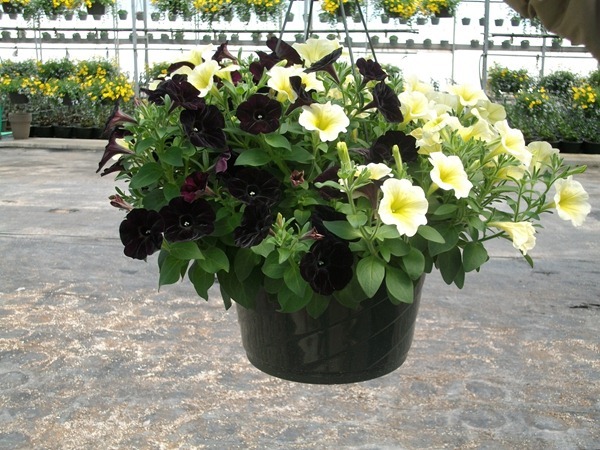 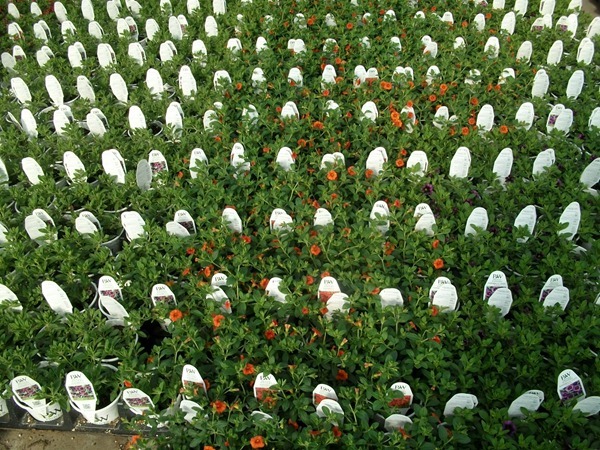 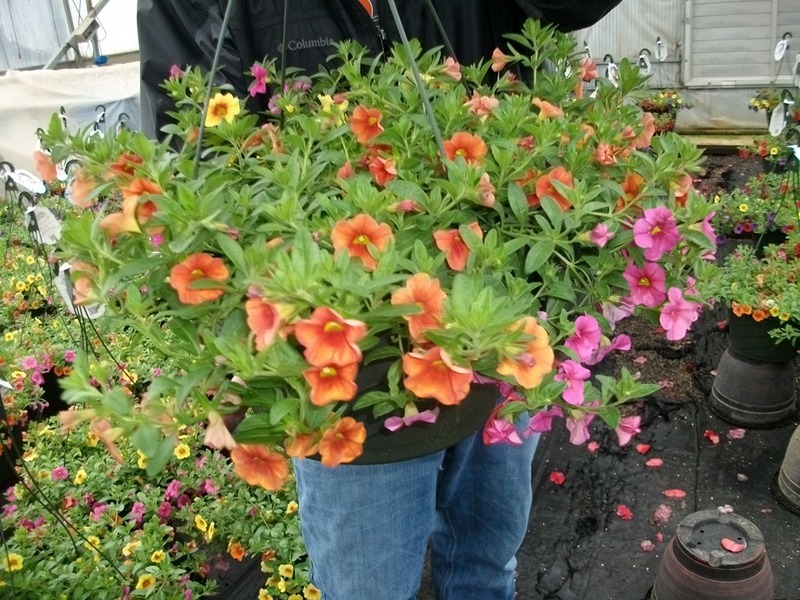 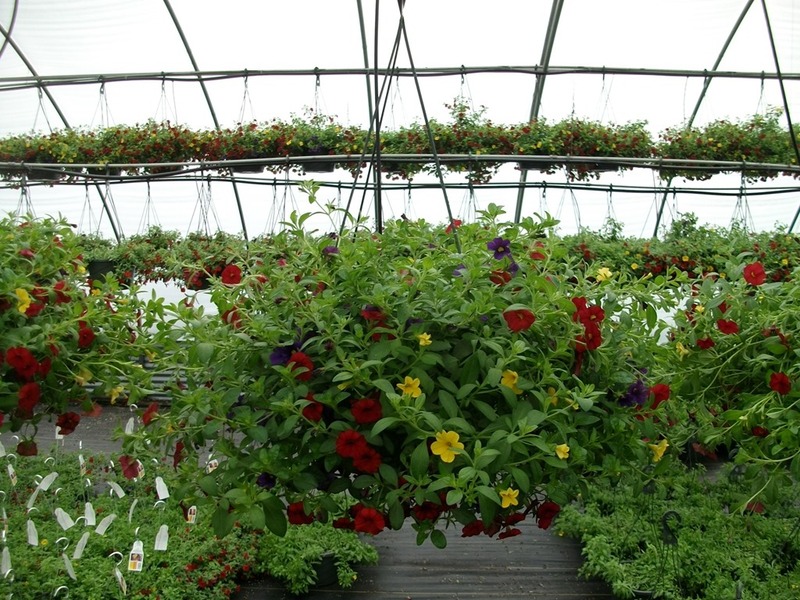 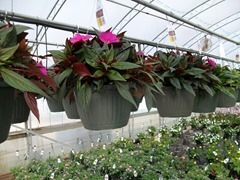 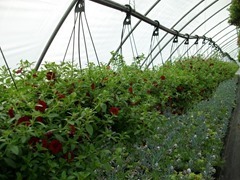 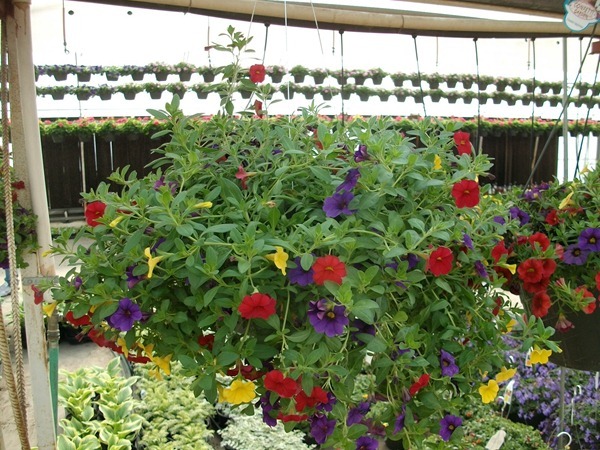 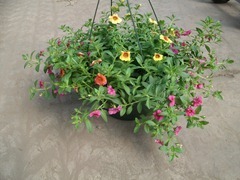 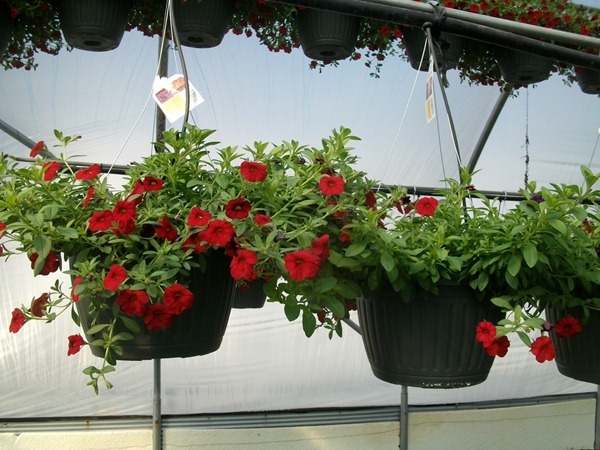 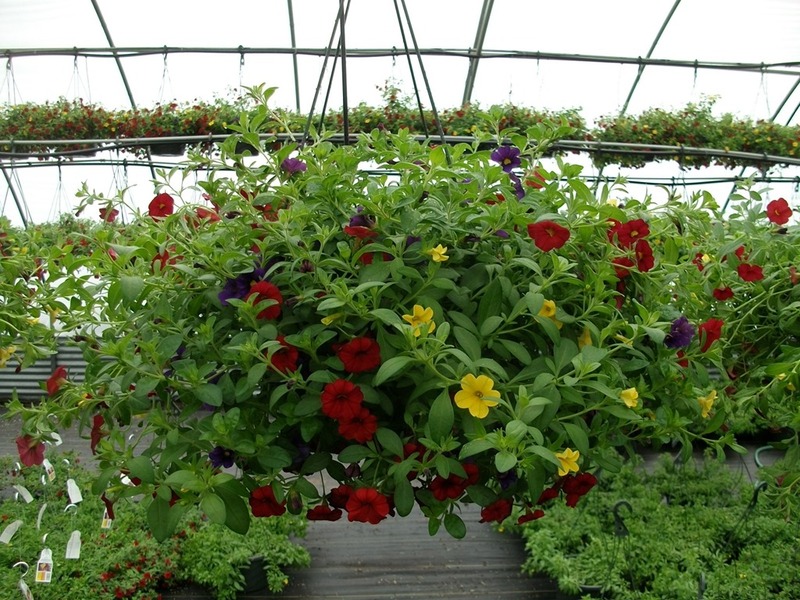 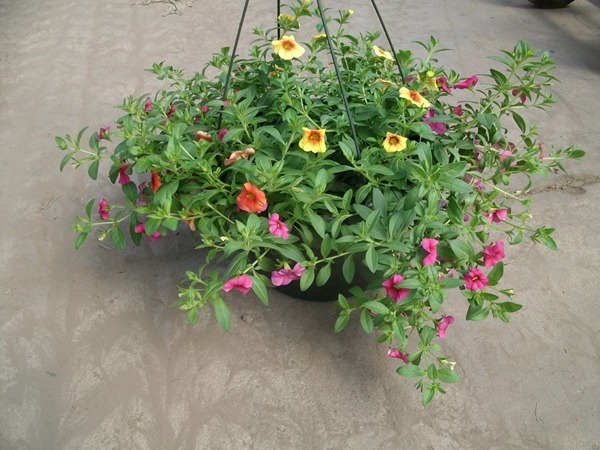 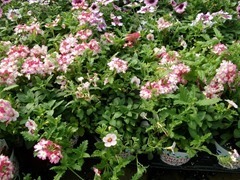 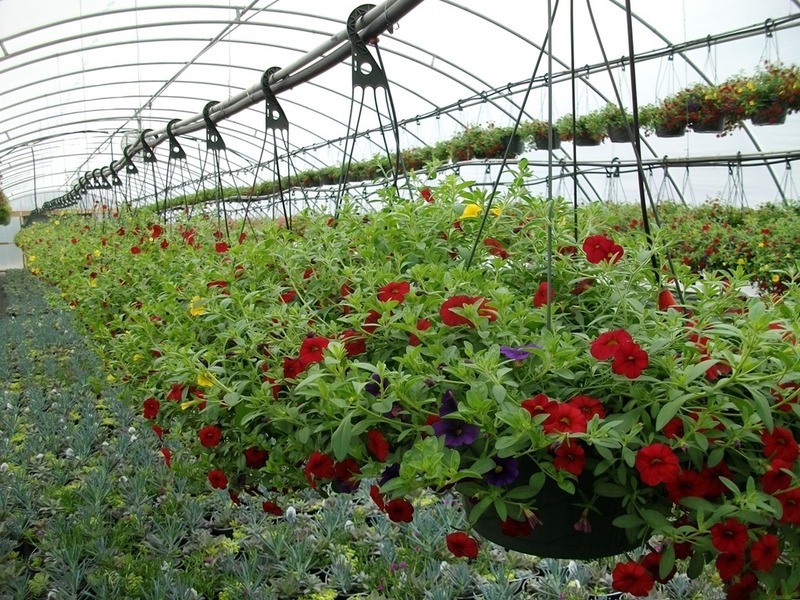 The same goes for the wave petunia baskets. 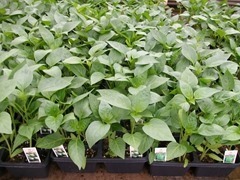 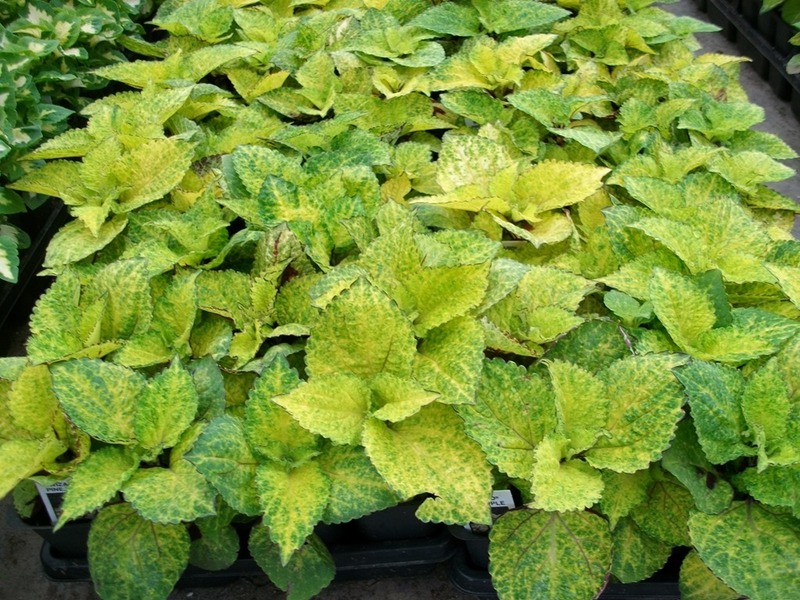 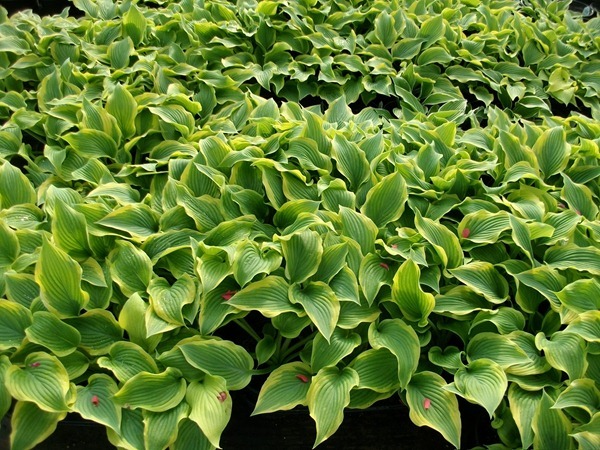 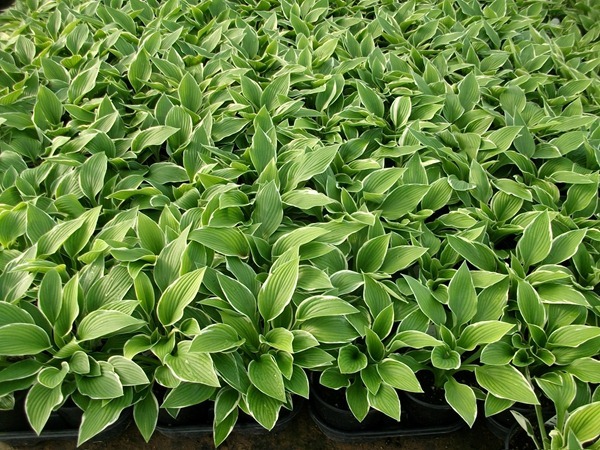 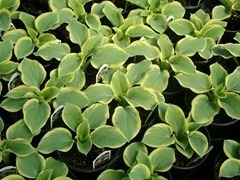 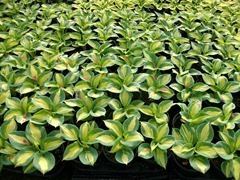 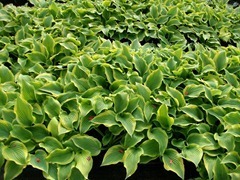 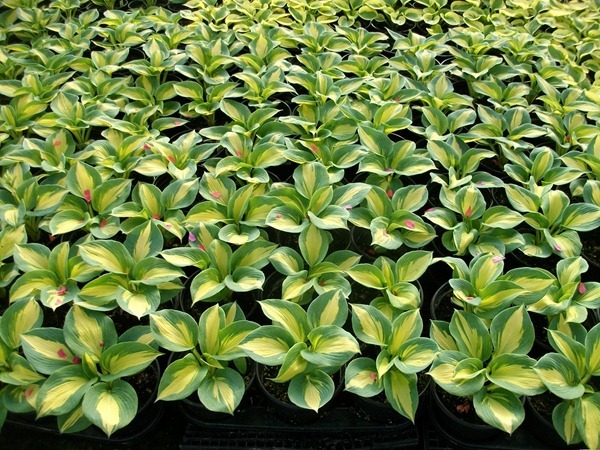 #1G Hostas – a couple of them are close but not quite ready yet. 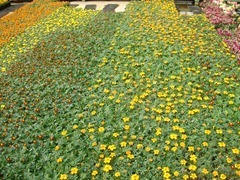 There are only a few flats that look like the pictures. 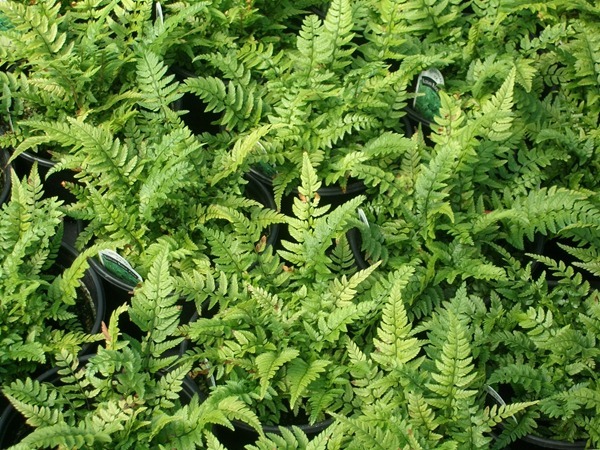 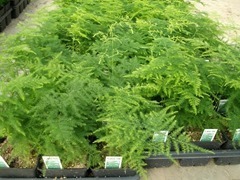 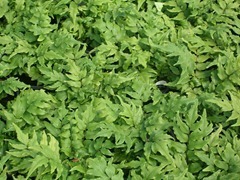 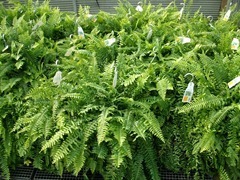 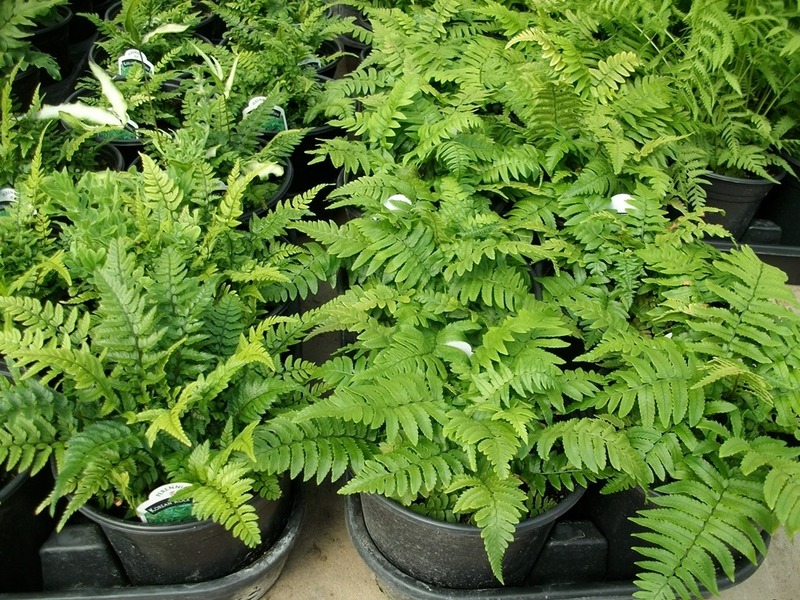 The hardy ferns look really good. 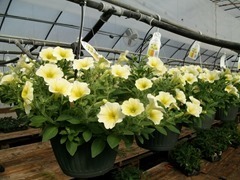 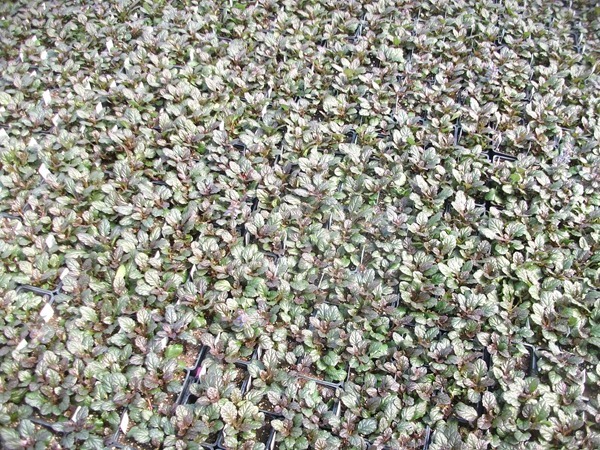 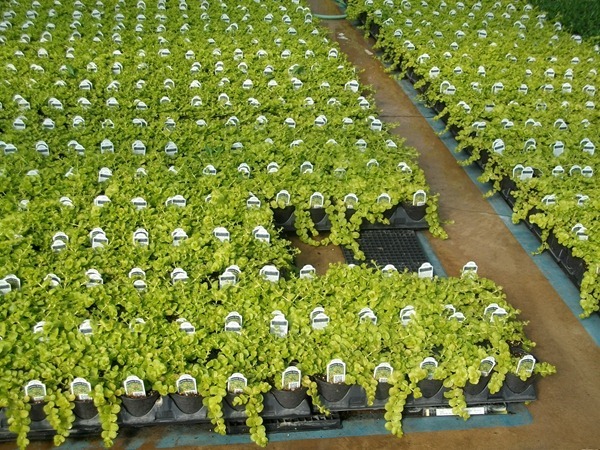 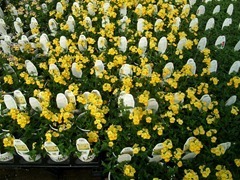 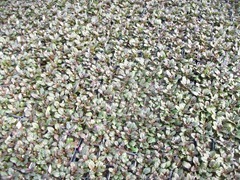 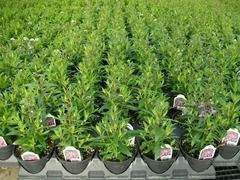 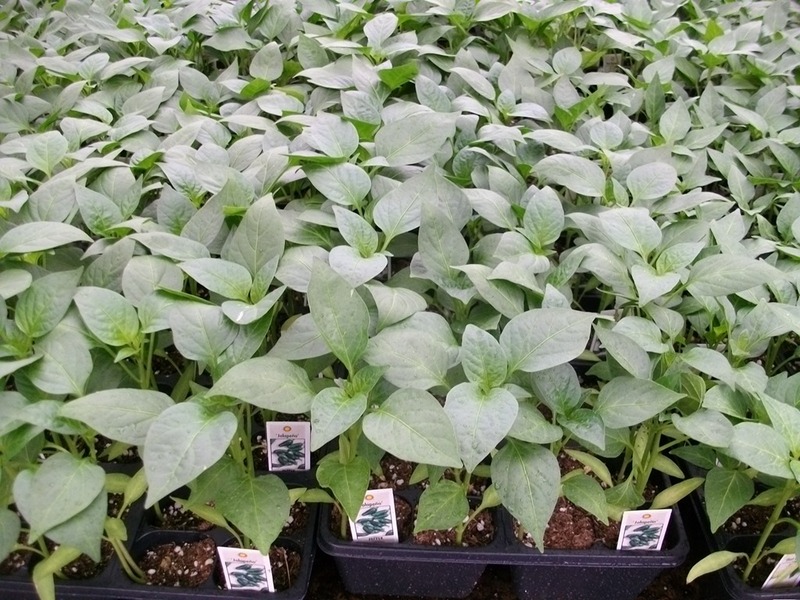 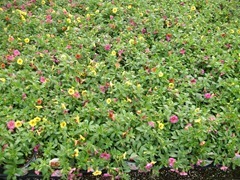 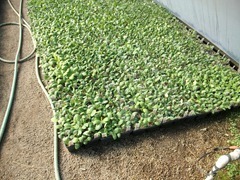 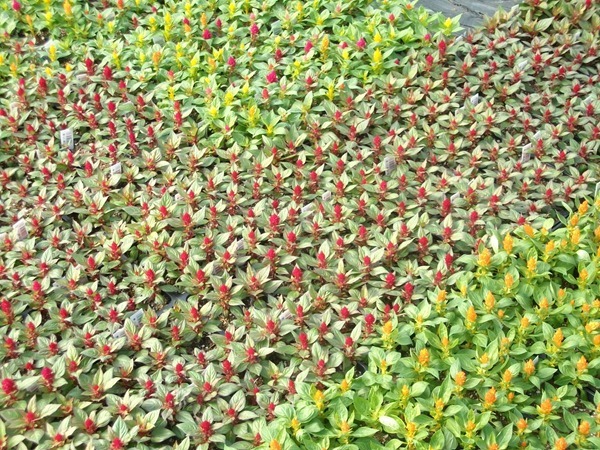 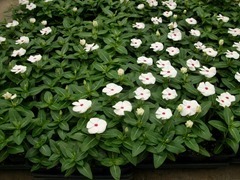 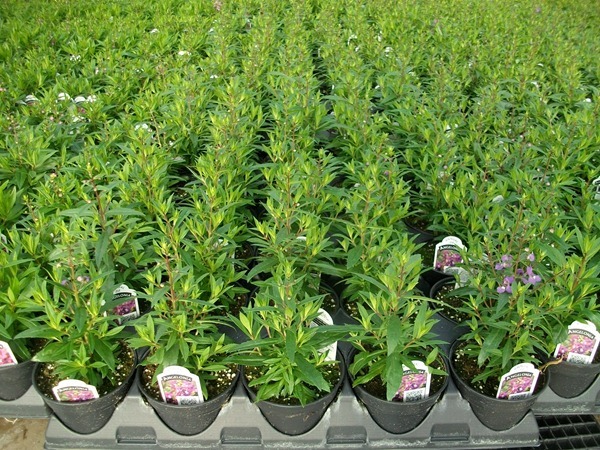 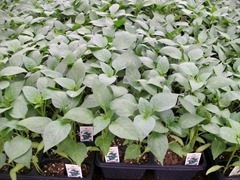 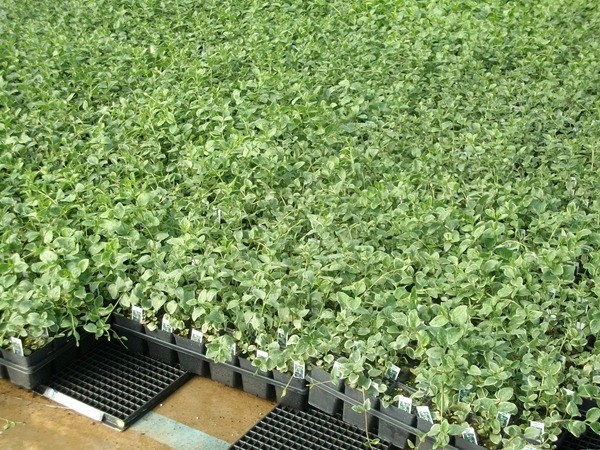 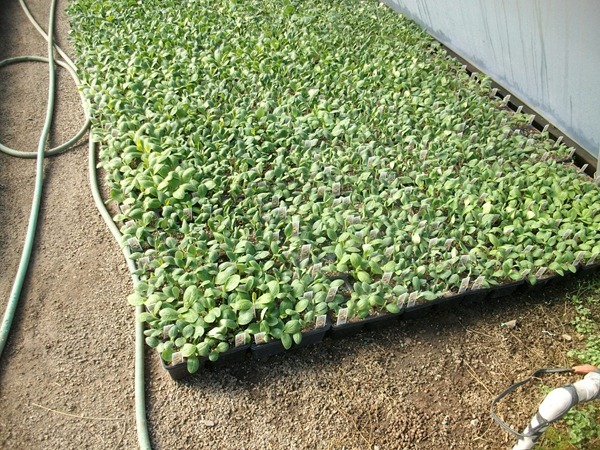 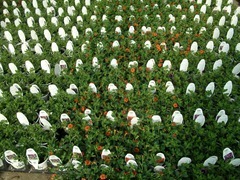 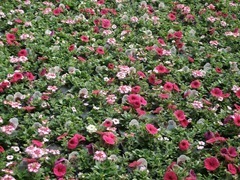 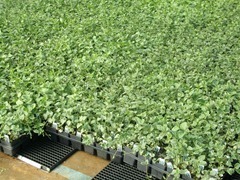 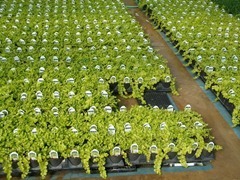 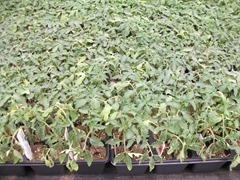 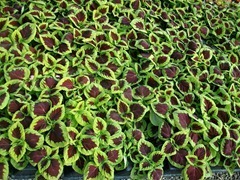 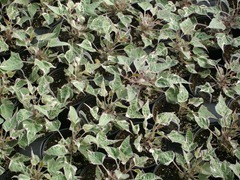 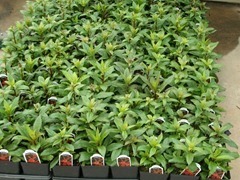 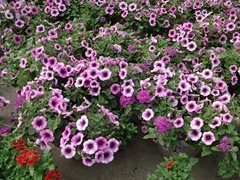 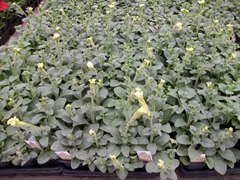 This is the next crop of Wave Petunia baskets. 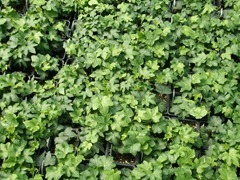 If the first crop still looks good next week, we will start with them then move on to this crop. 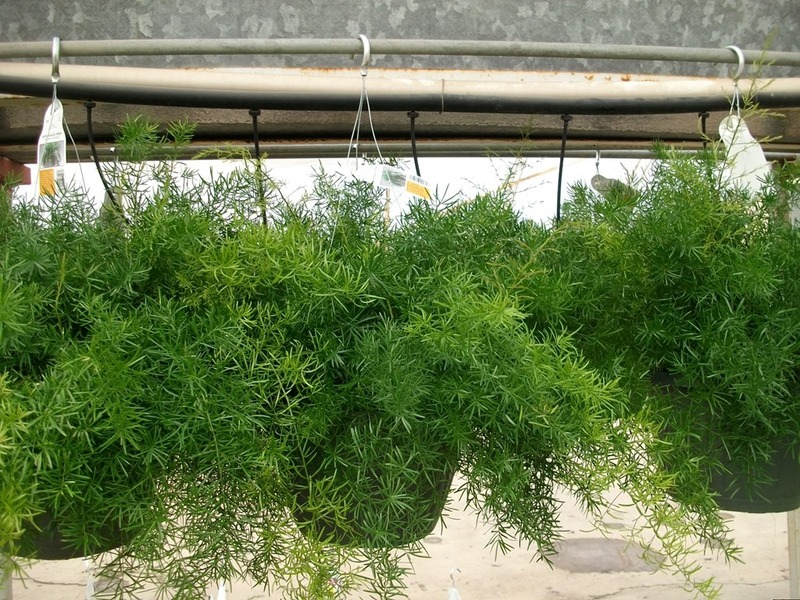 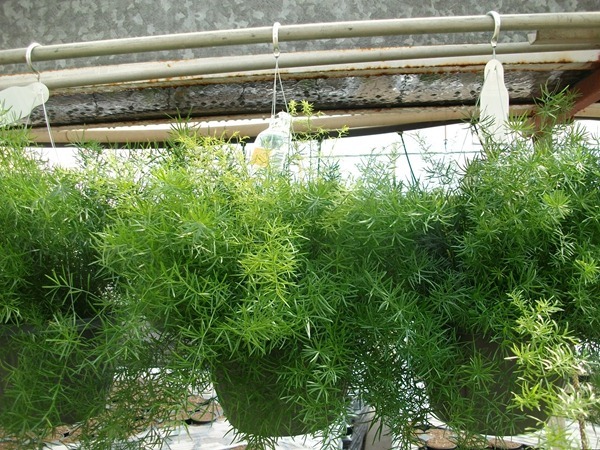 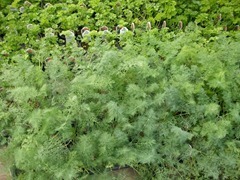 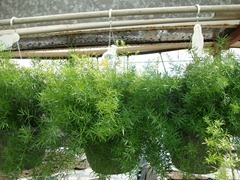 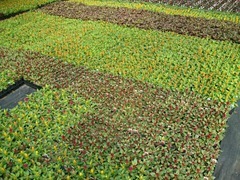 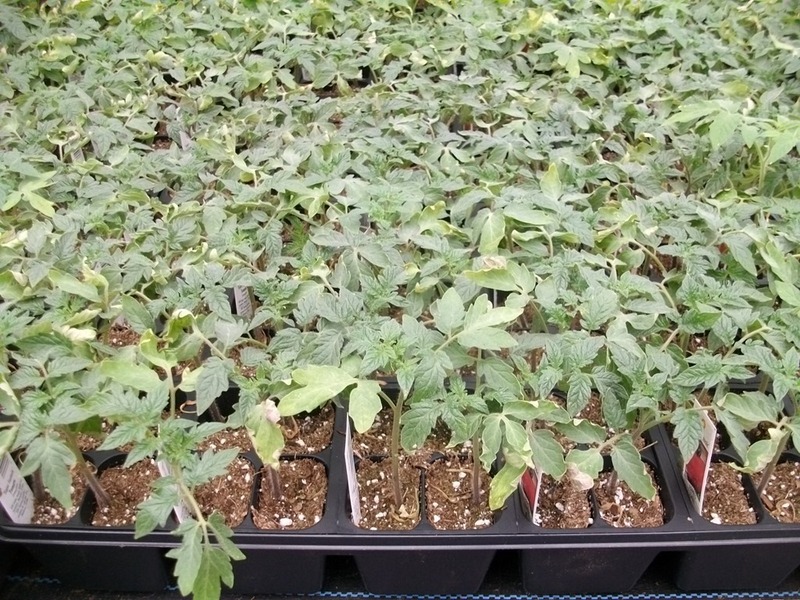 The Mixed baskets are all in the second crop like the ones shown.